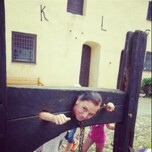 Glimmingehus Castle in Sweden. 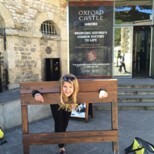 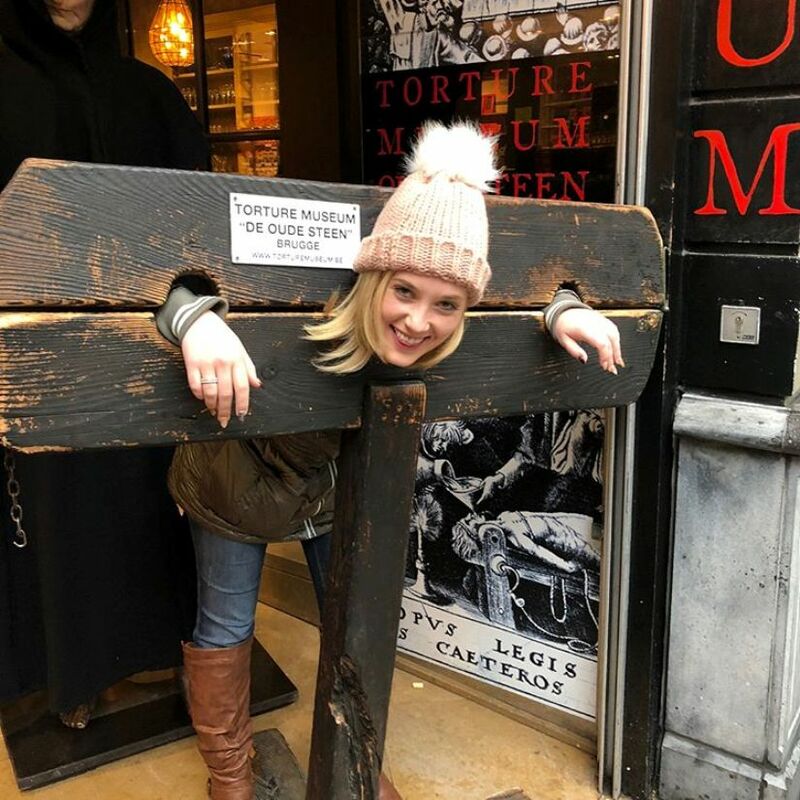 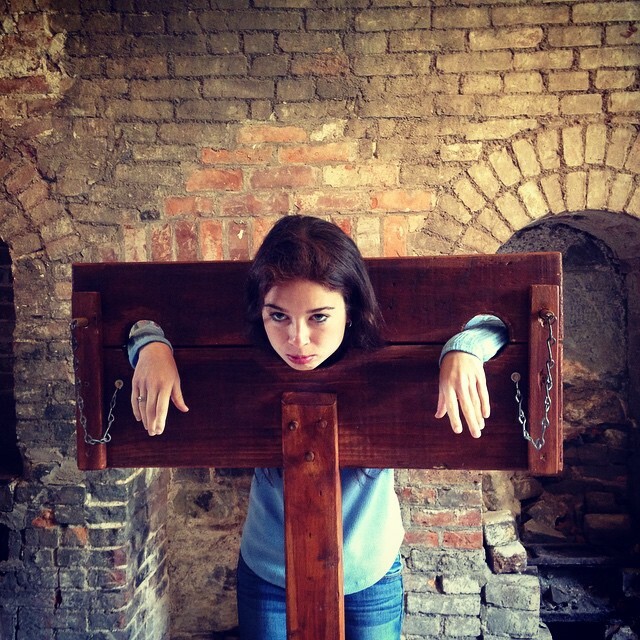 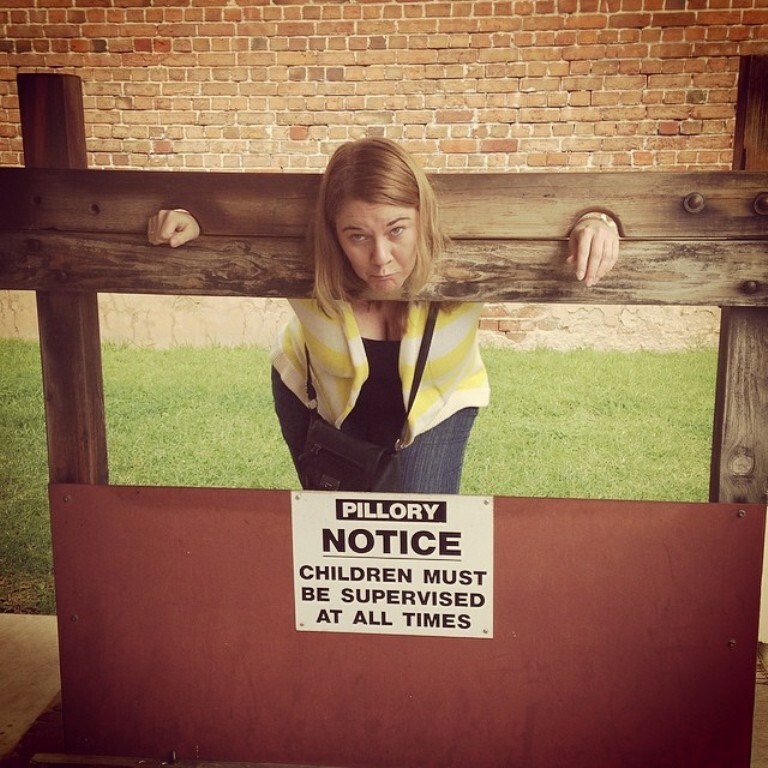 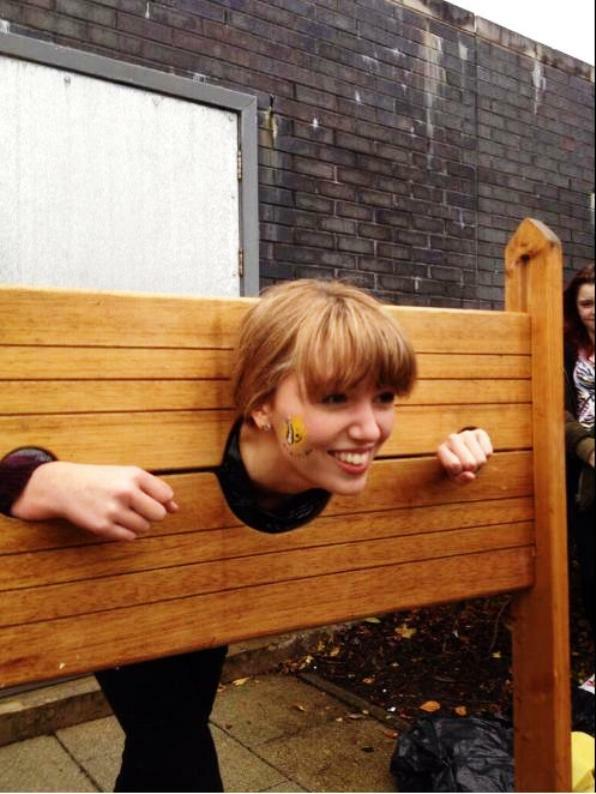 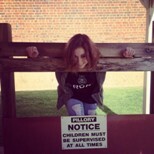 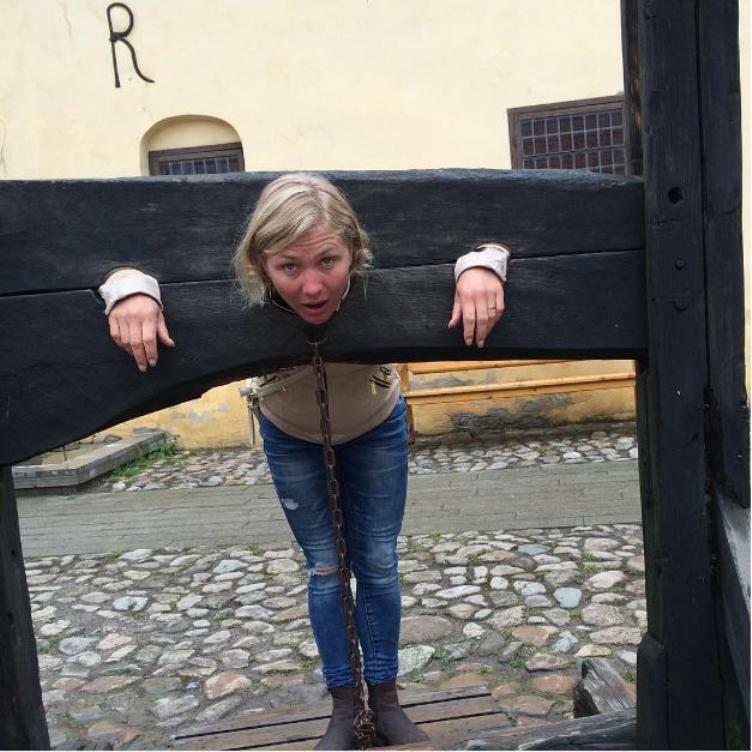 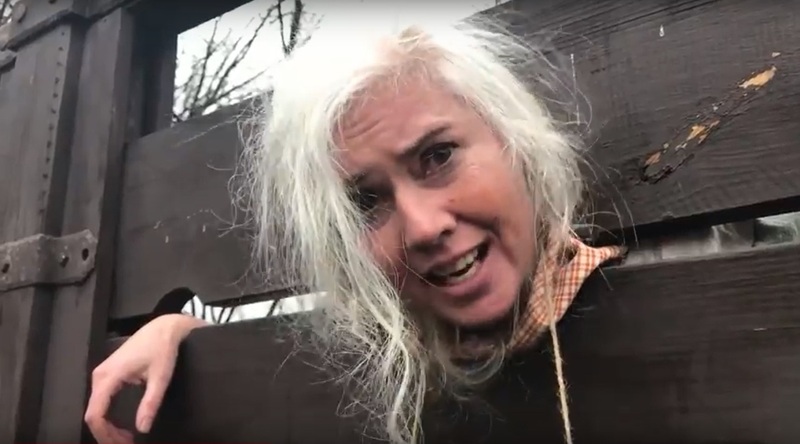 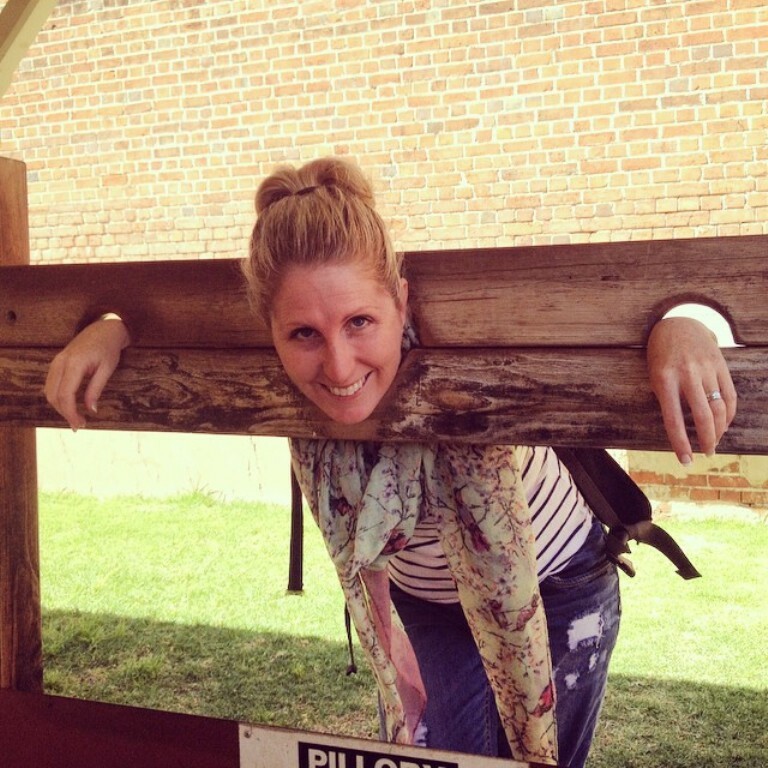 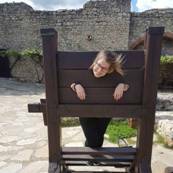 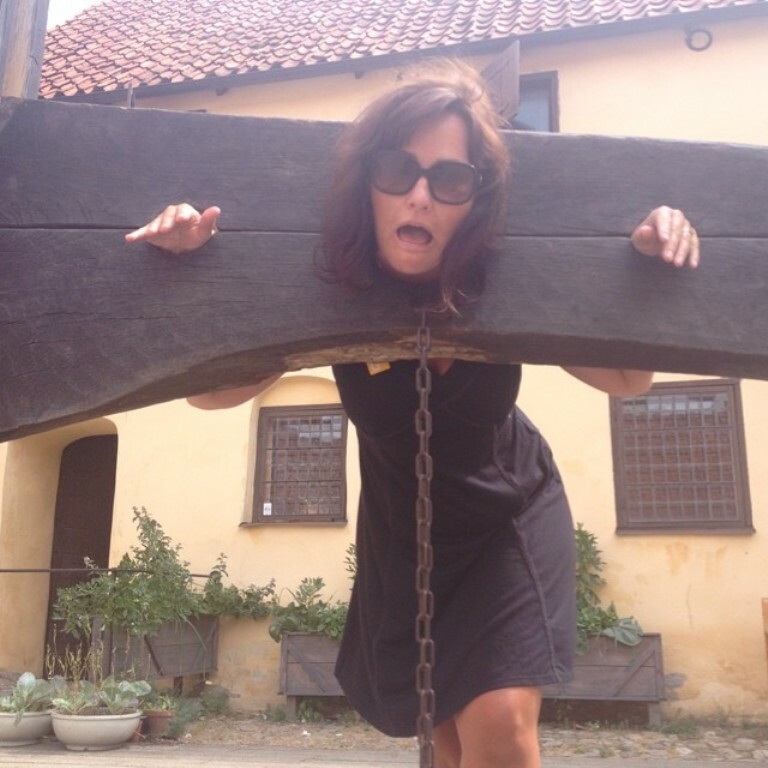 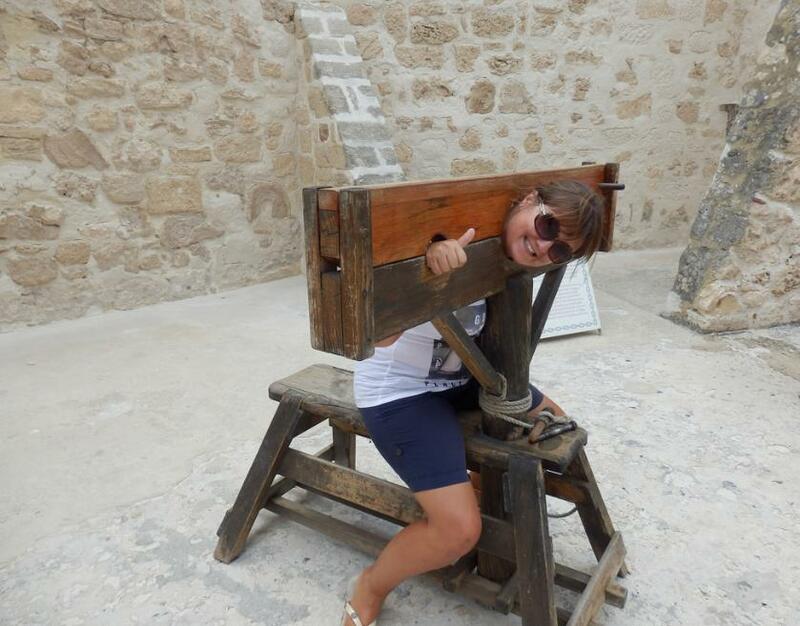 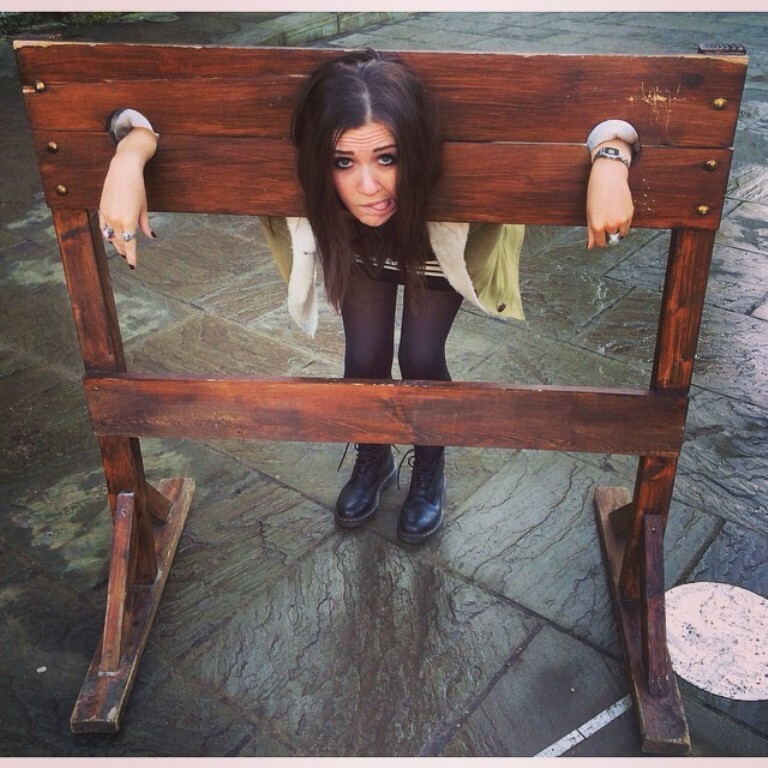 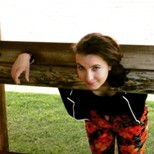 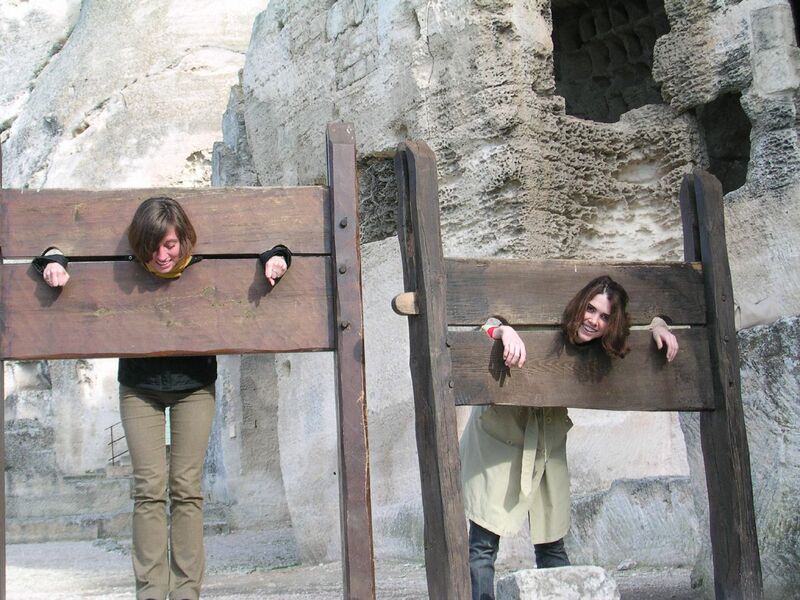 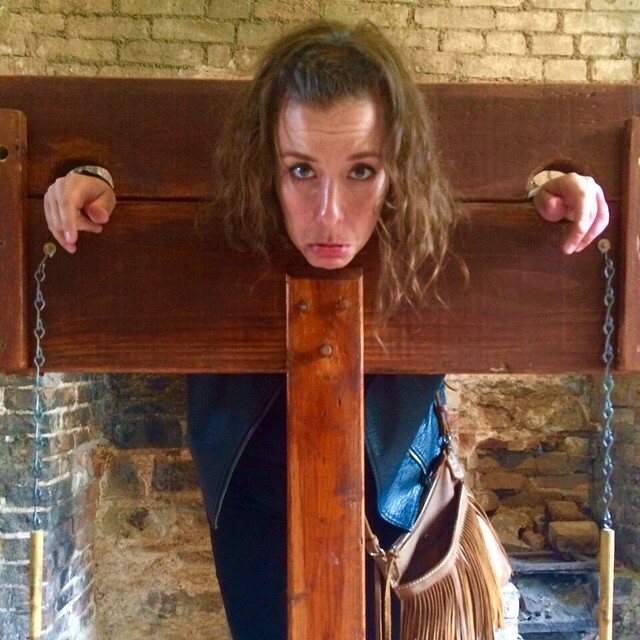 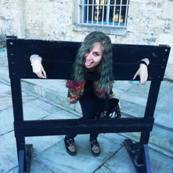 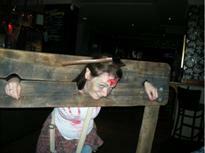 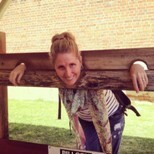 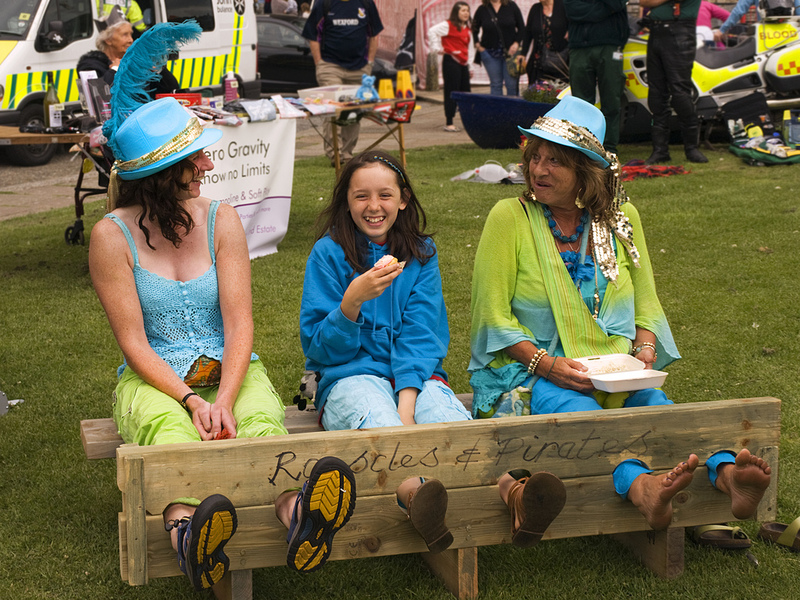 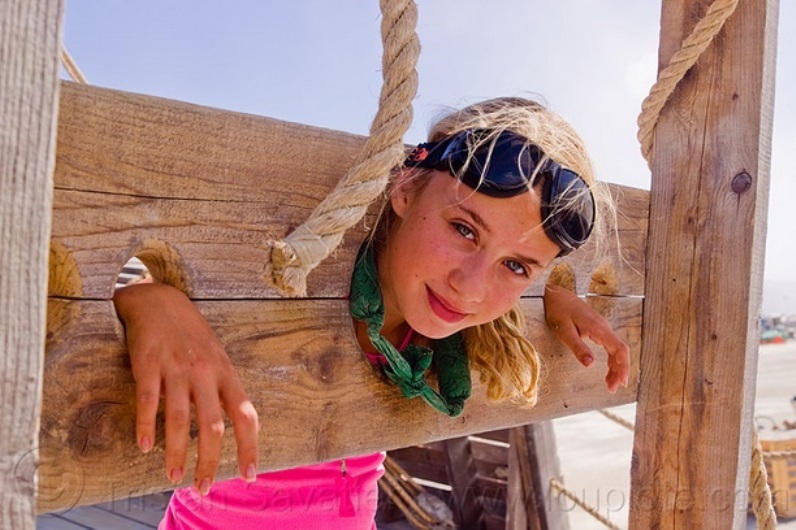 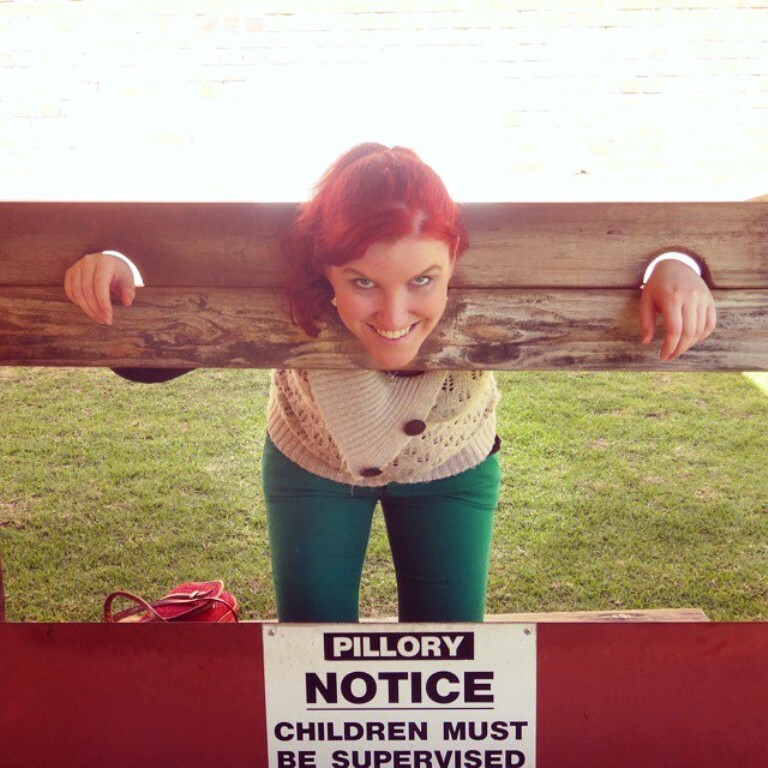 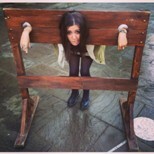 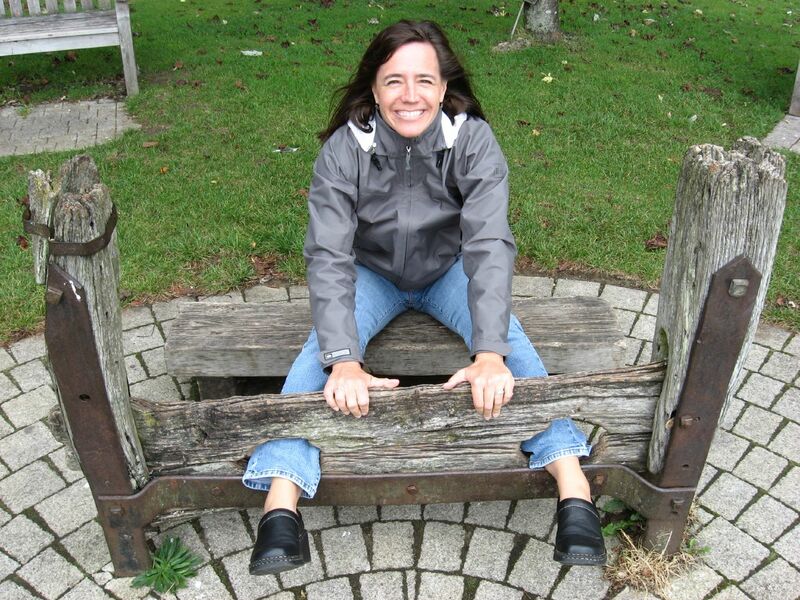 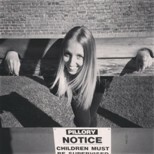 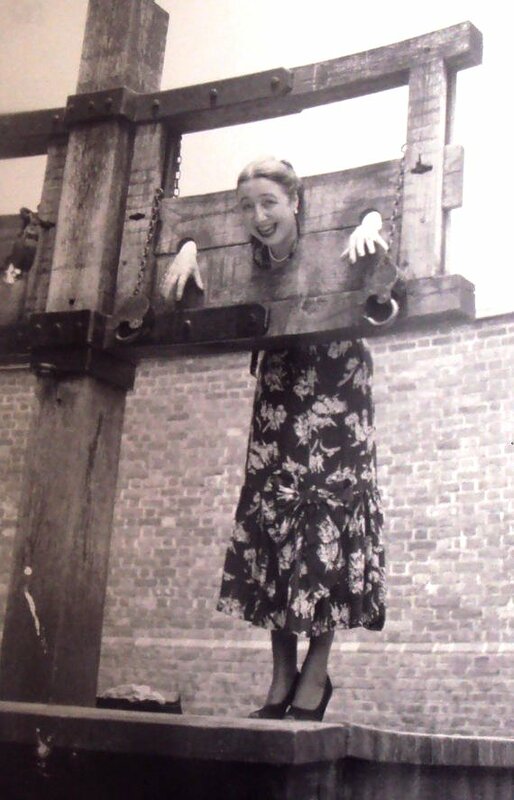 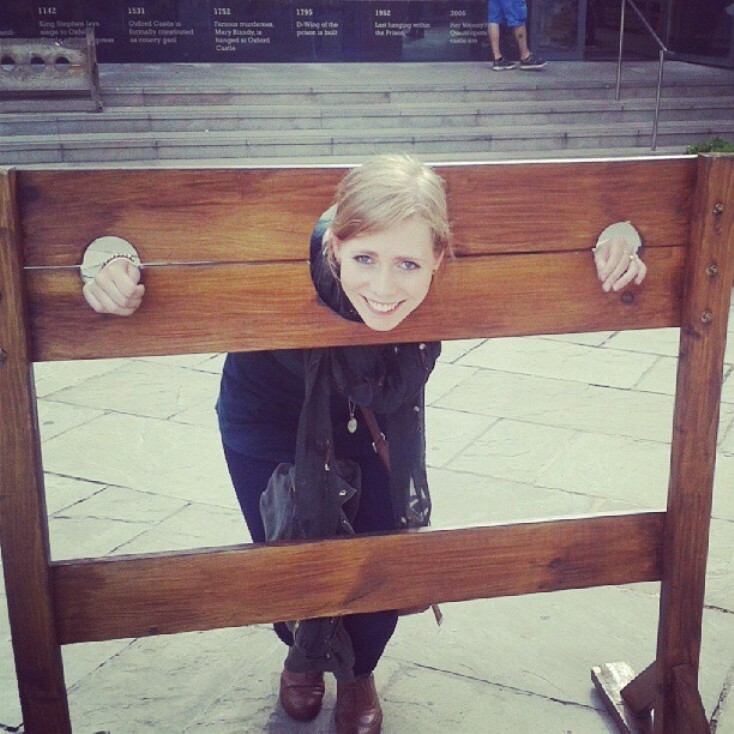 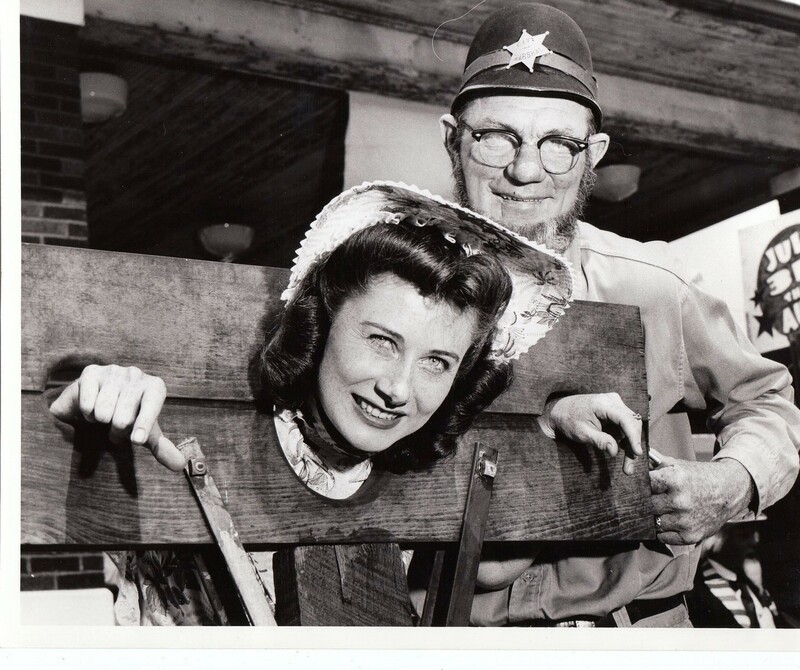 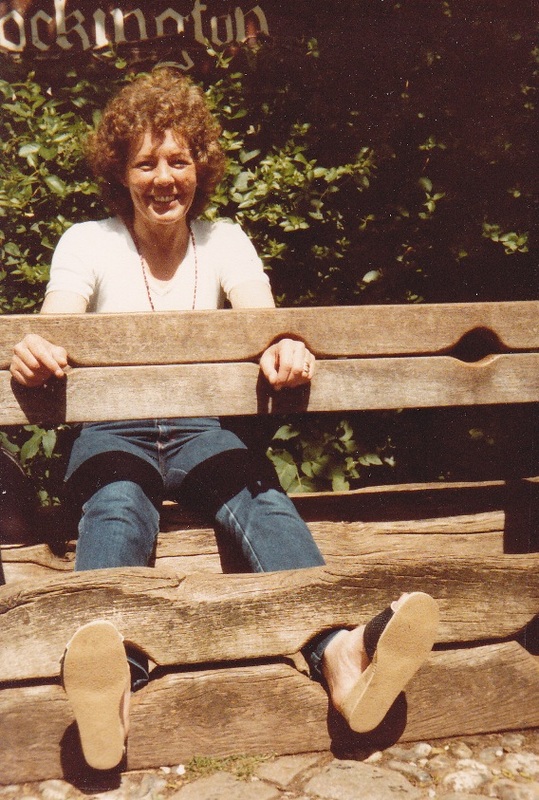 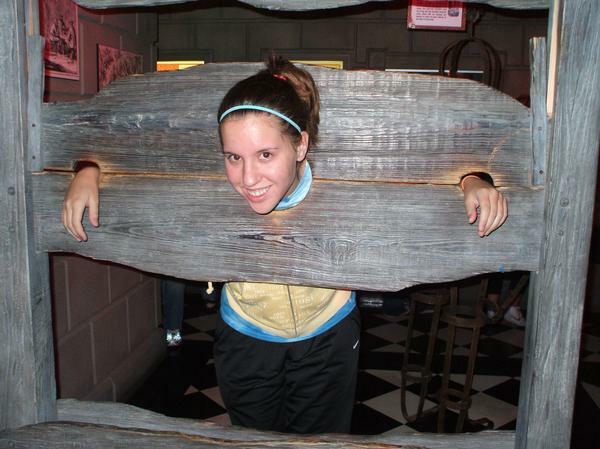 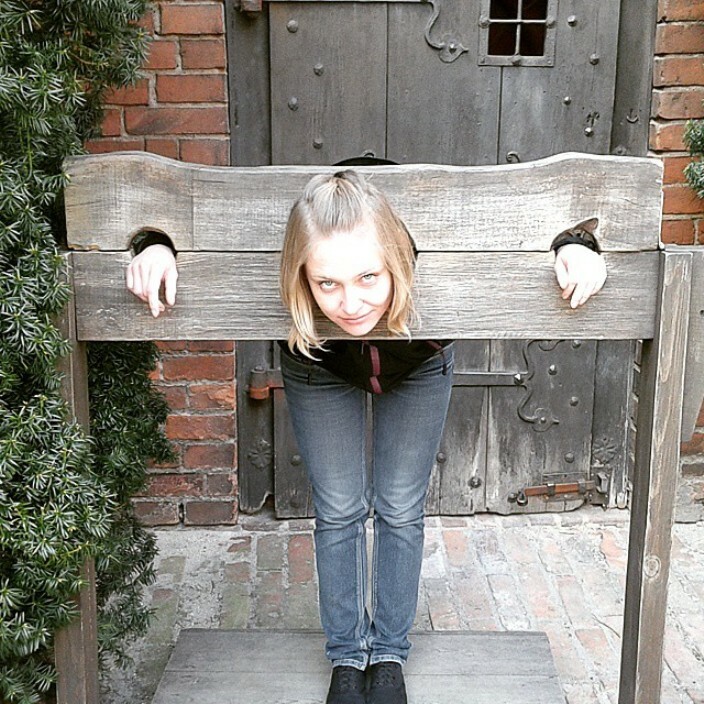 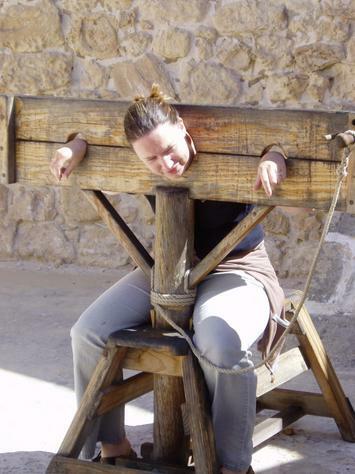 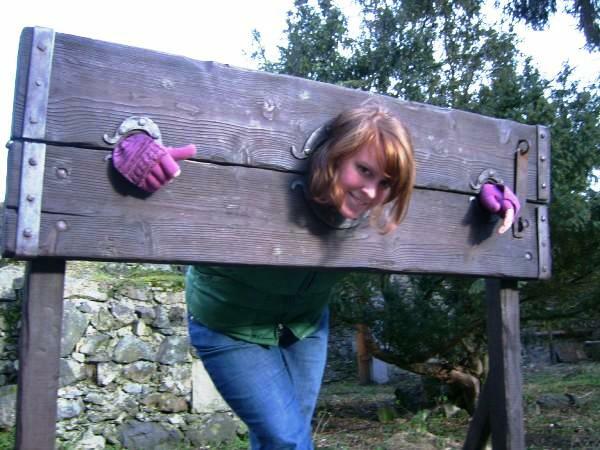 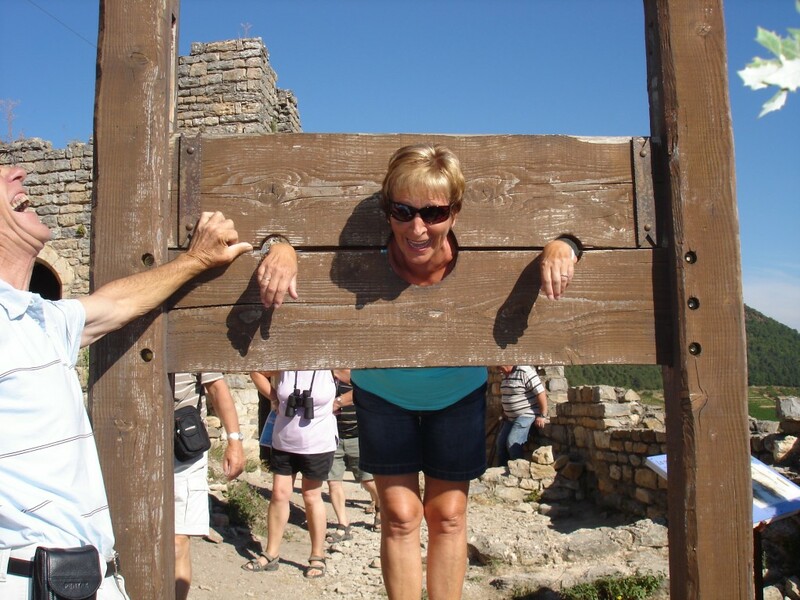 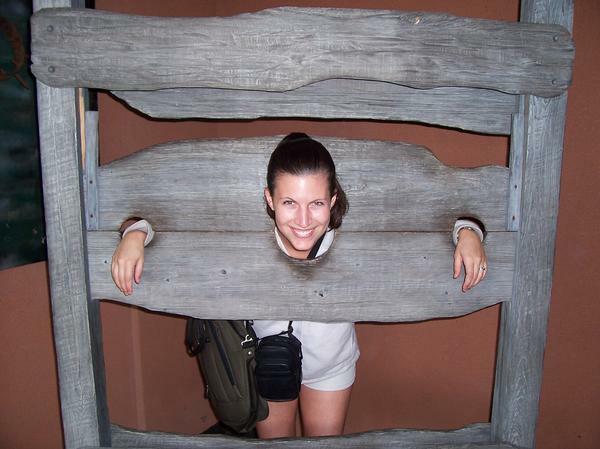 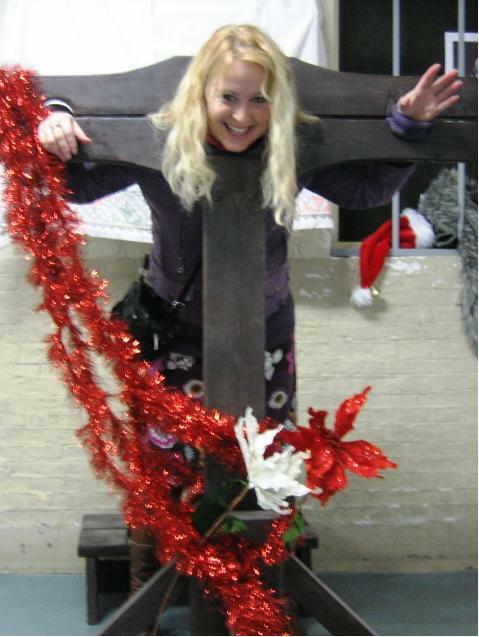 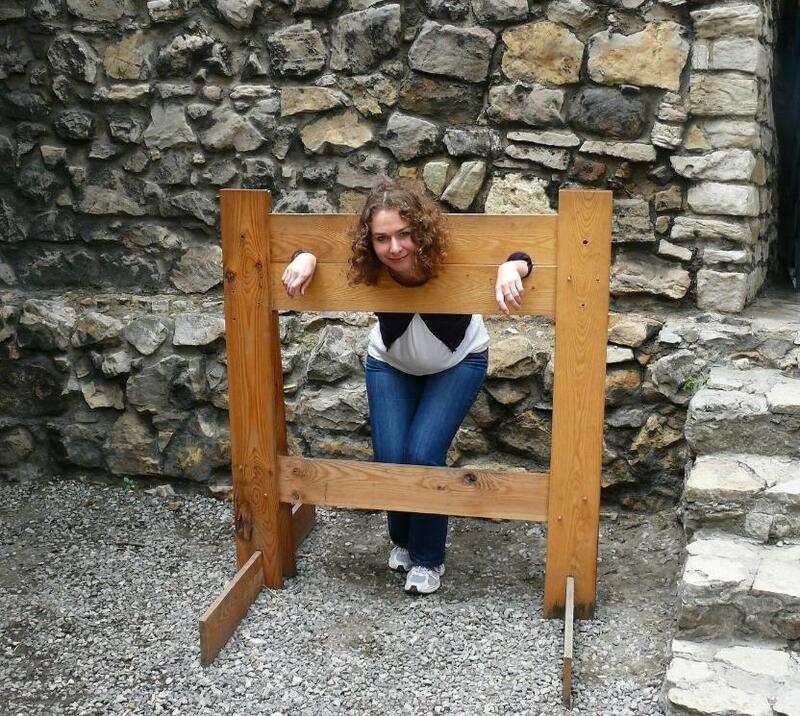 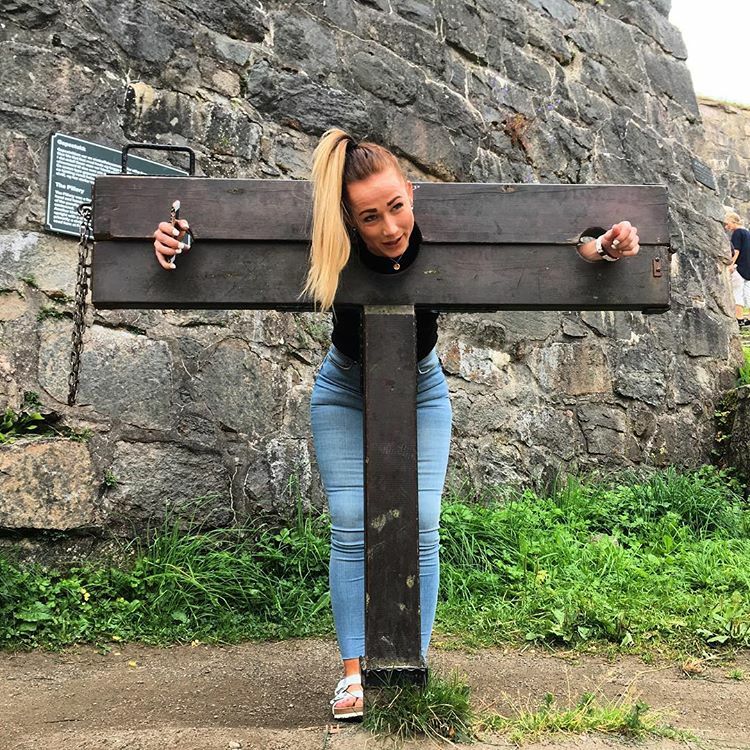 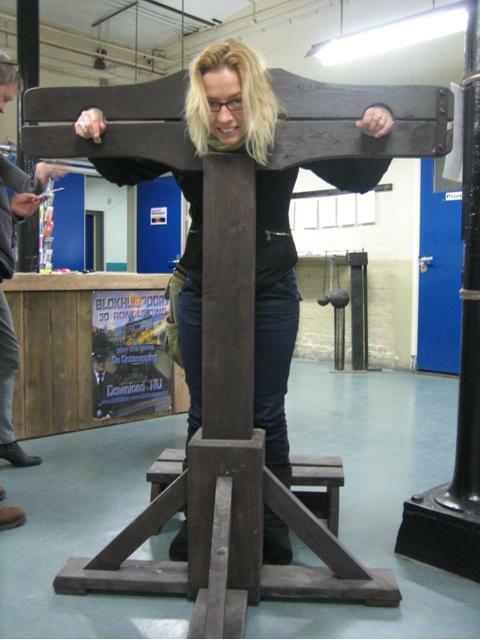 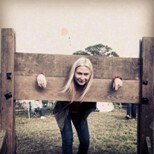 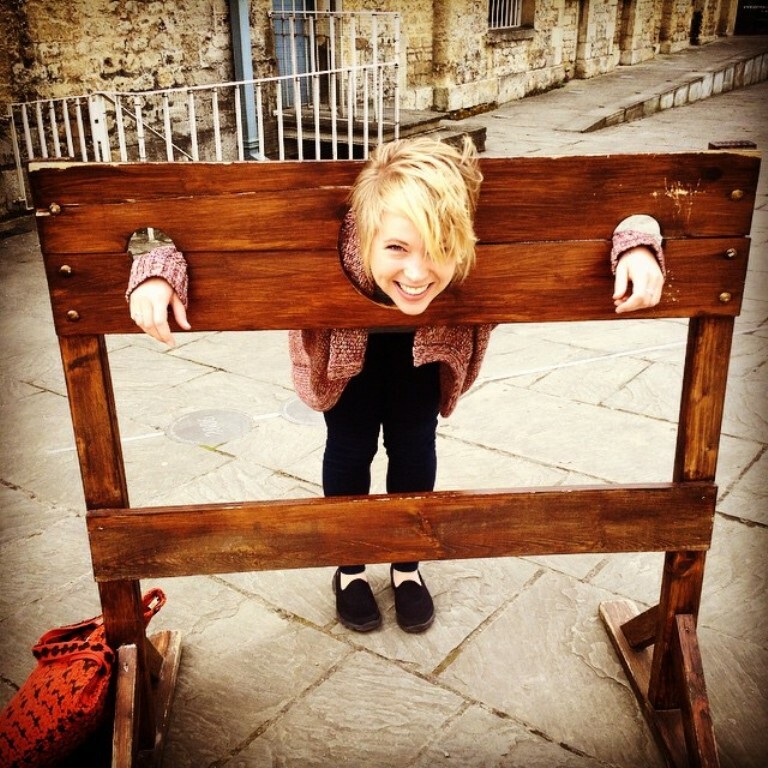 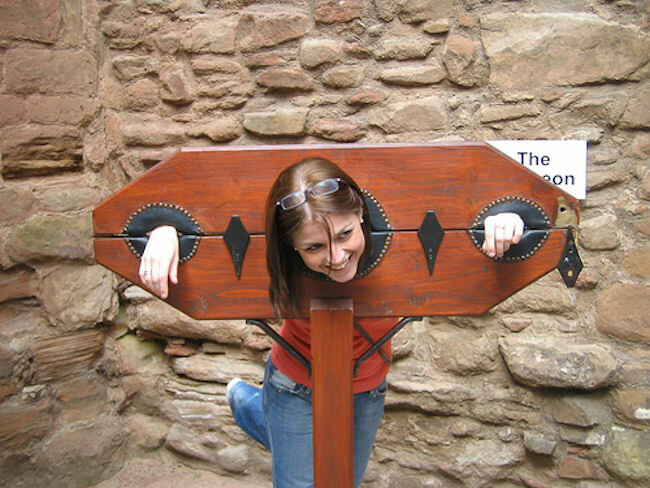 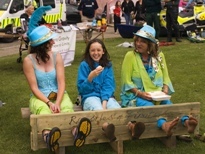 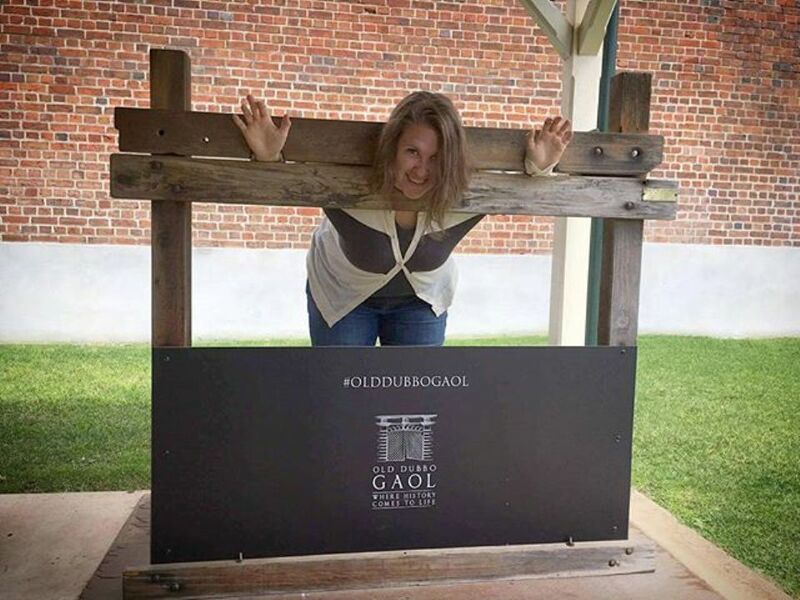 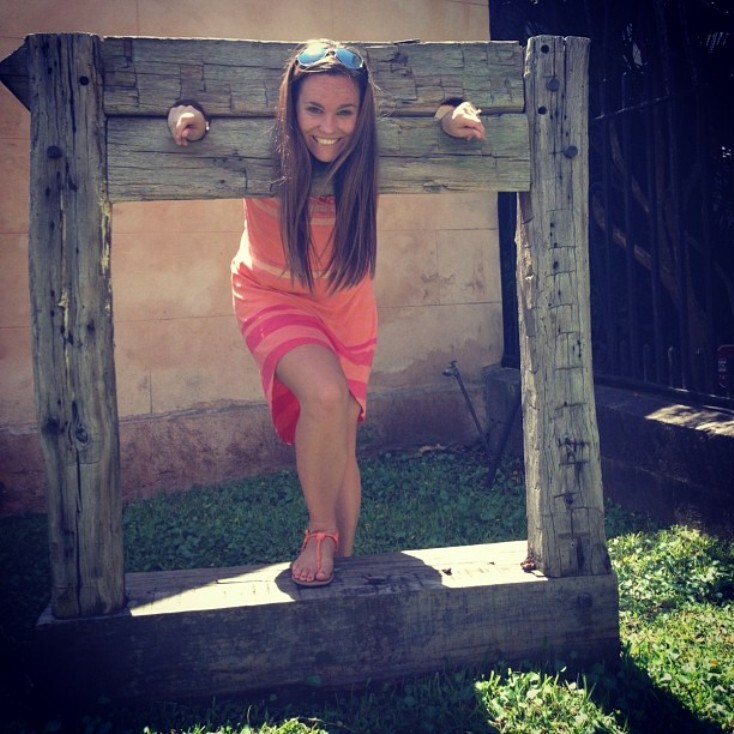 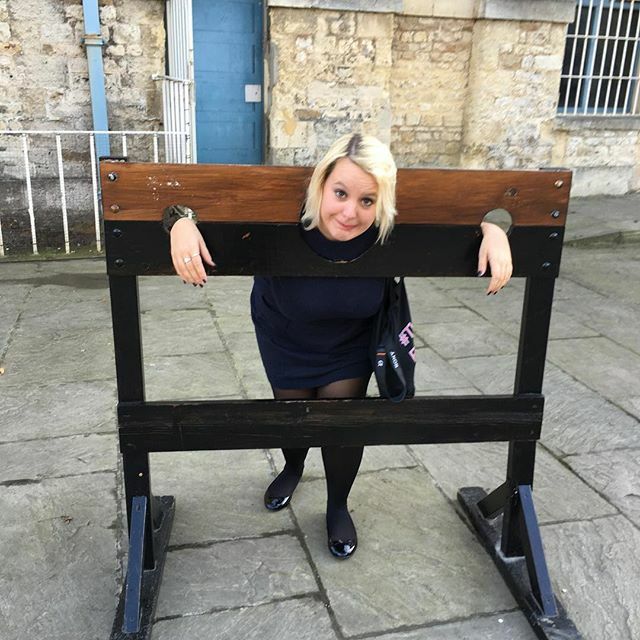 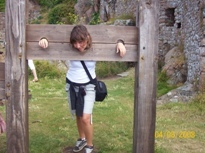 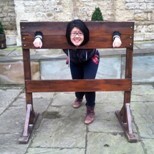 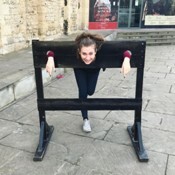 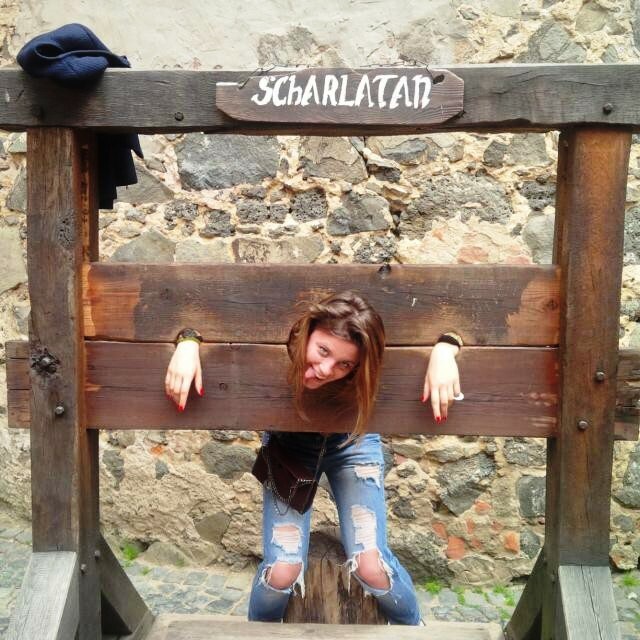 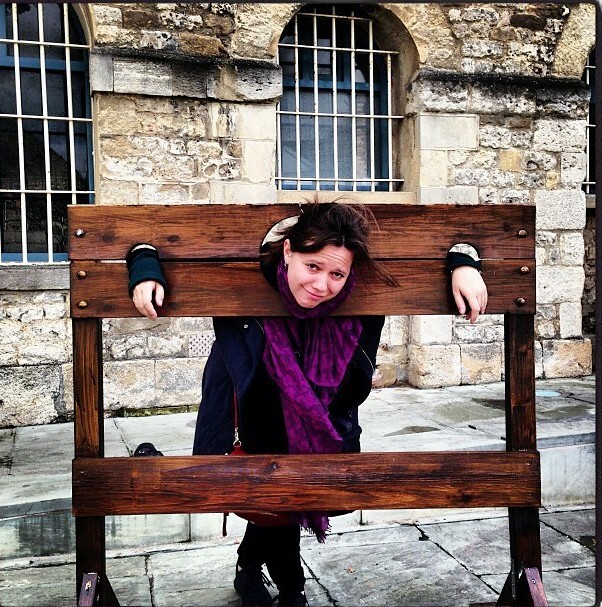 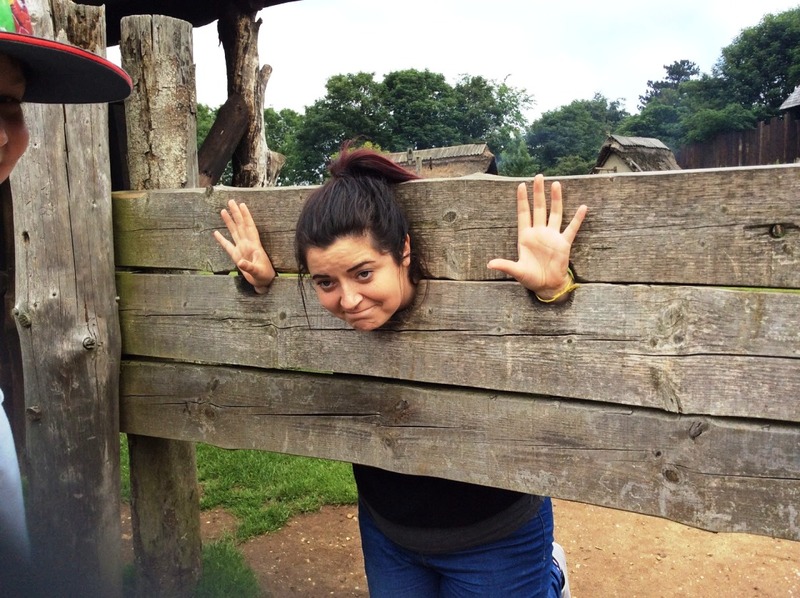 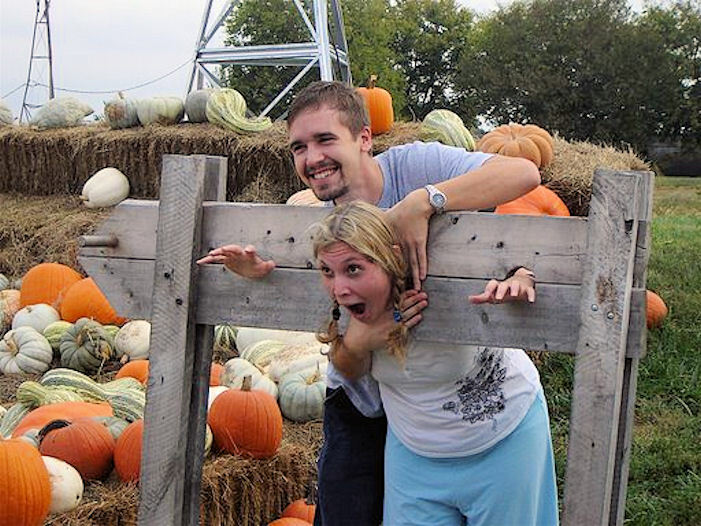 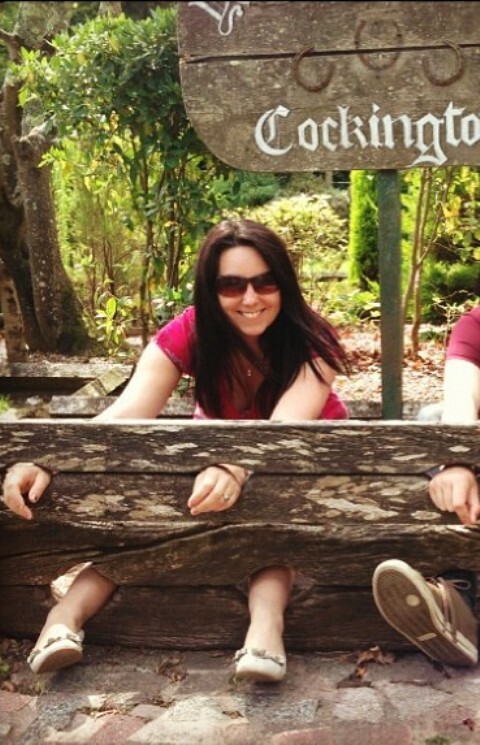 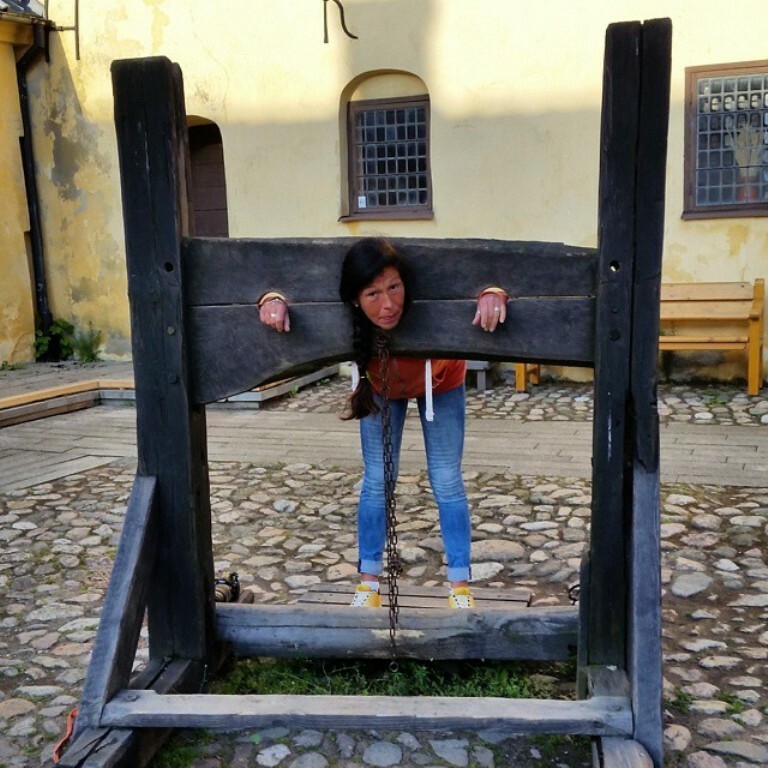 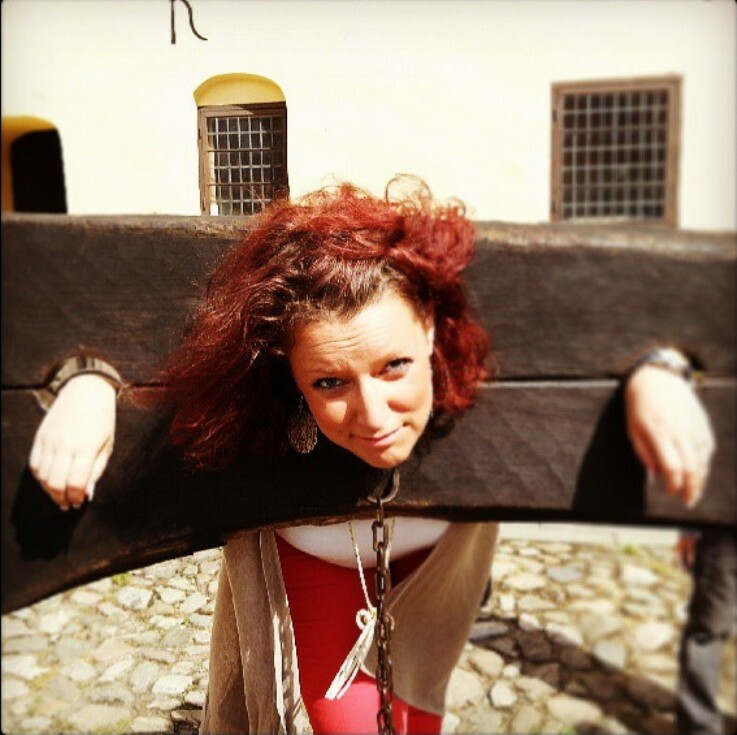 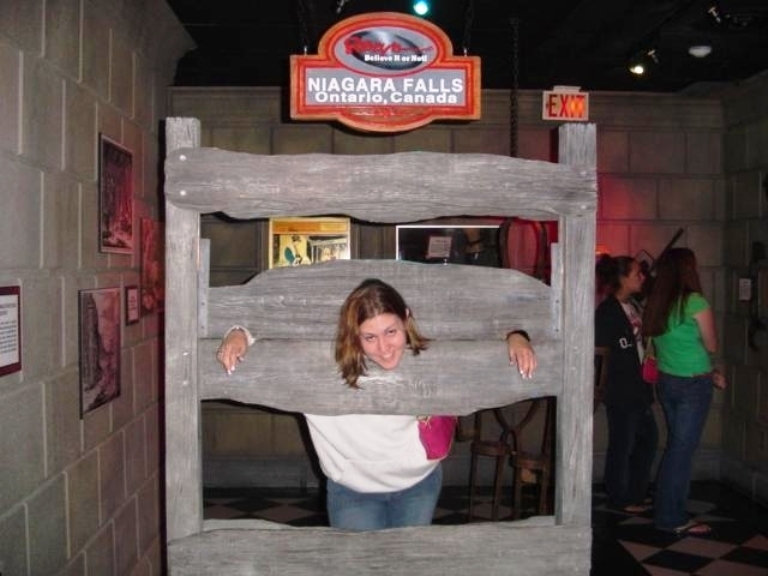 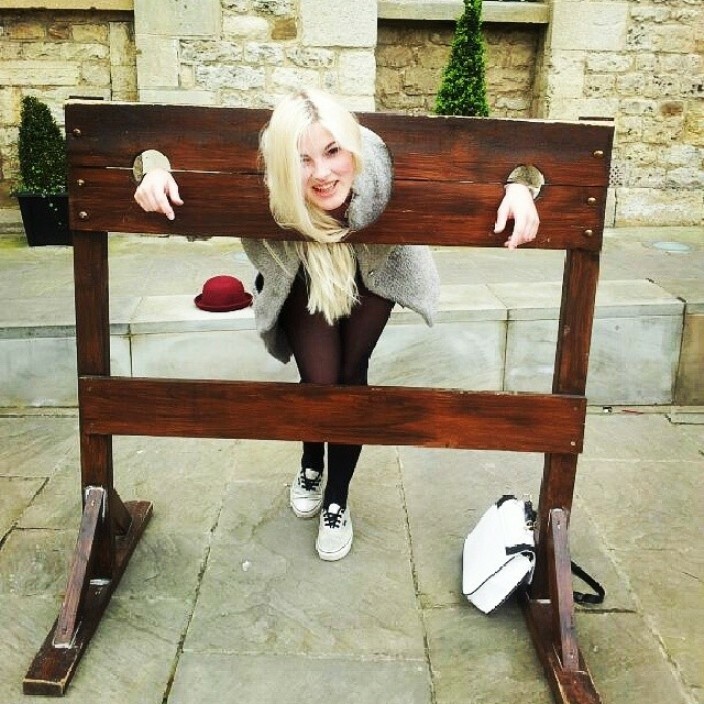 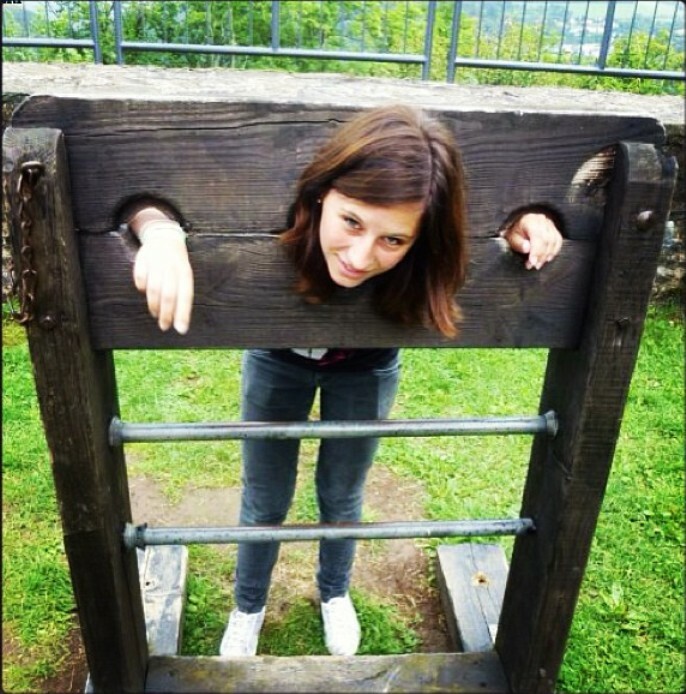 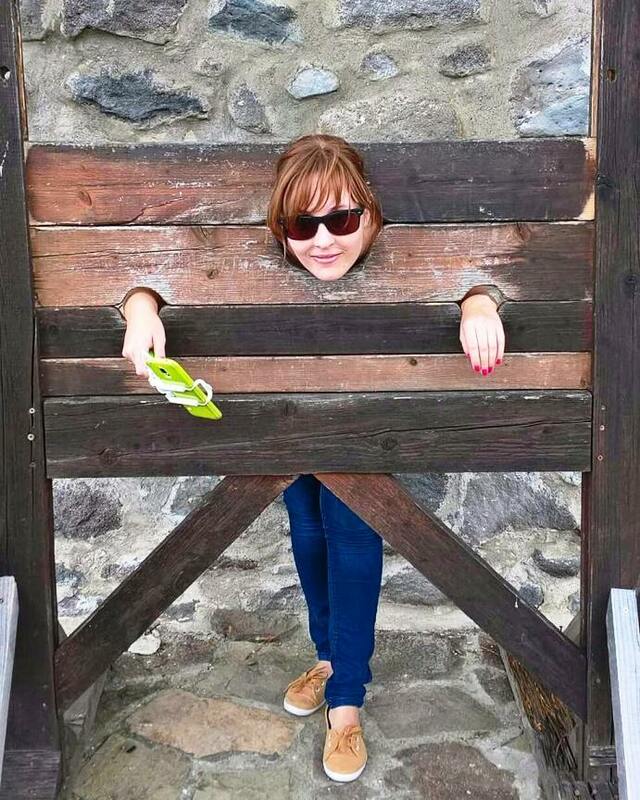 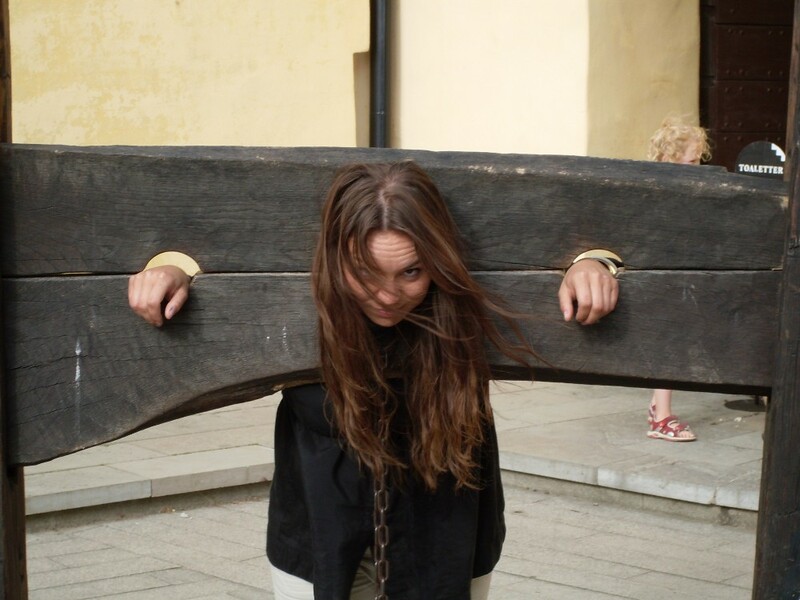 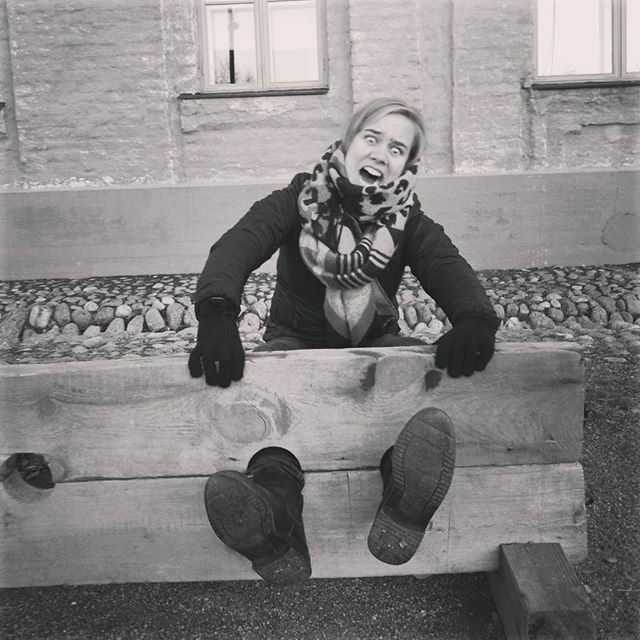 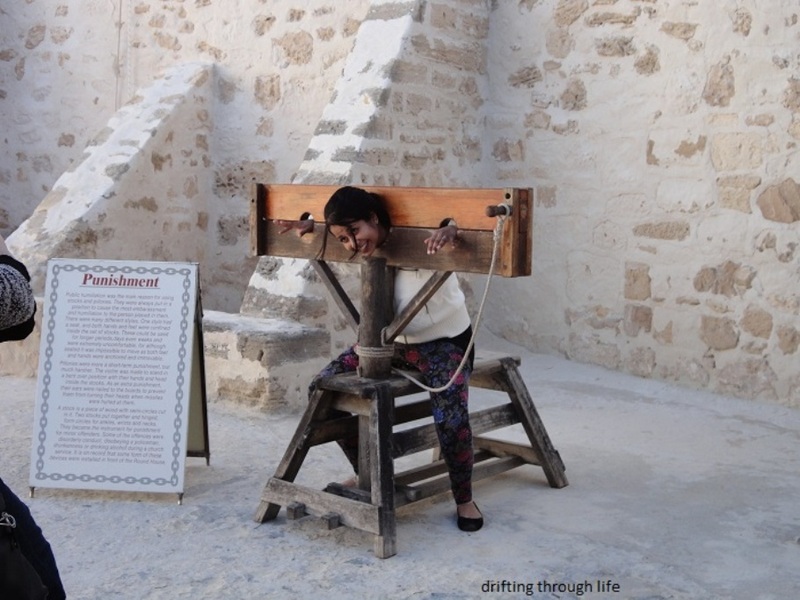 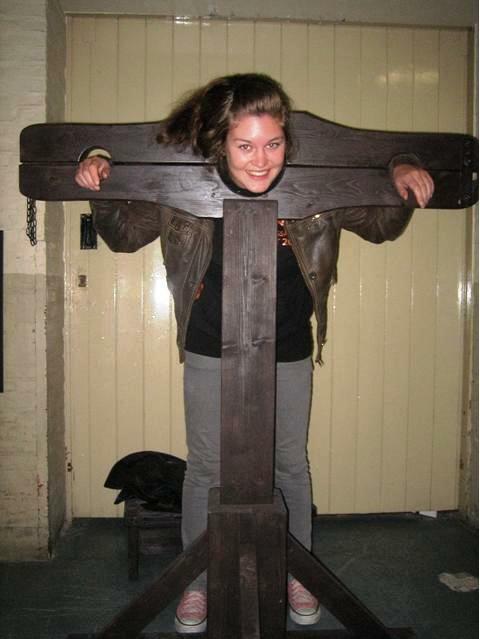 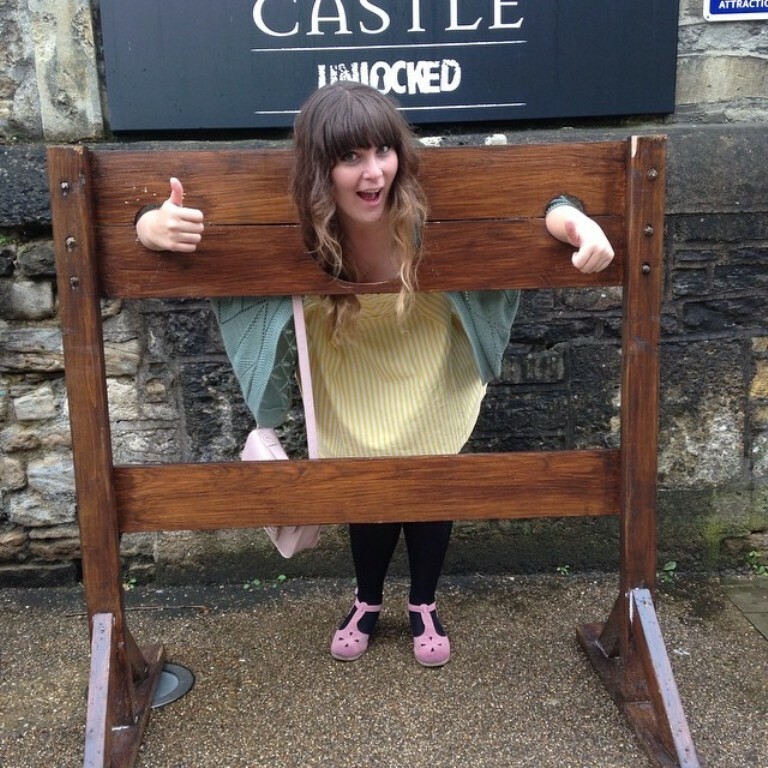 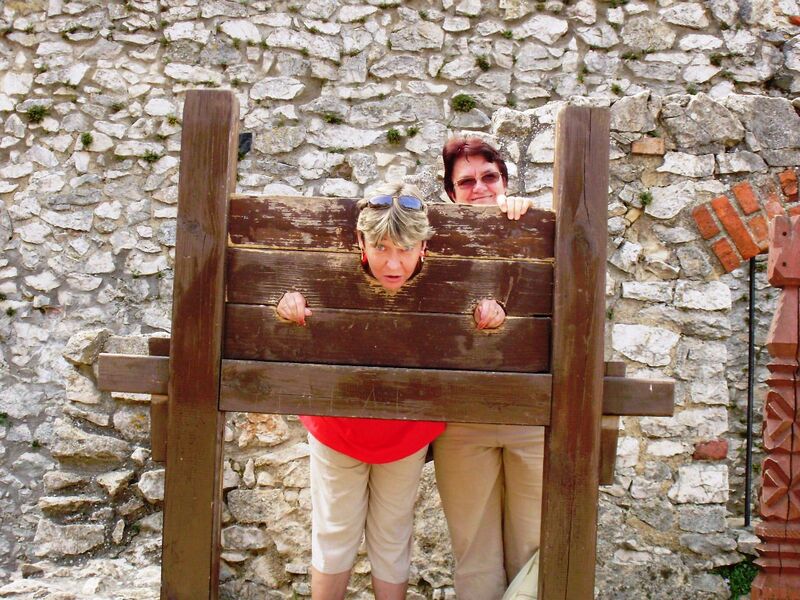 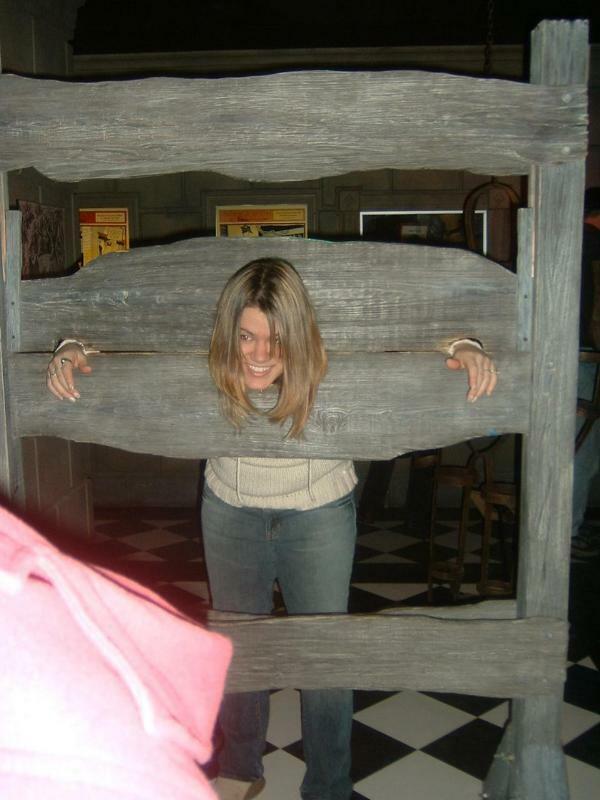 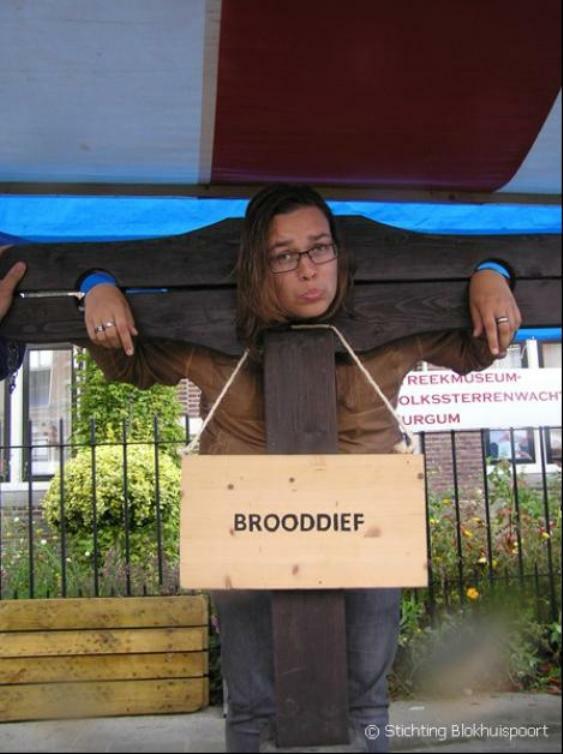 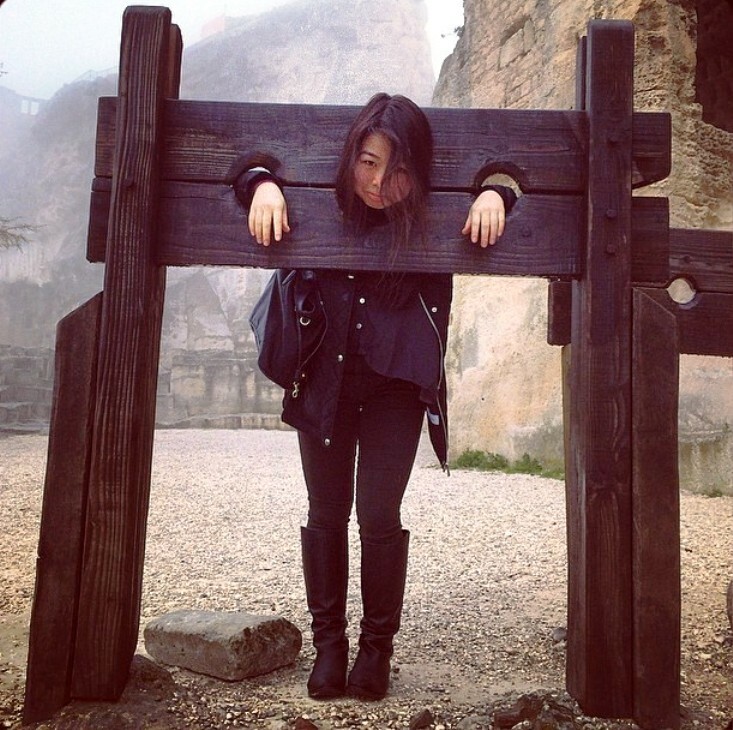 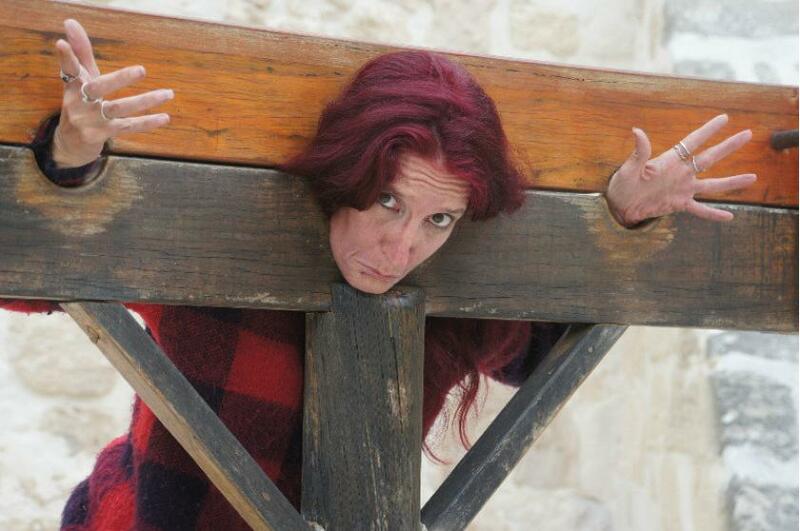 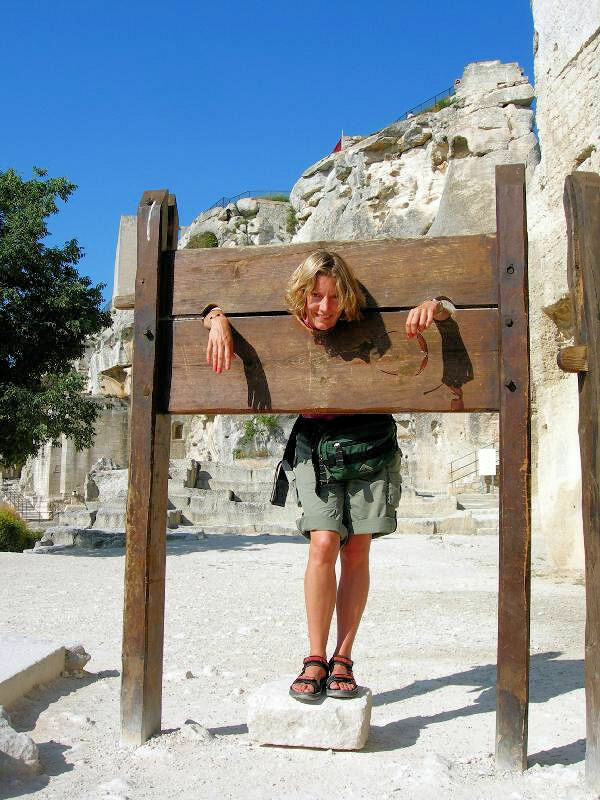 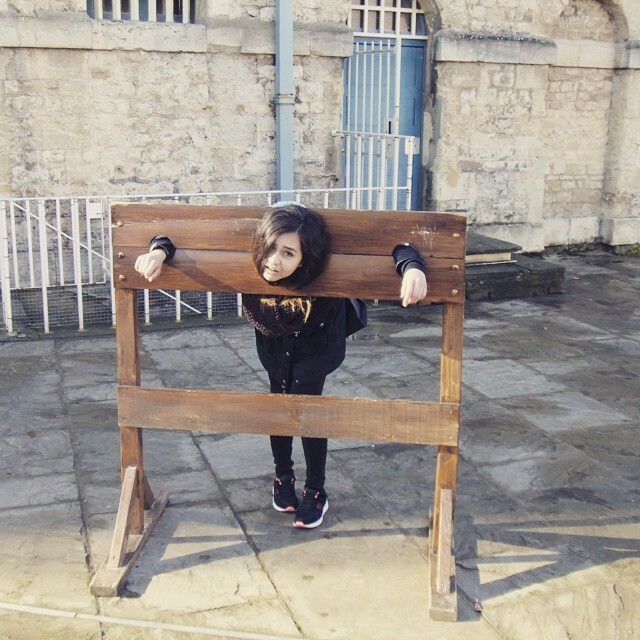 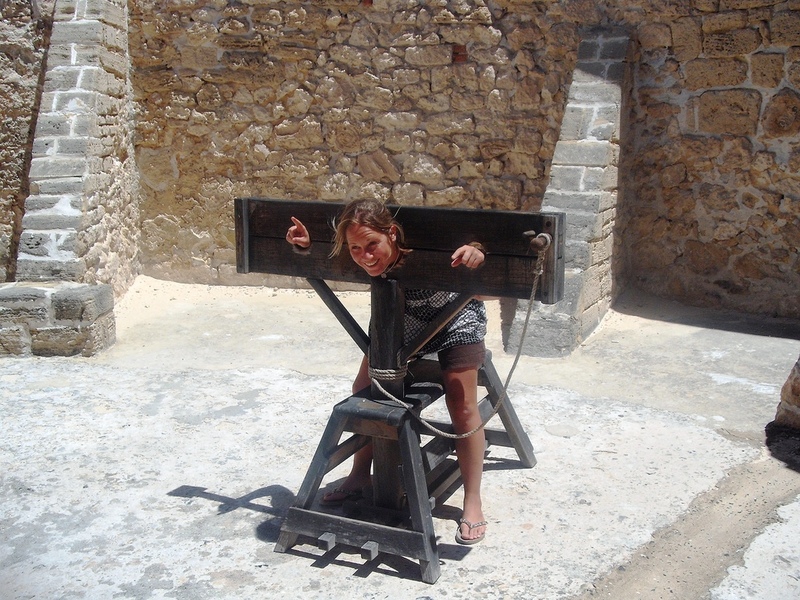 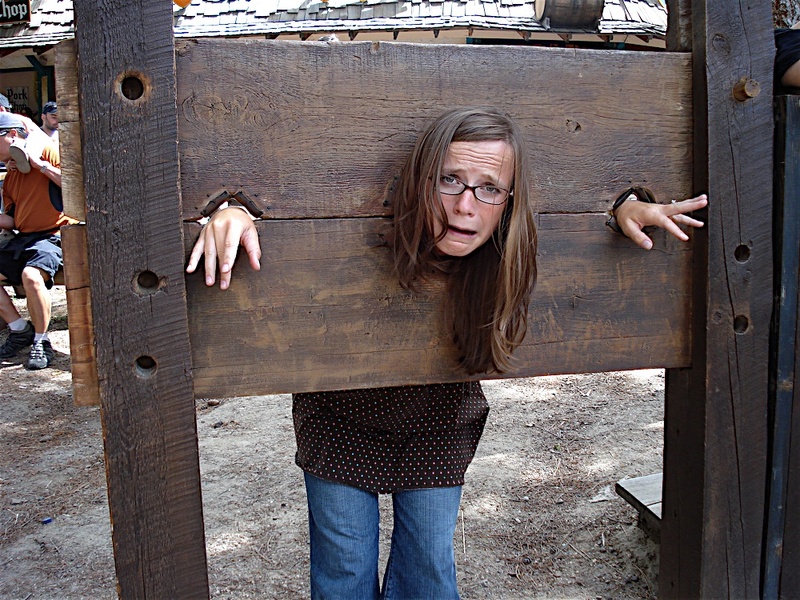 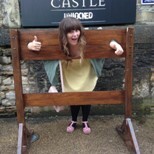 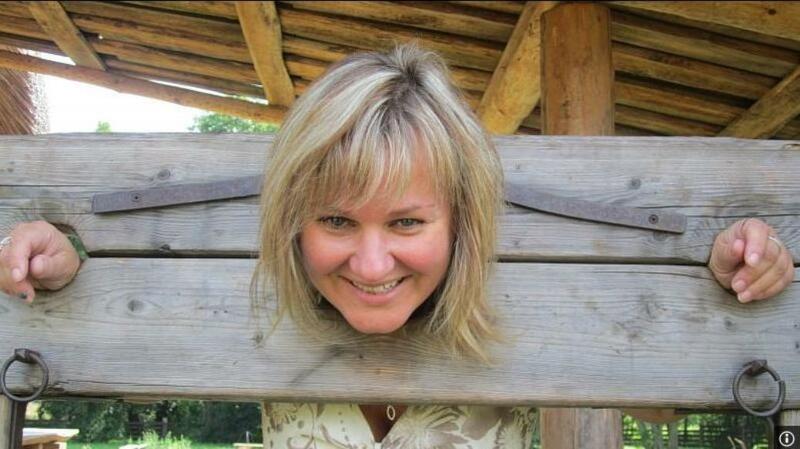 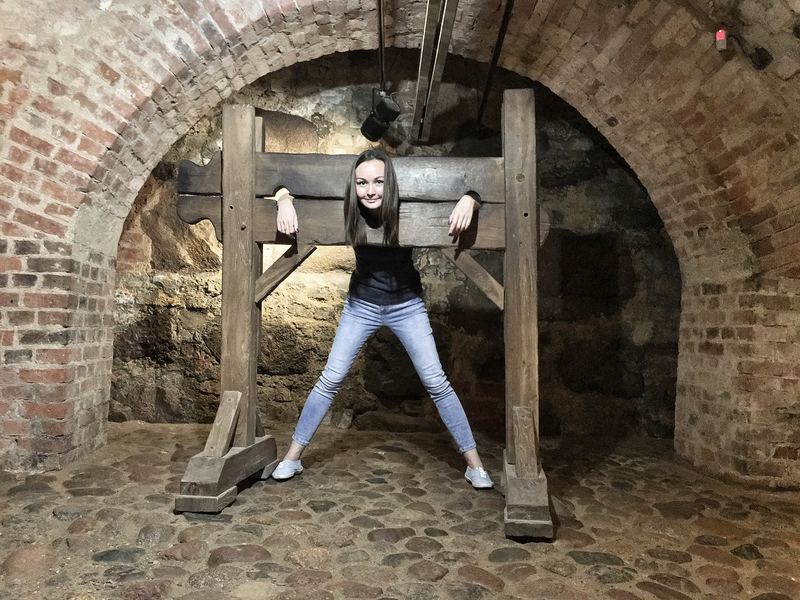 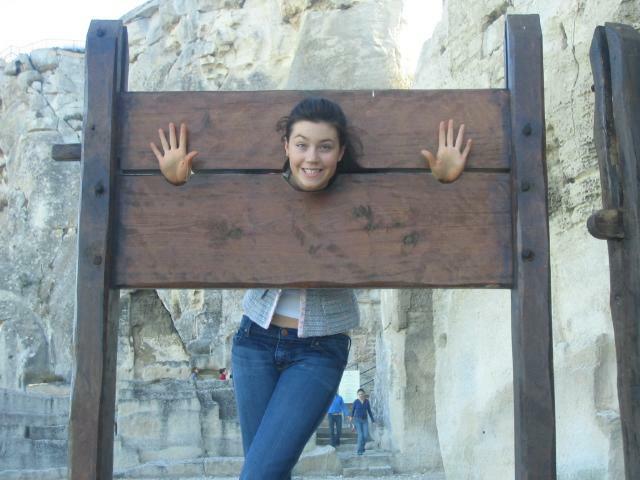 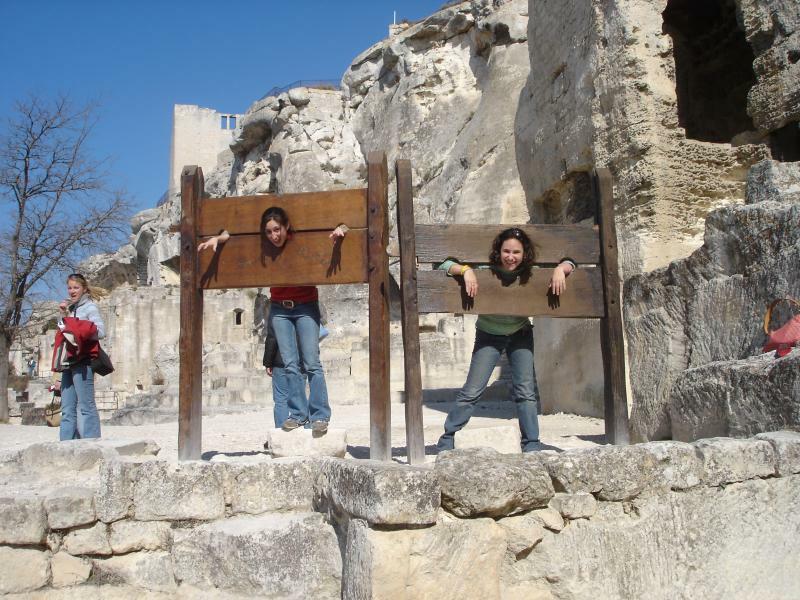 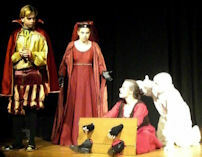 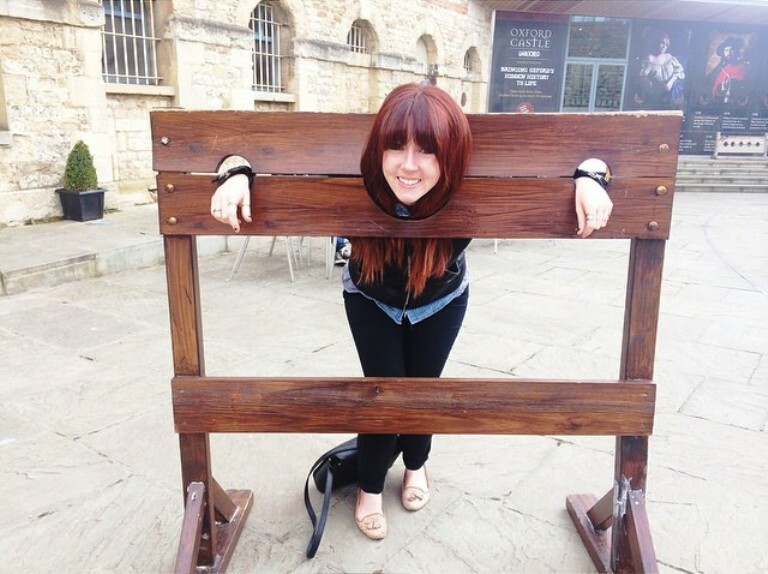 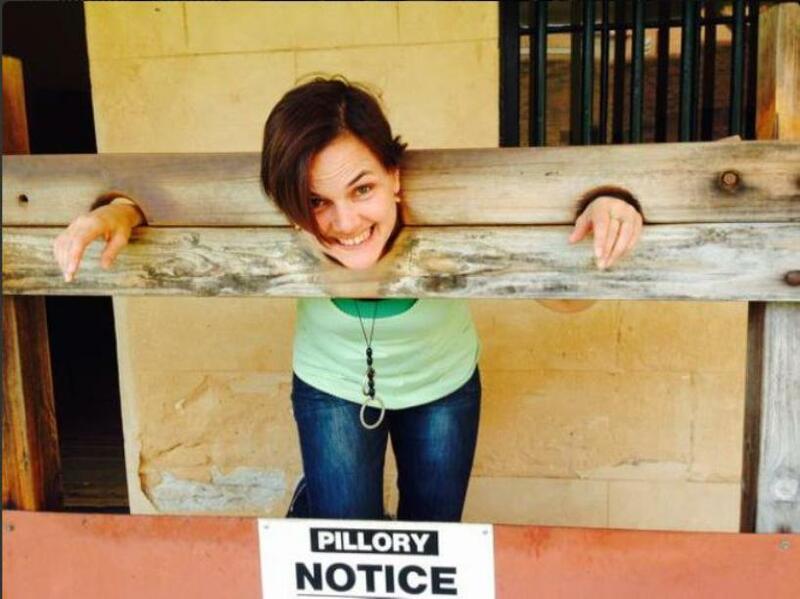 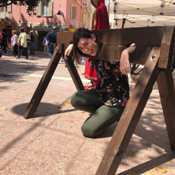 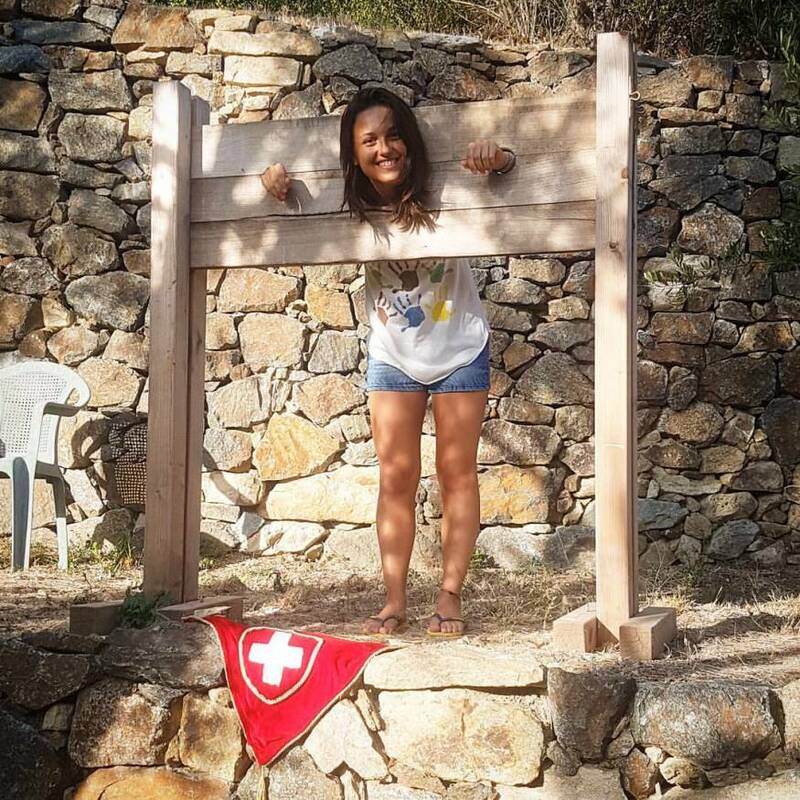 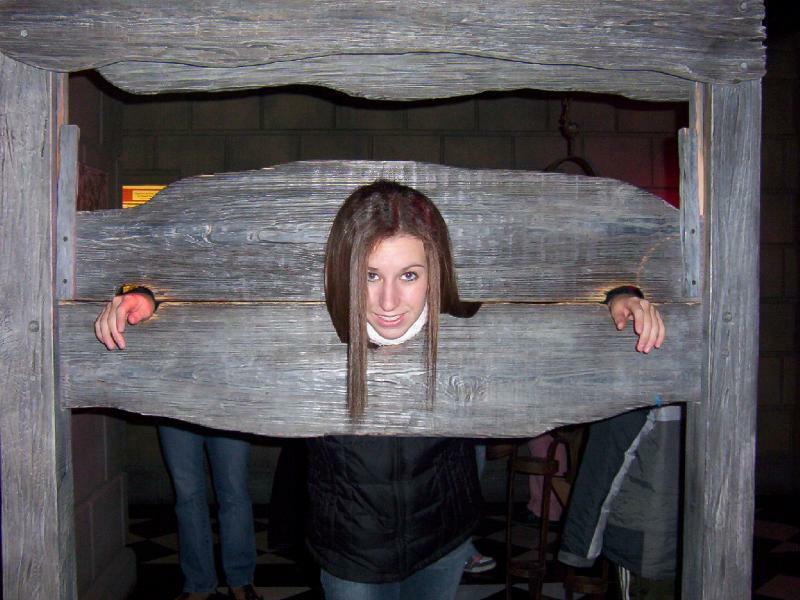 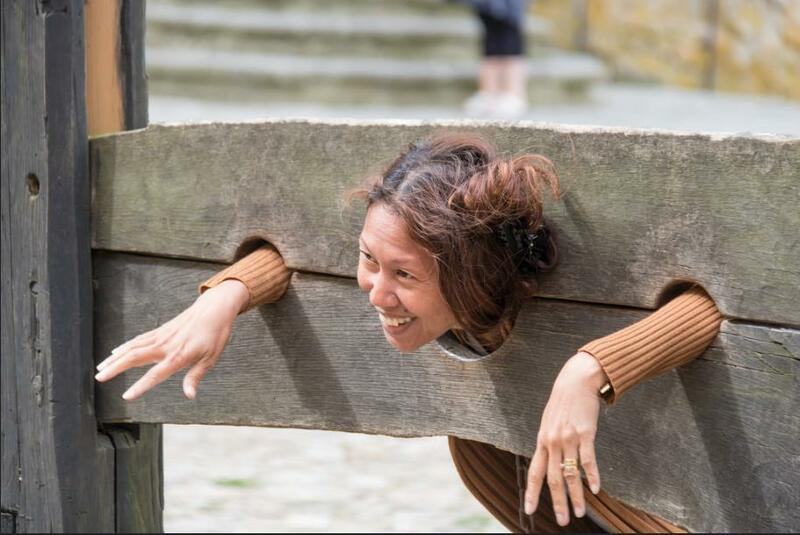 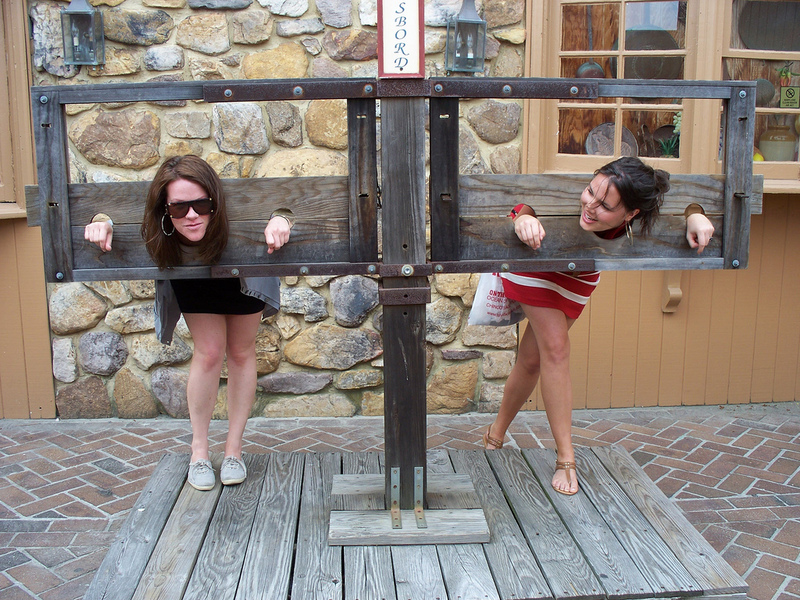 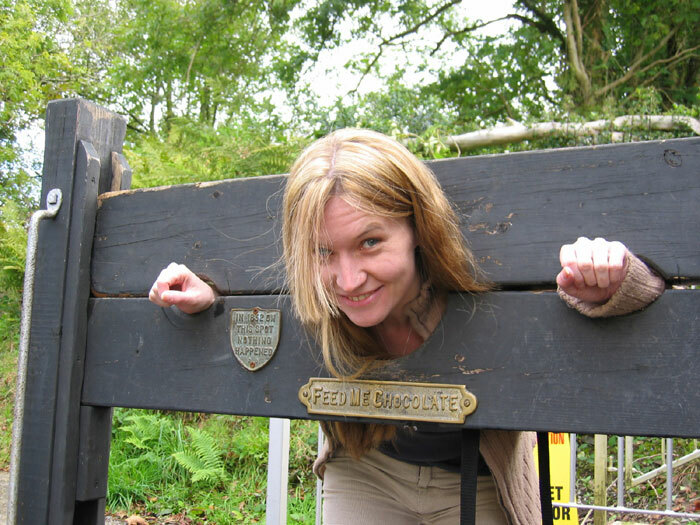 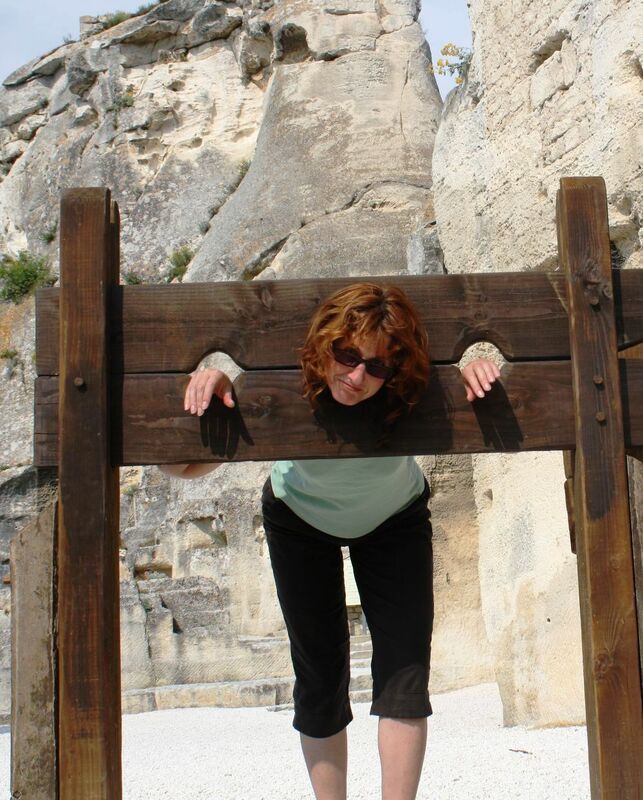 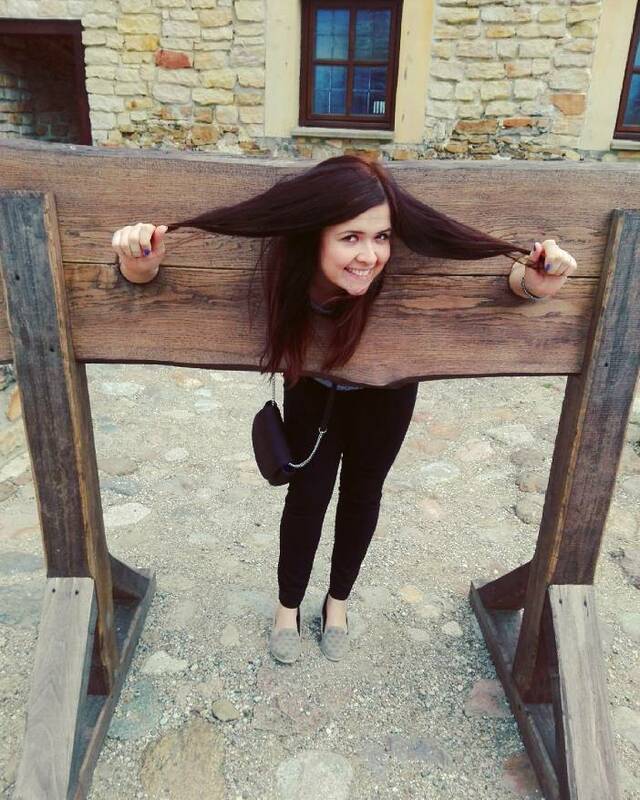 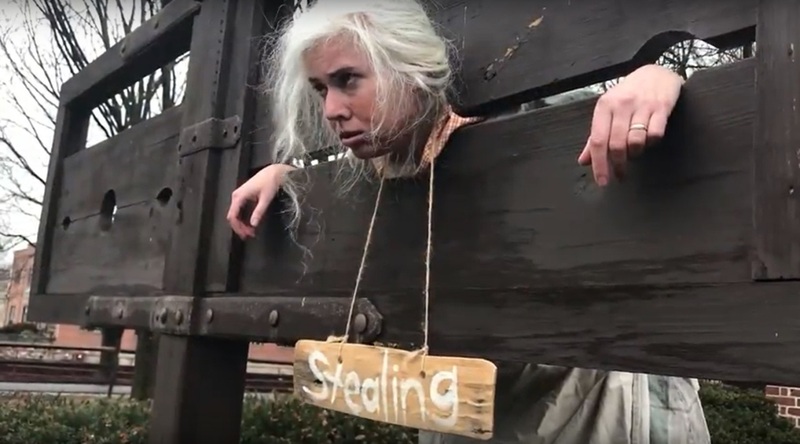 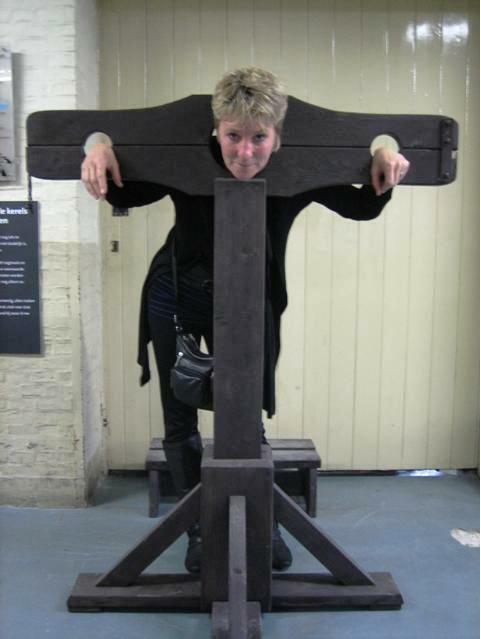 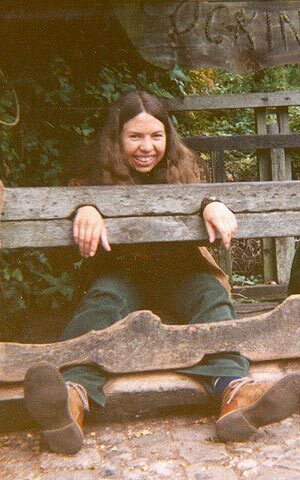 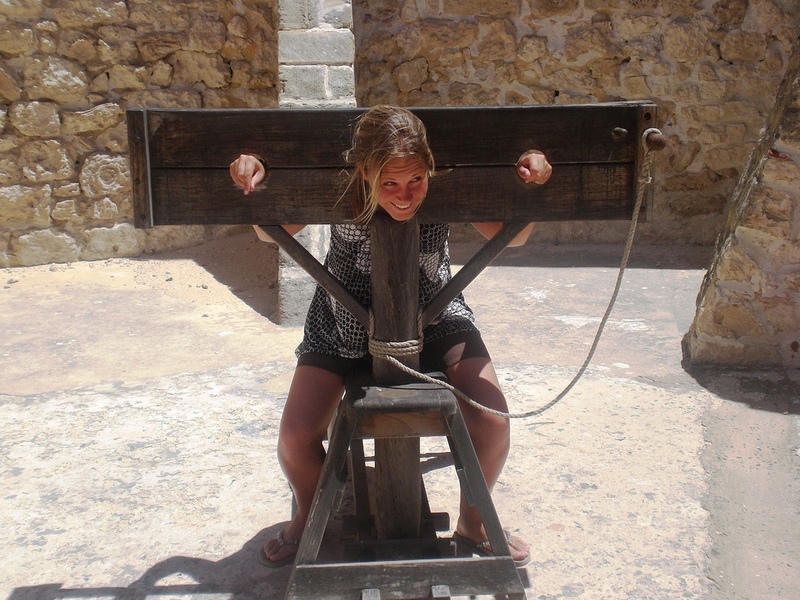 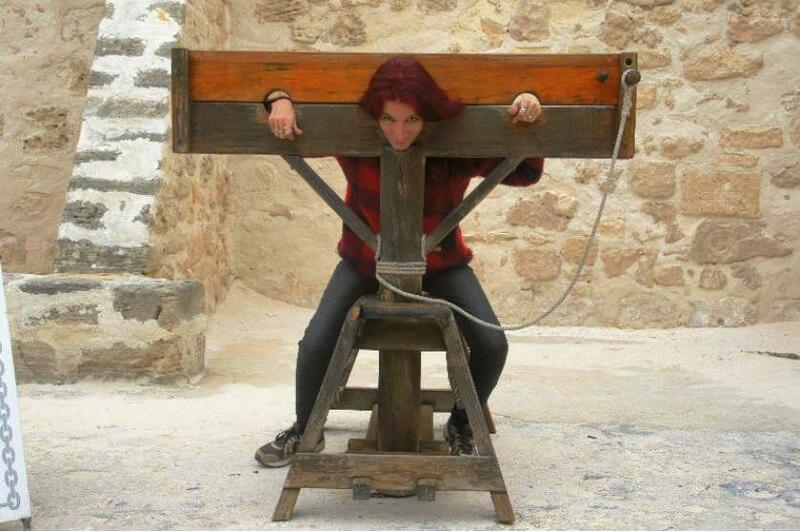 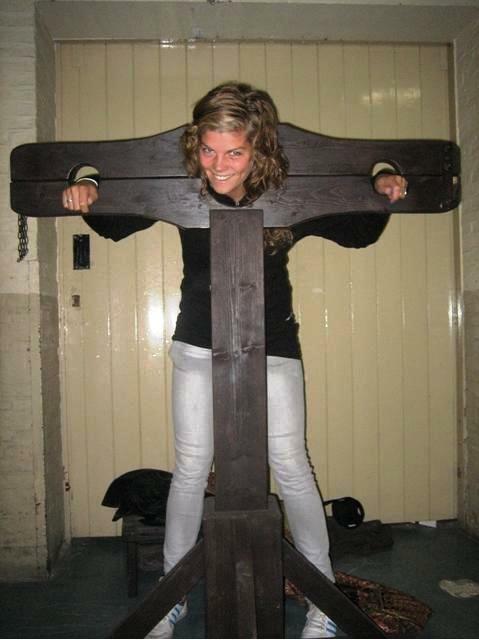 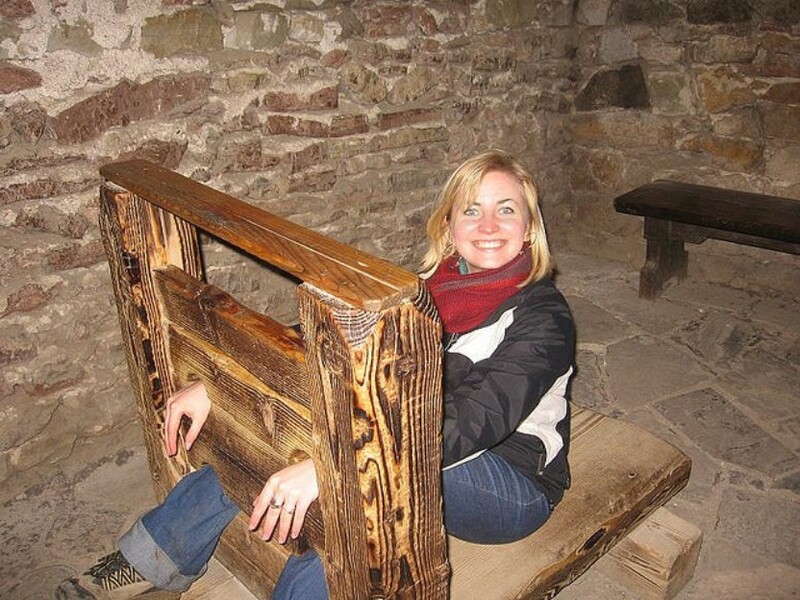 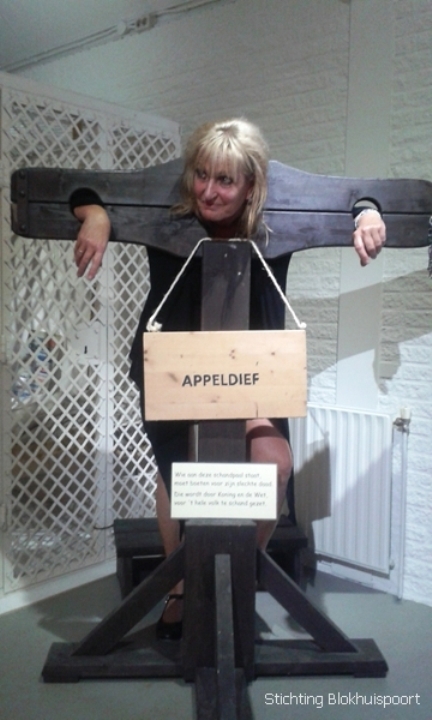 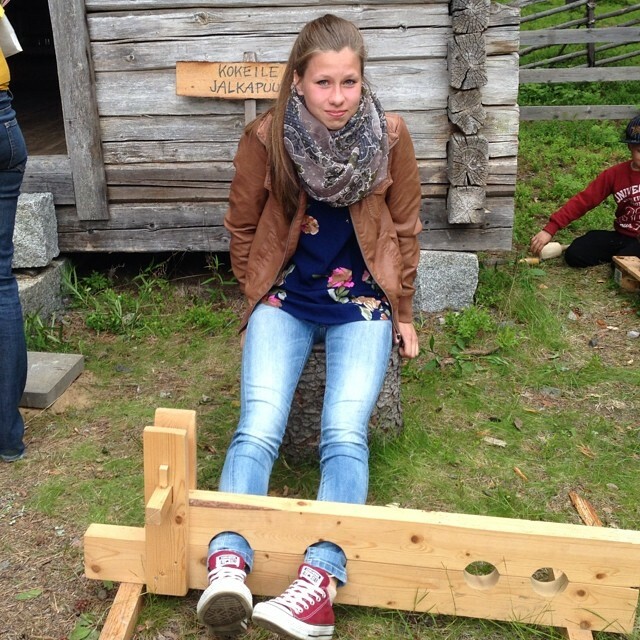 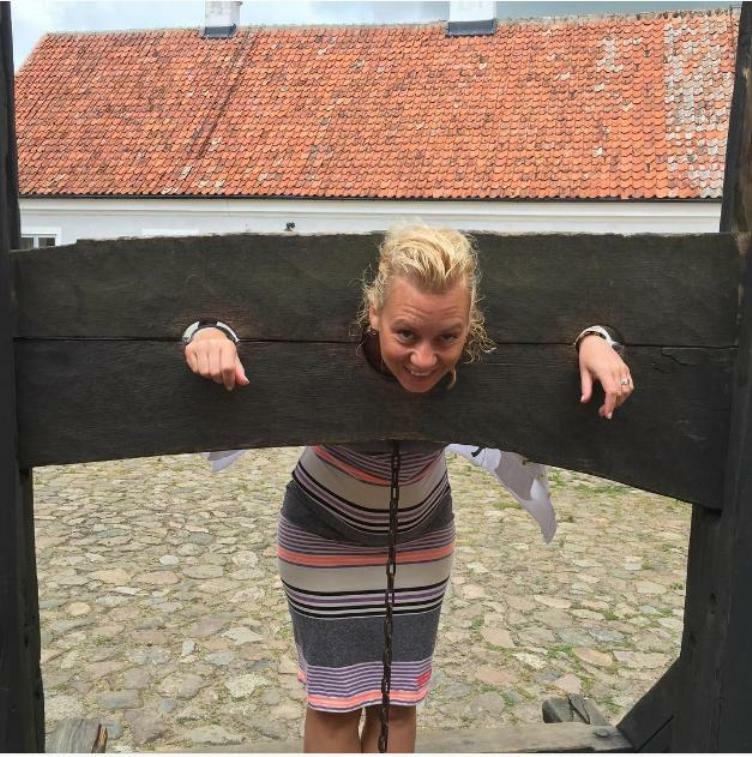 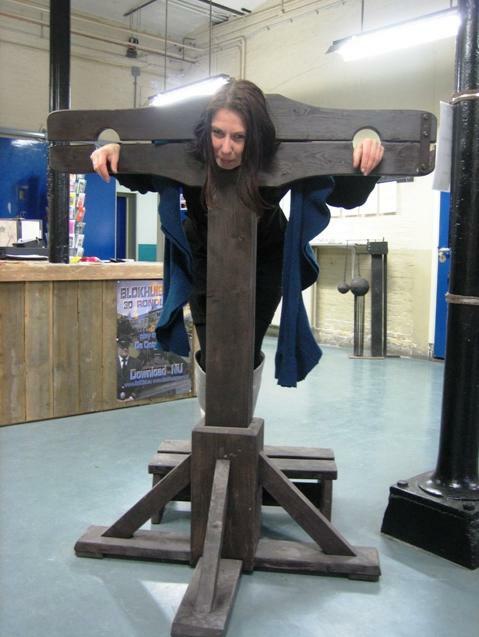 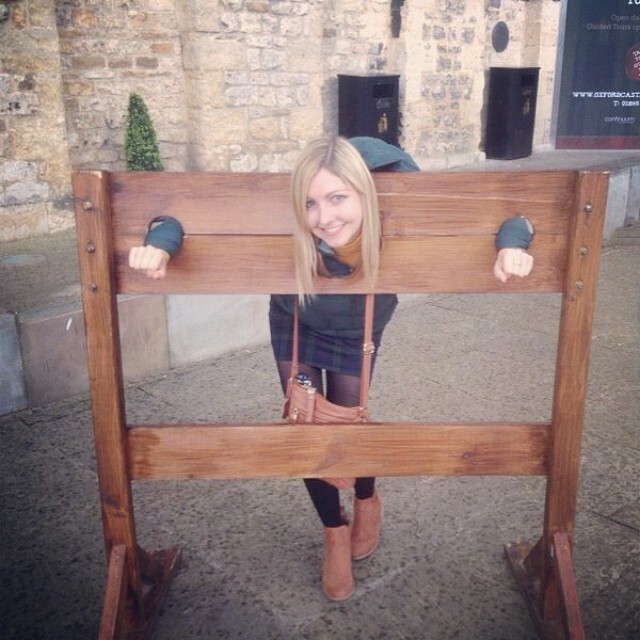 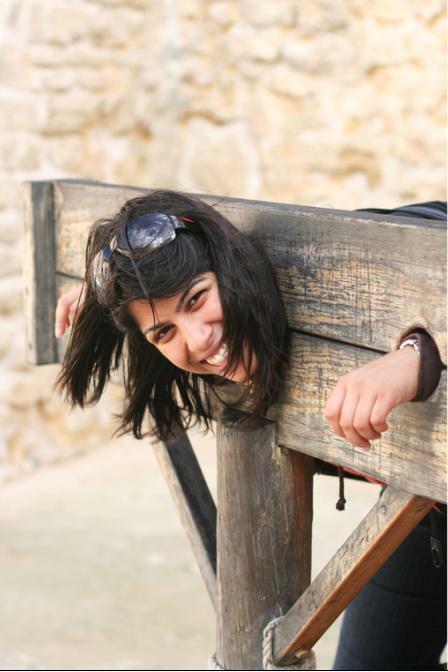 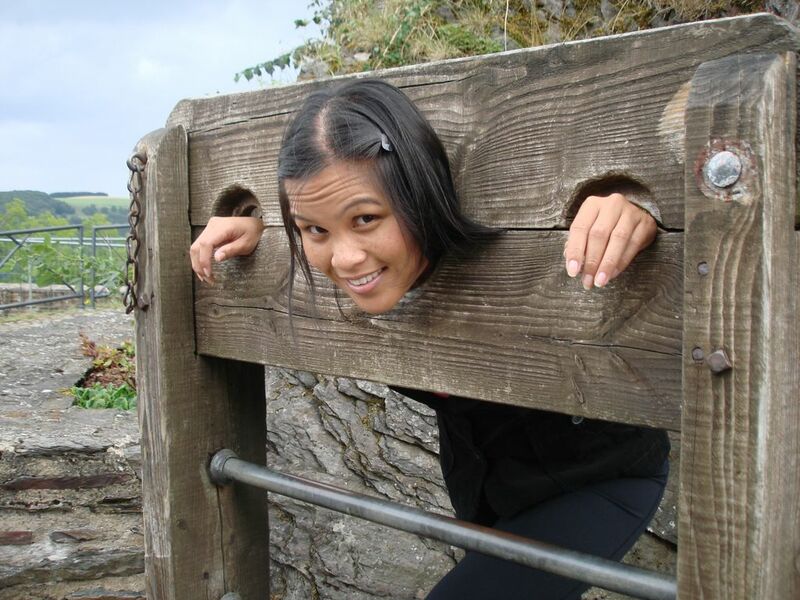 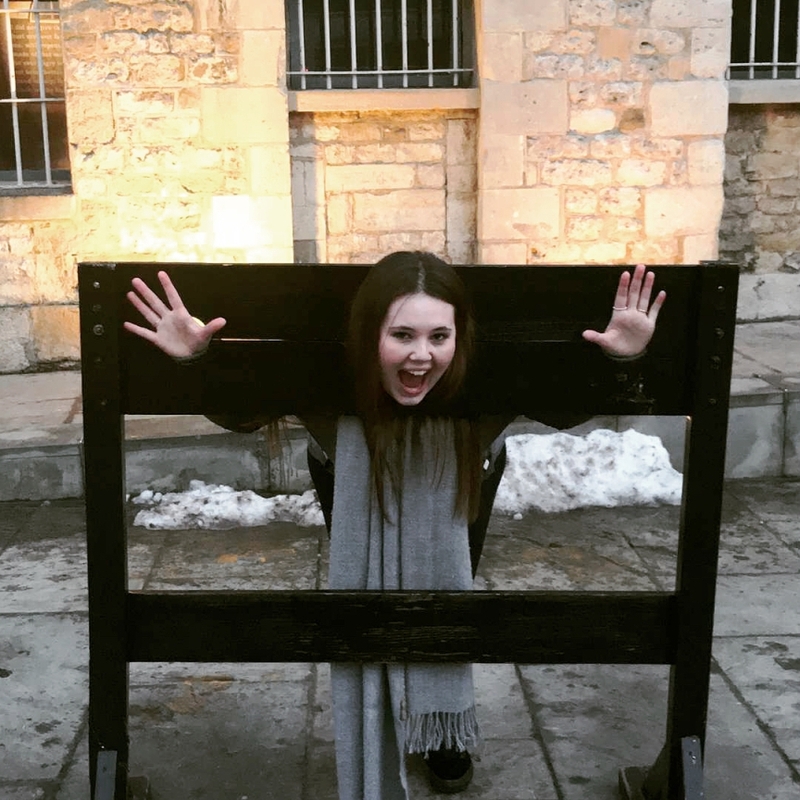 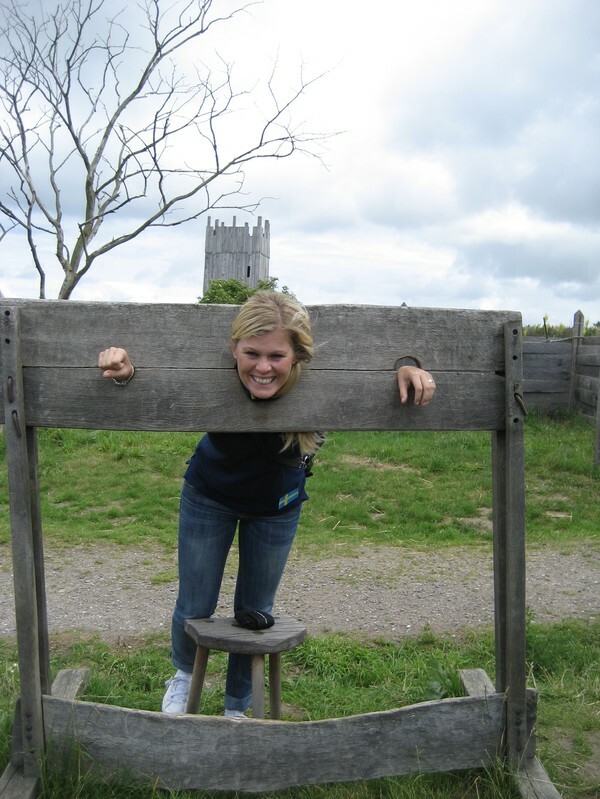 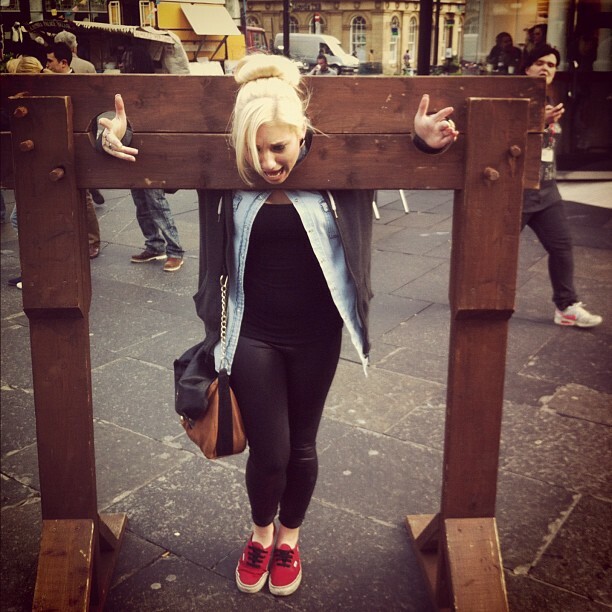 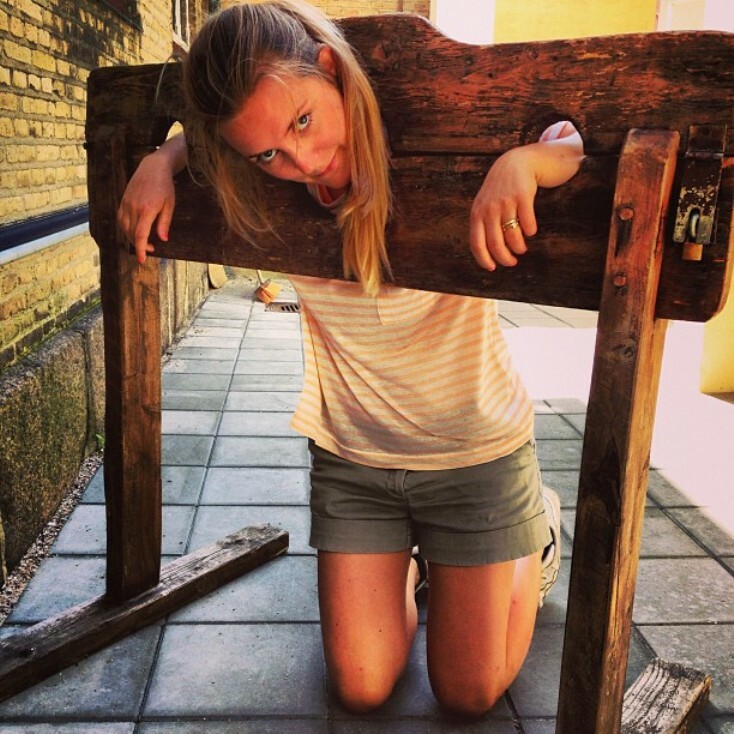 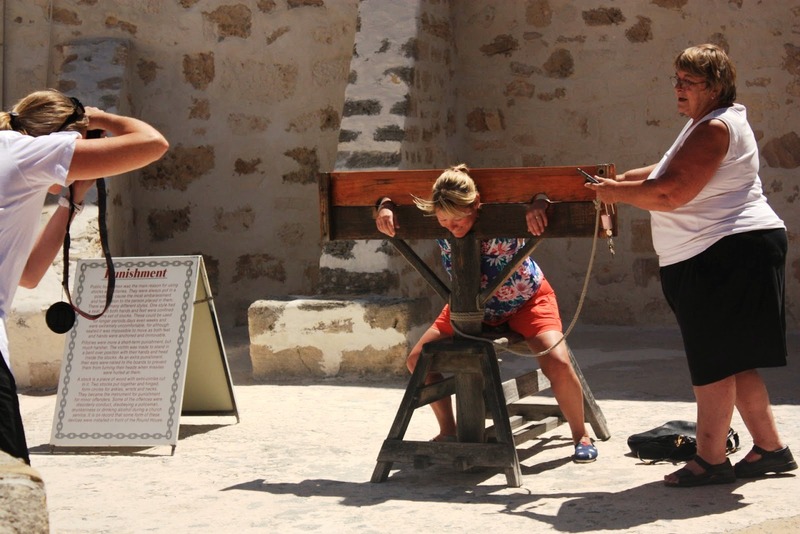 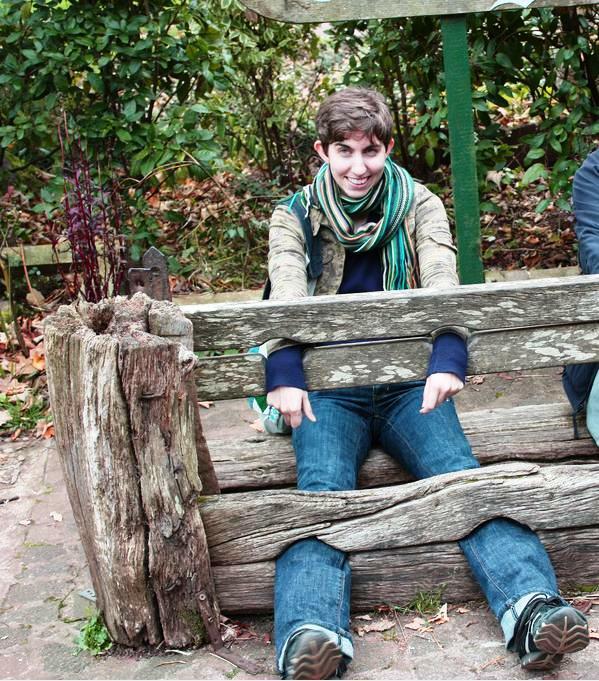 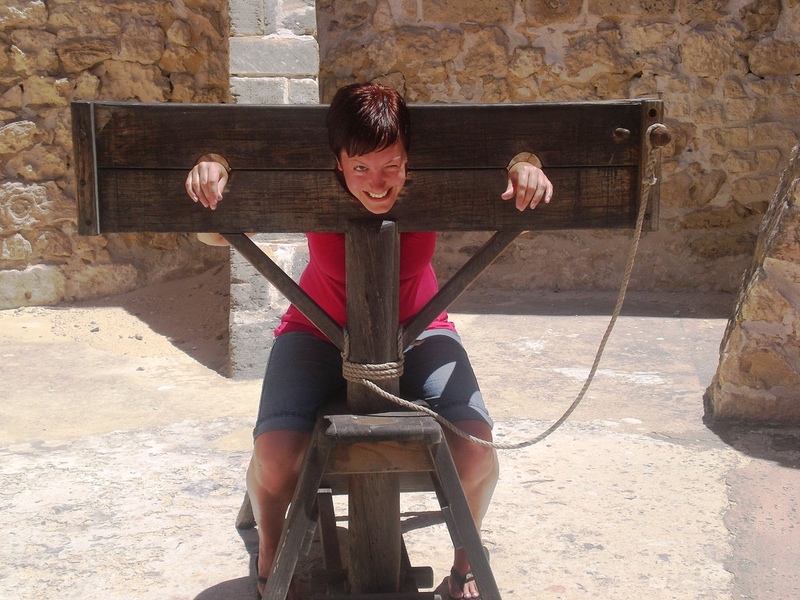 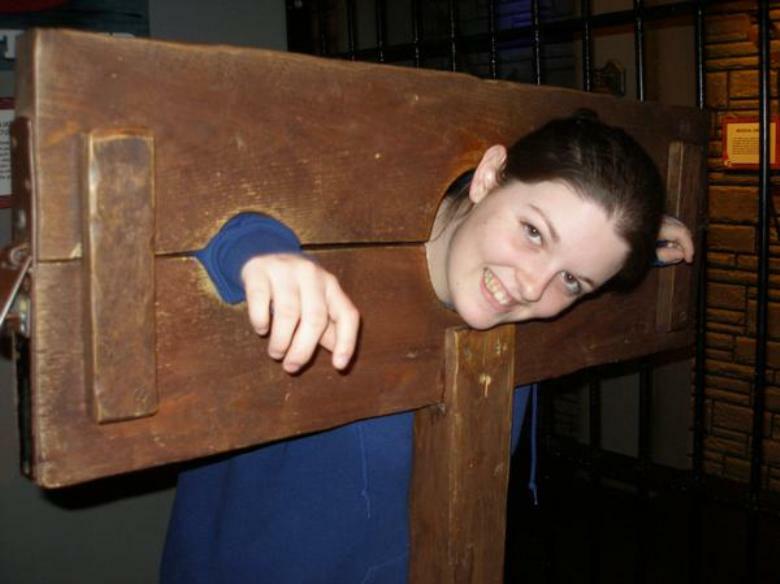 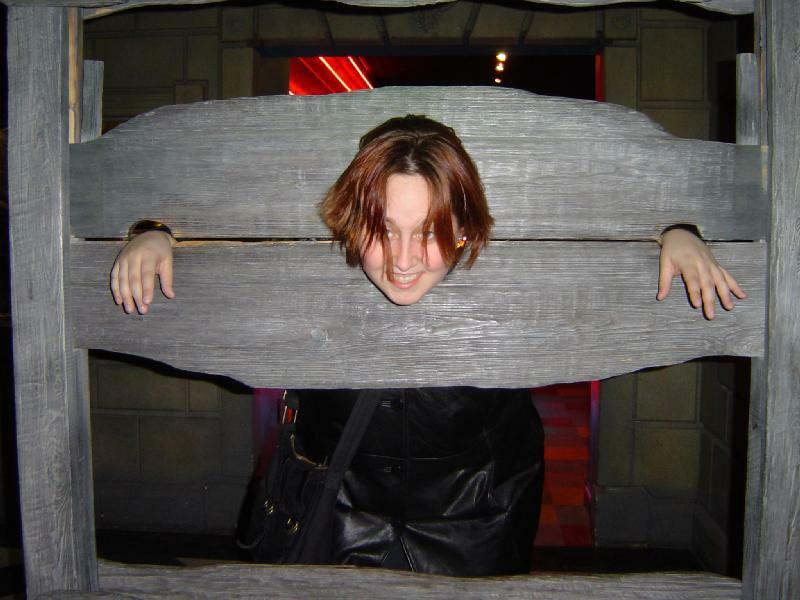 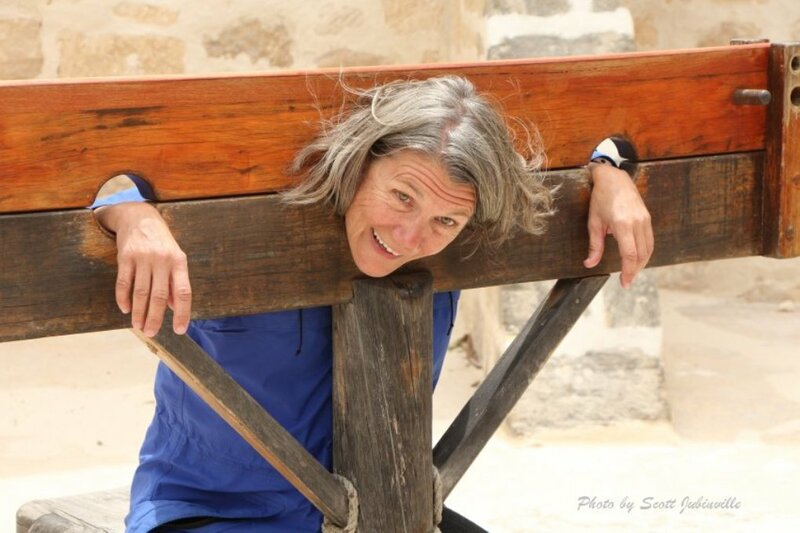 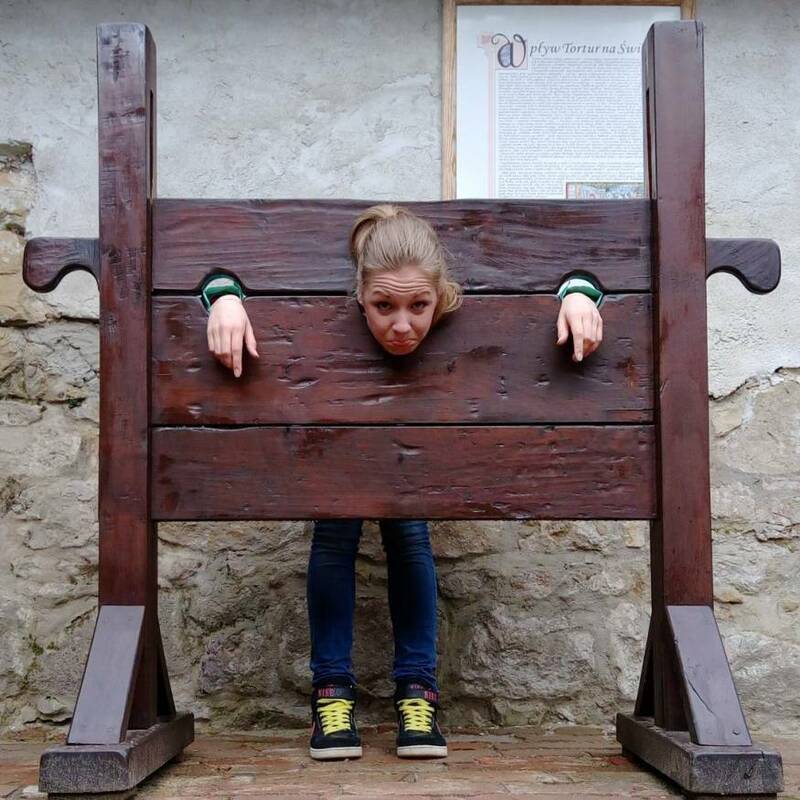 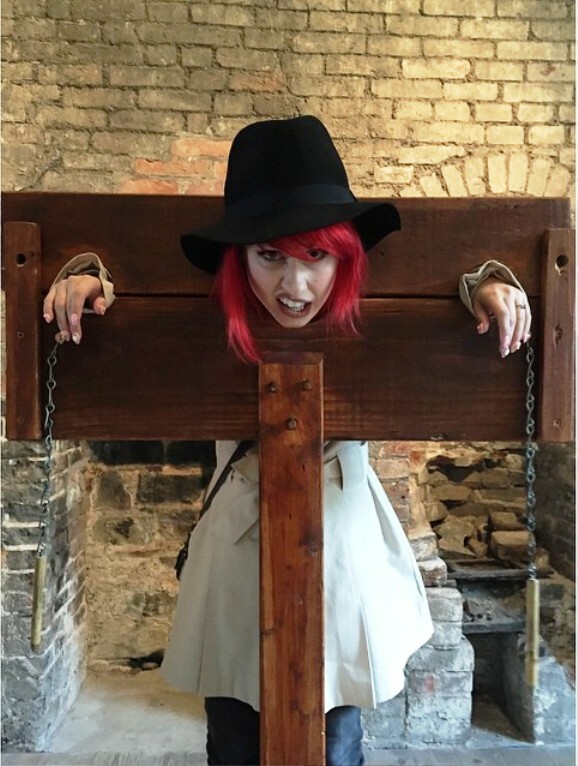 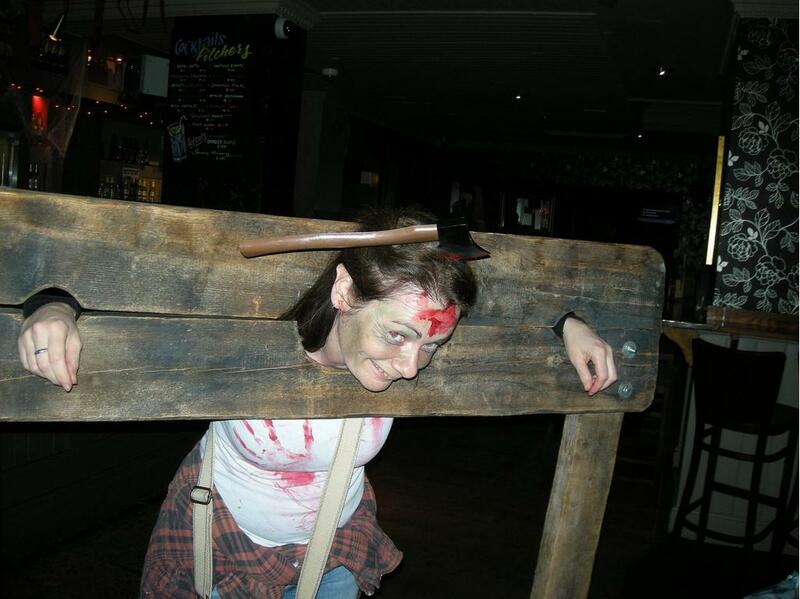 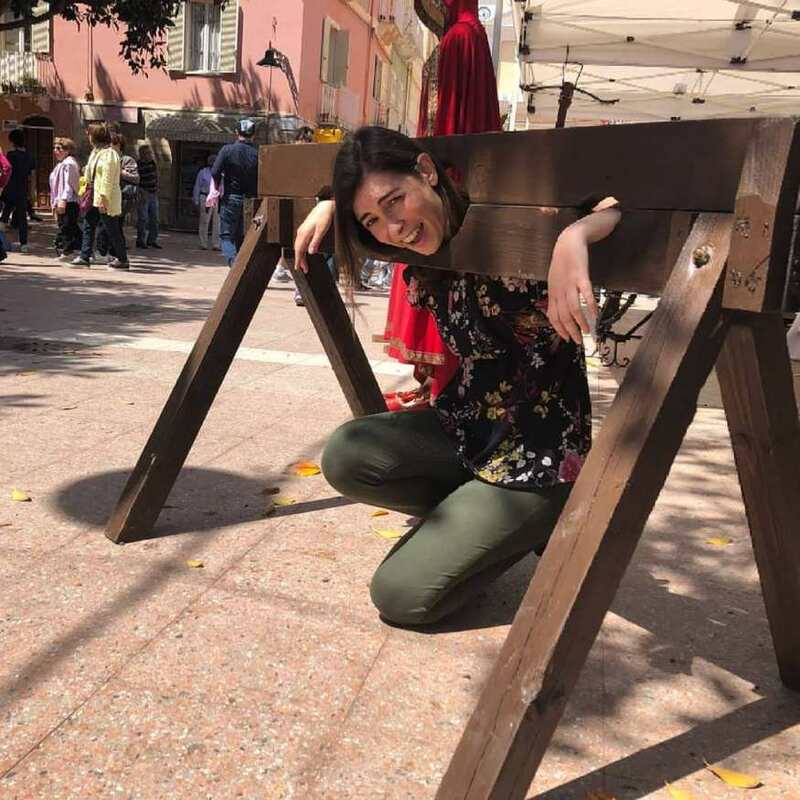 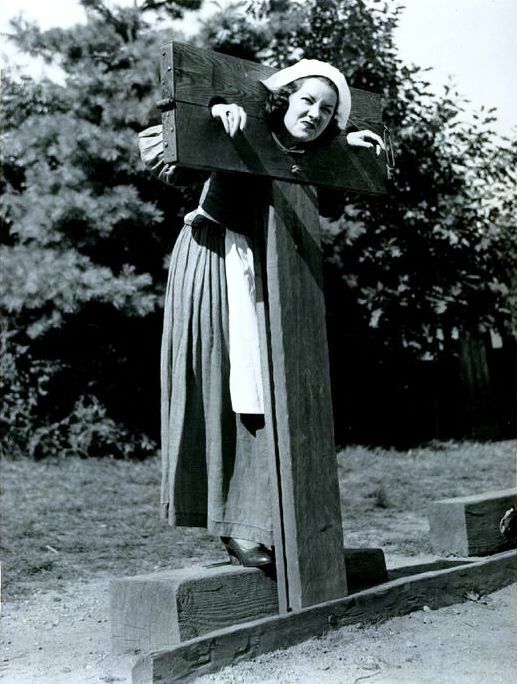 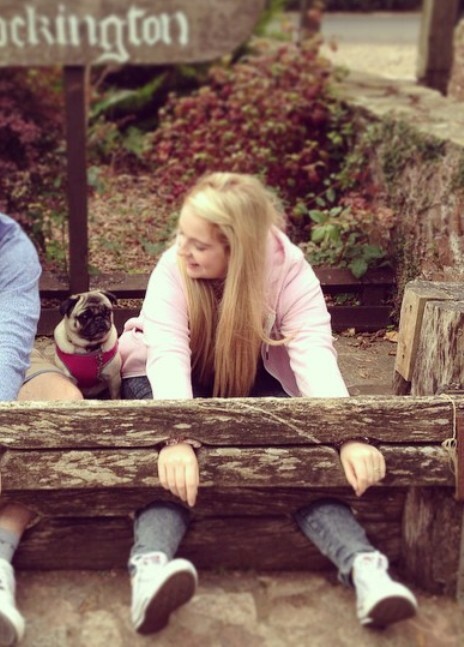 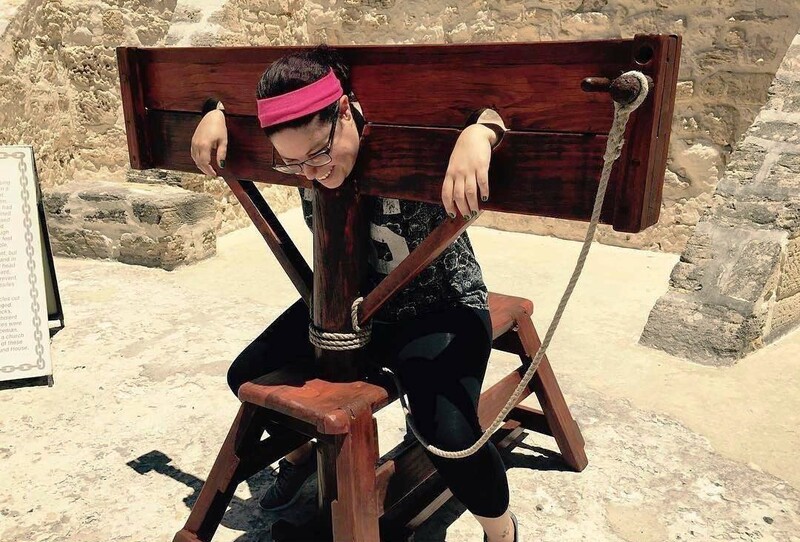 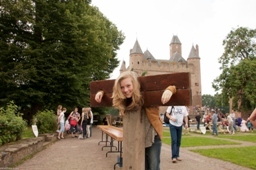 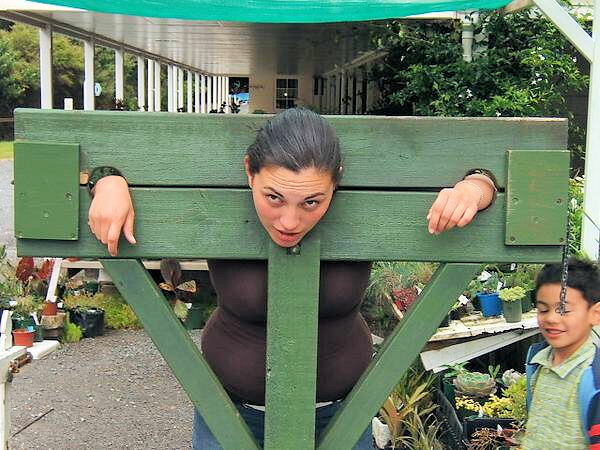 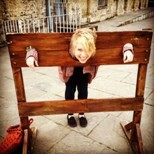 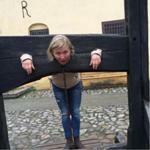 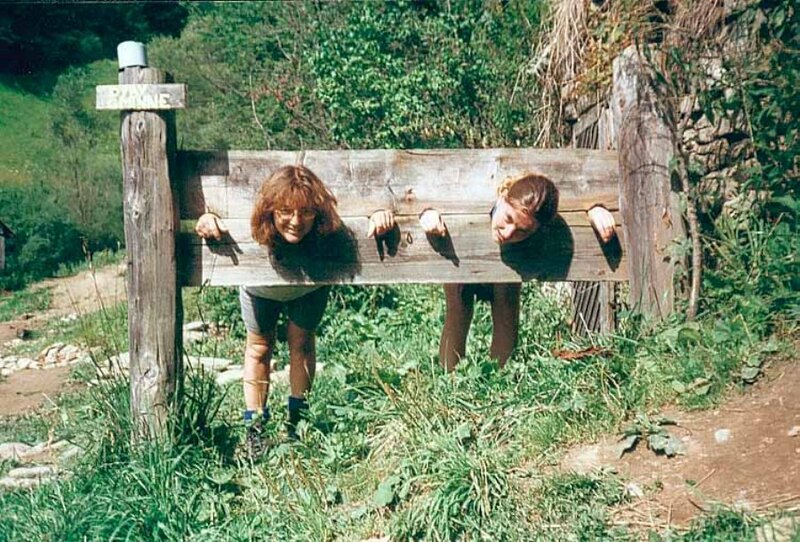 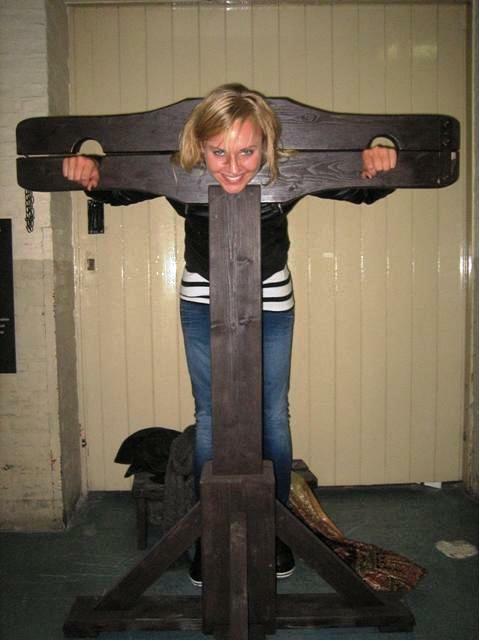 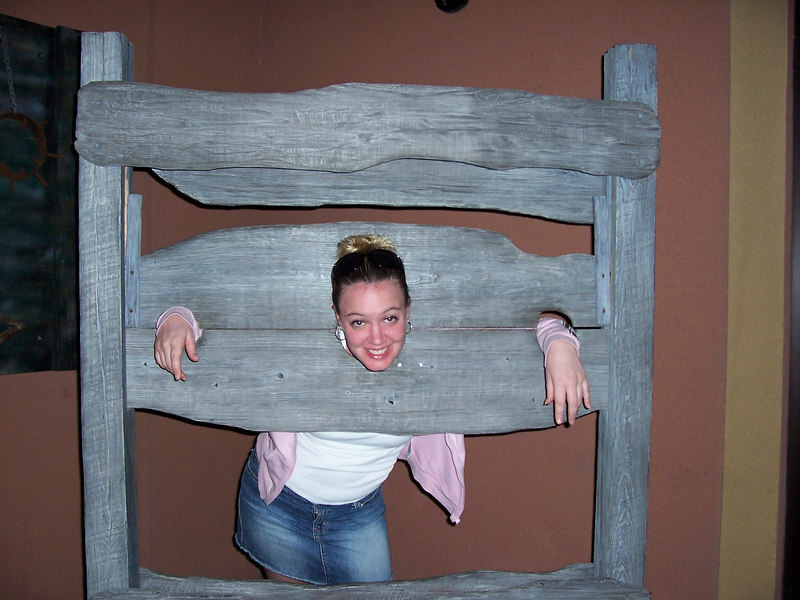 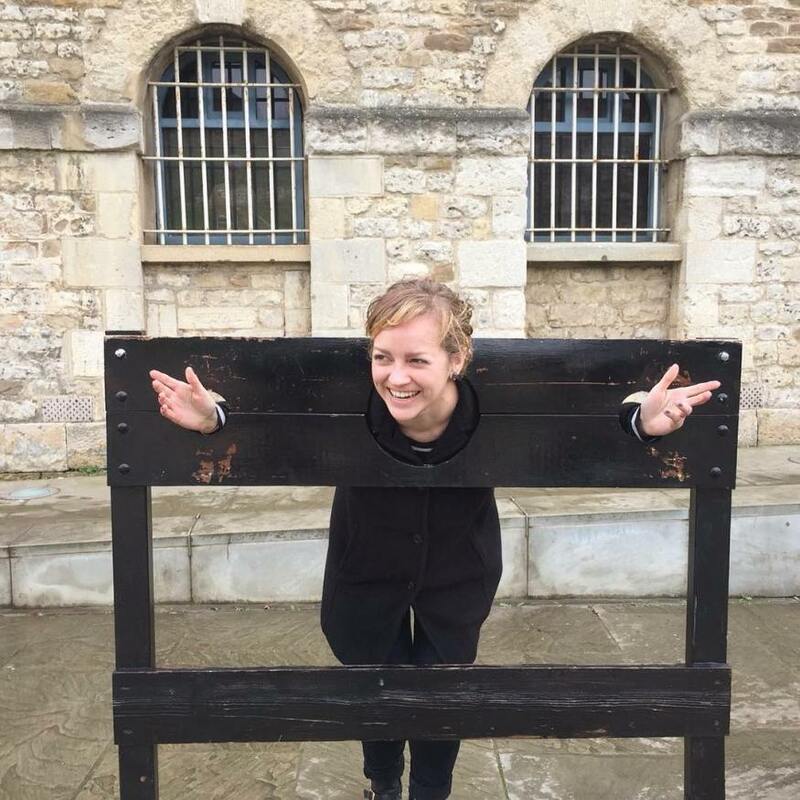 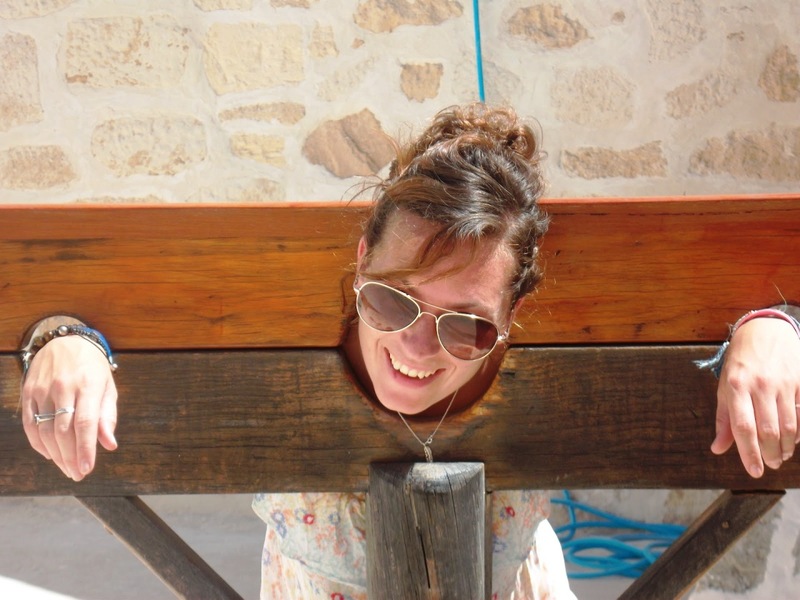 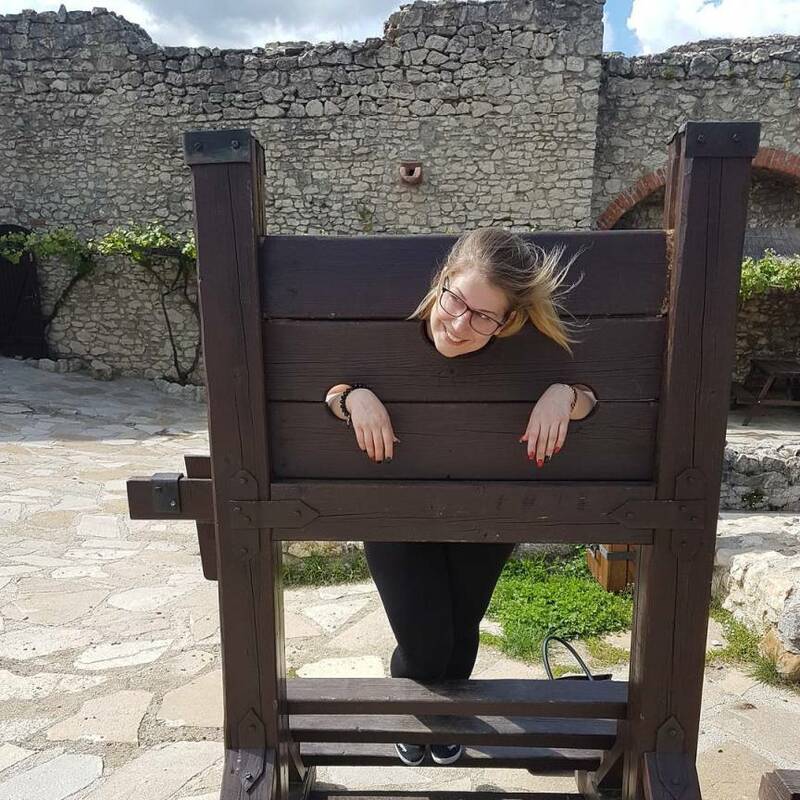 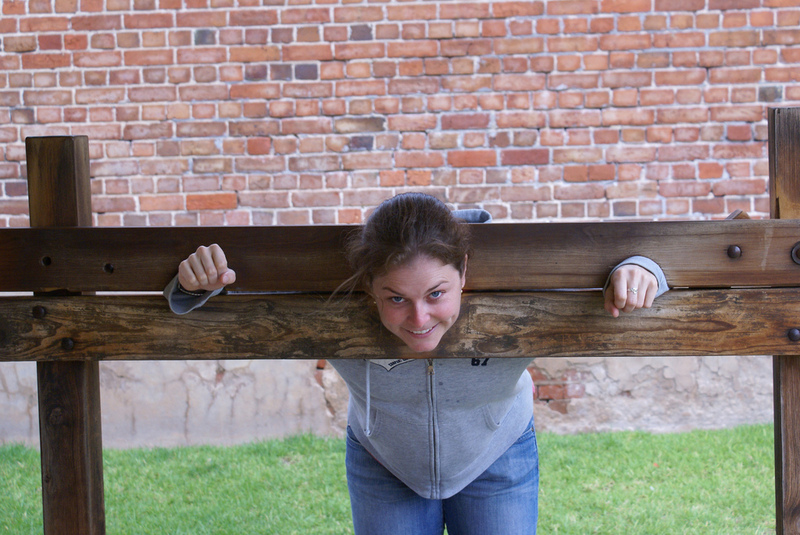 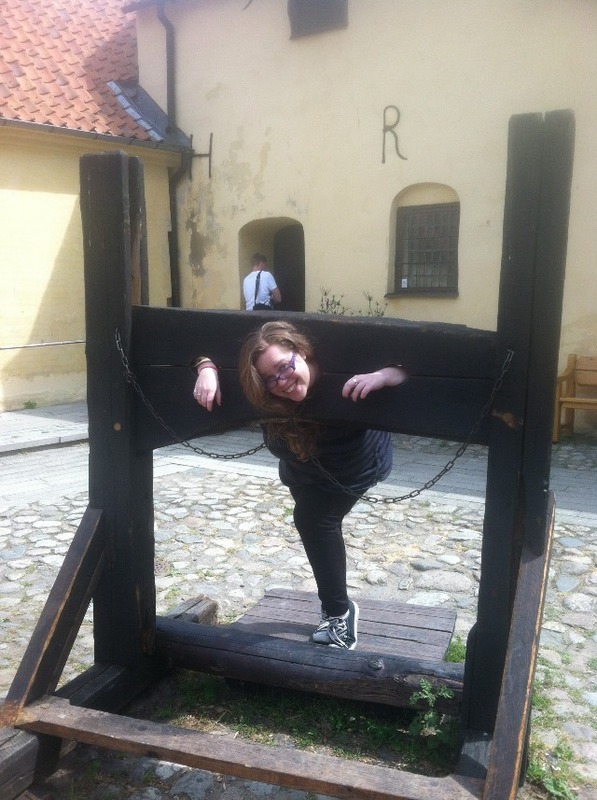 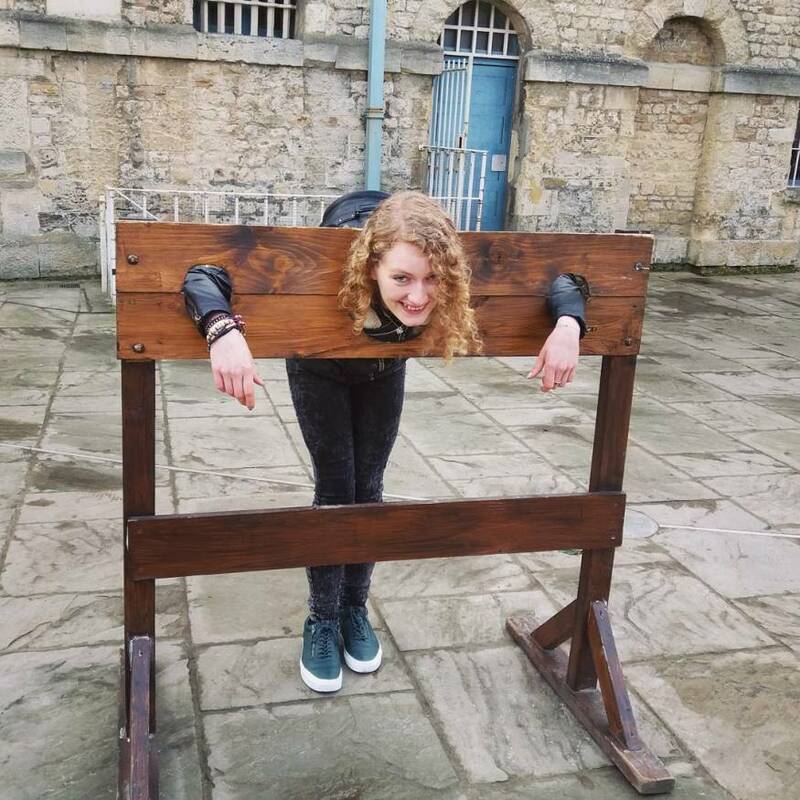 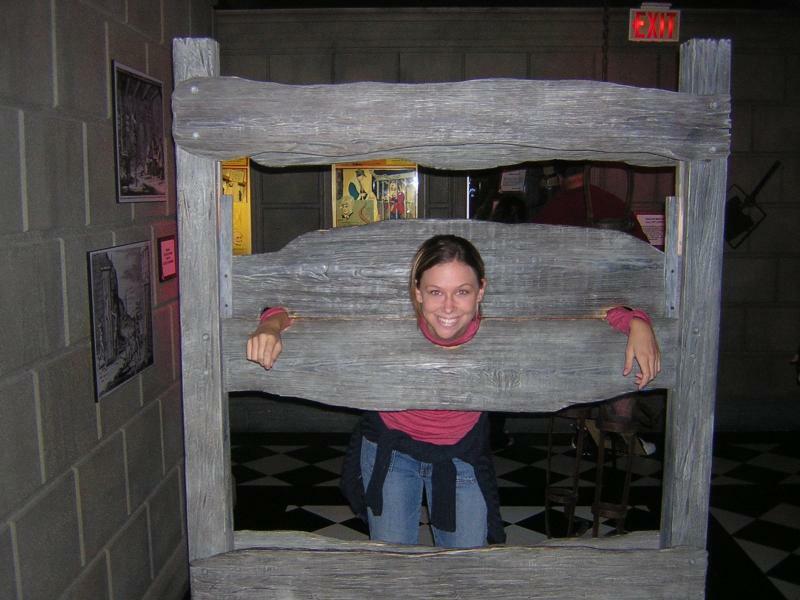 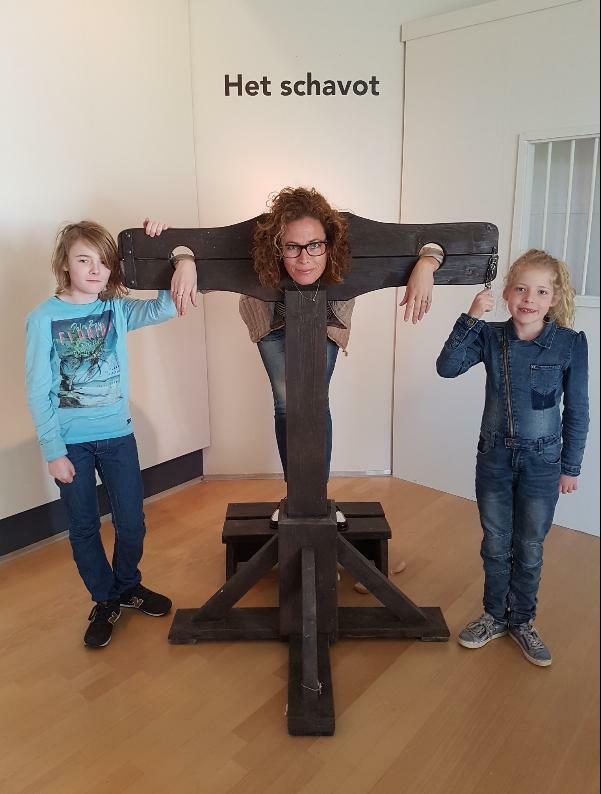 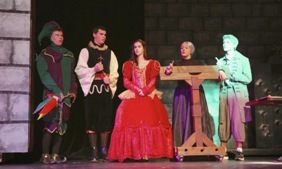 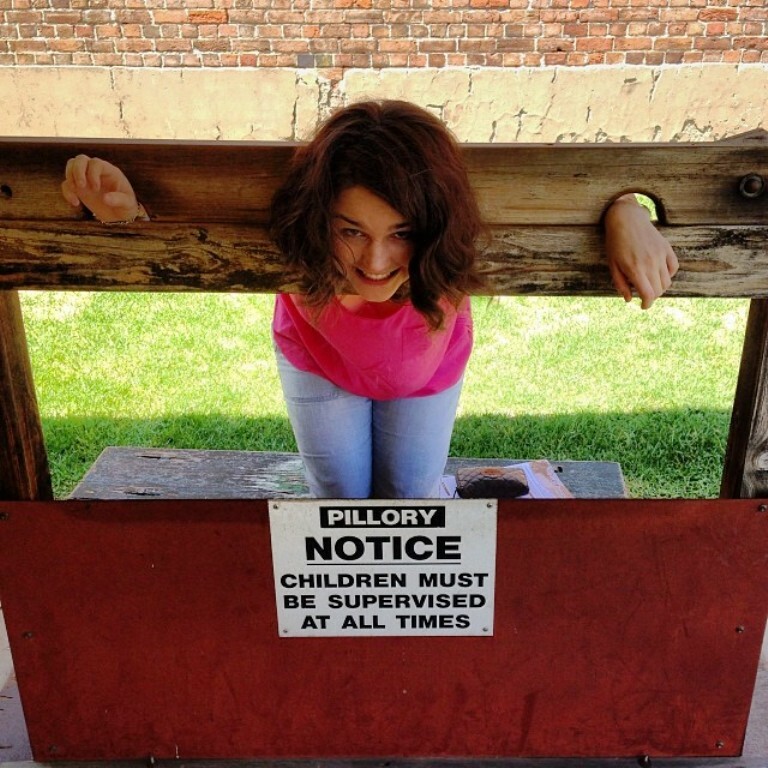 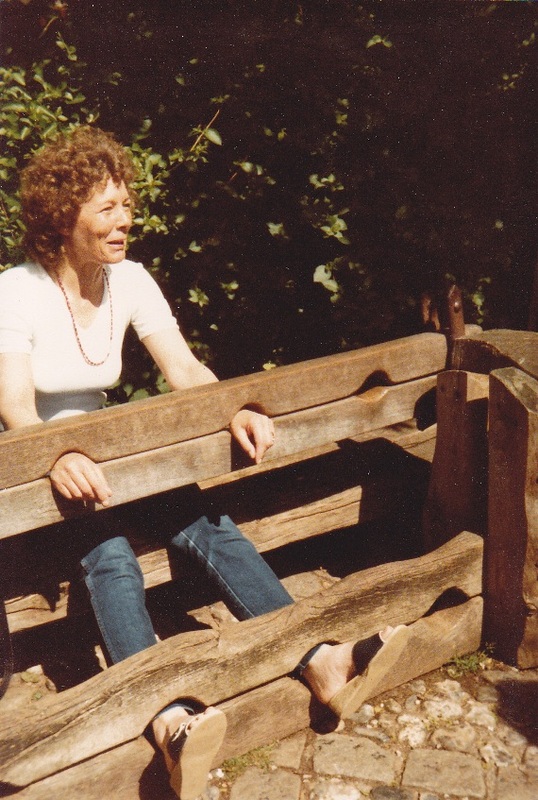 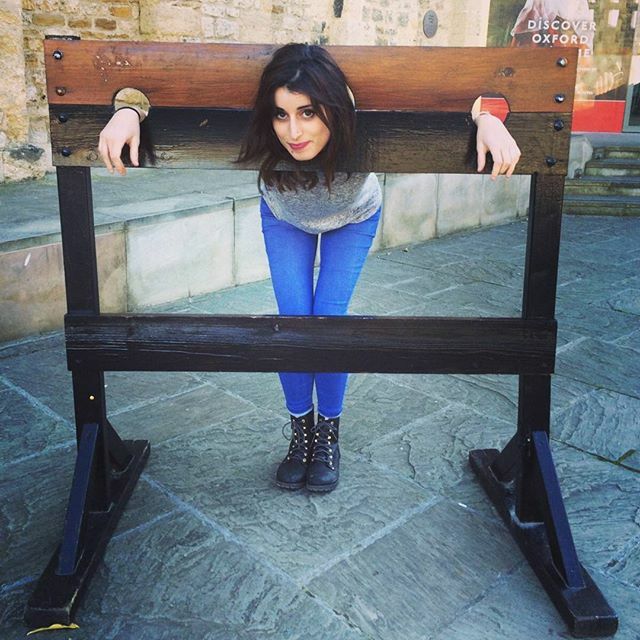 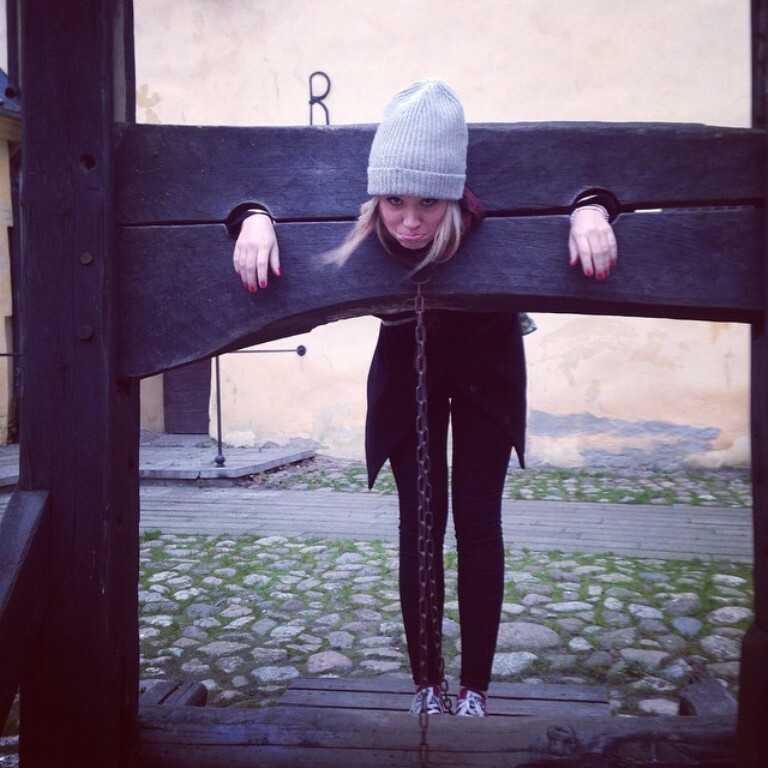 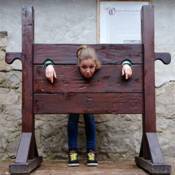 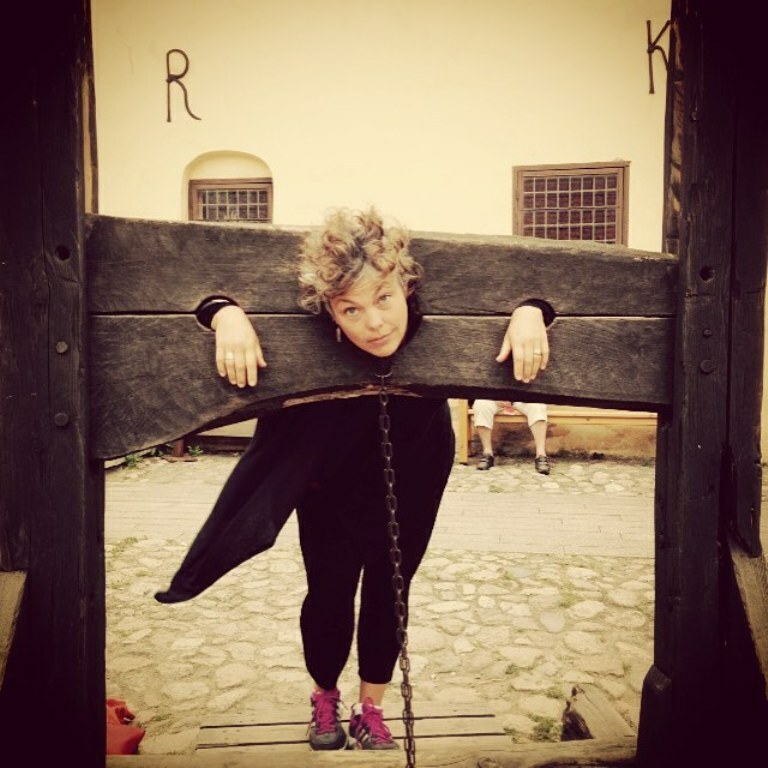 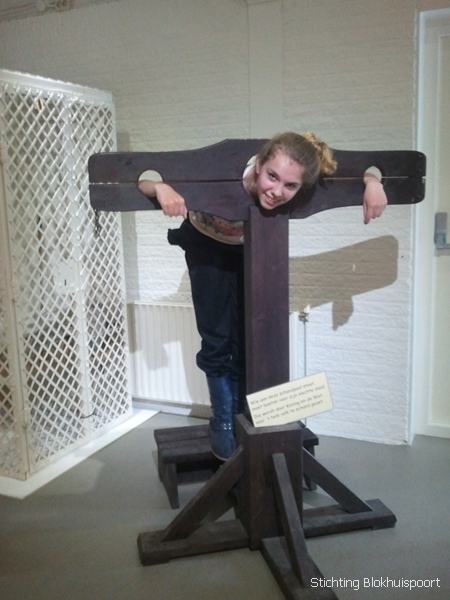 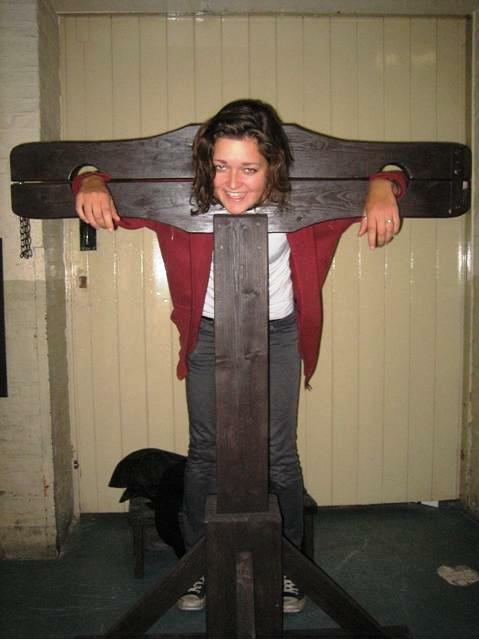 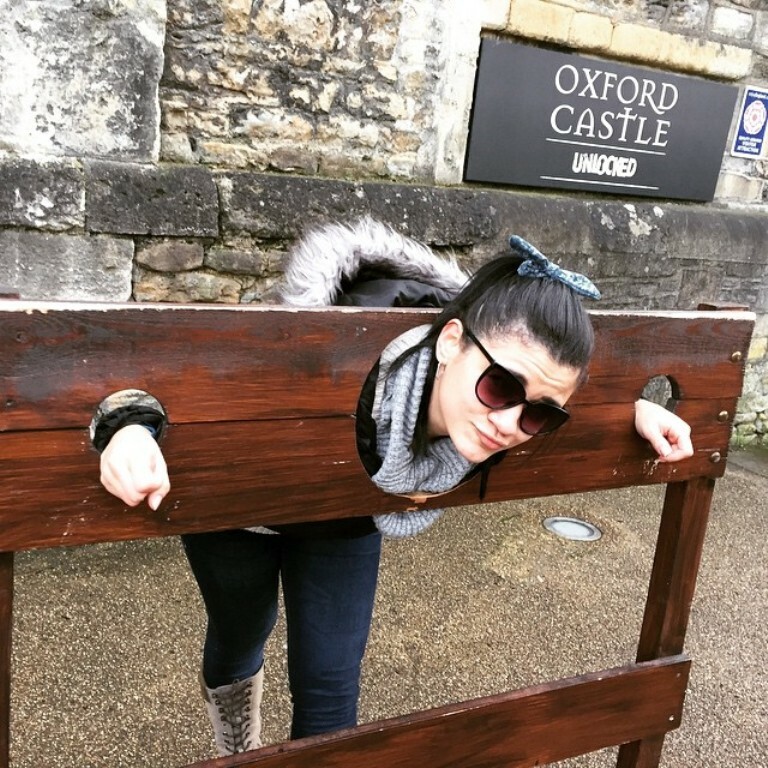 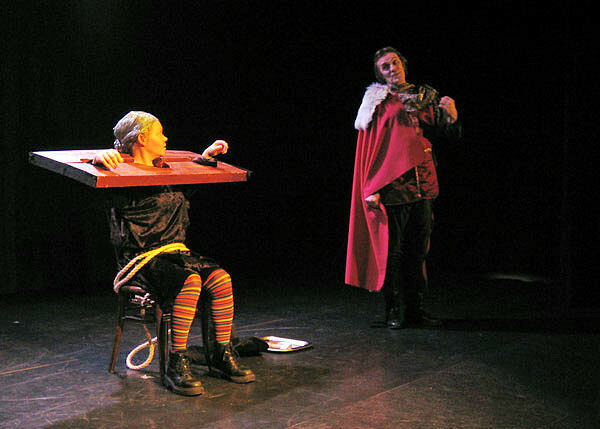 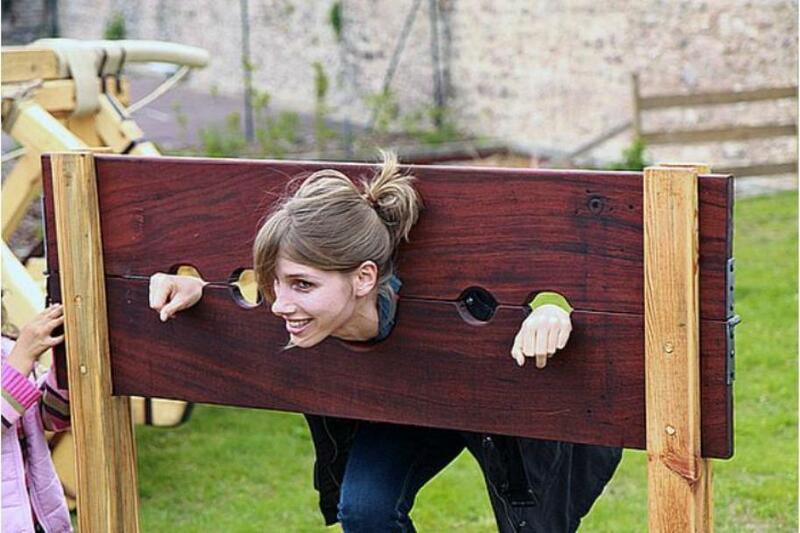 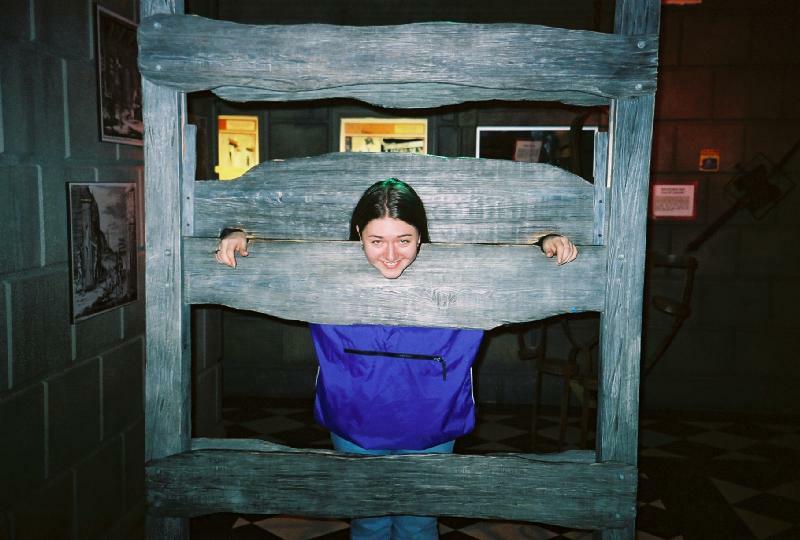 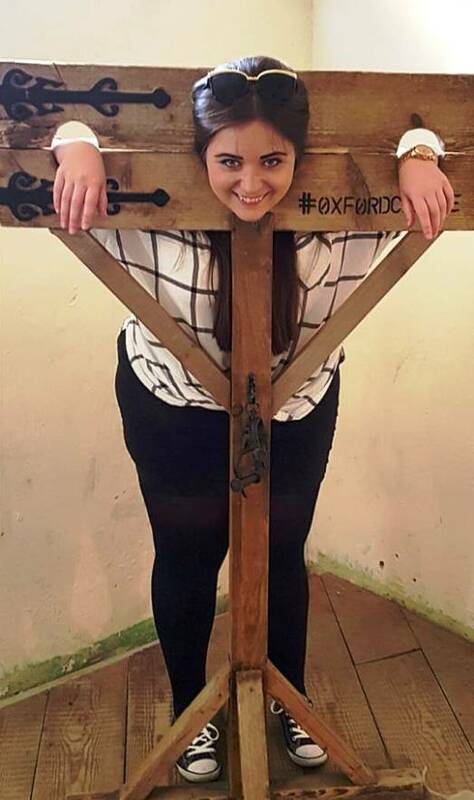 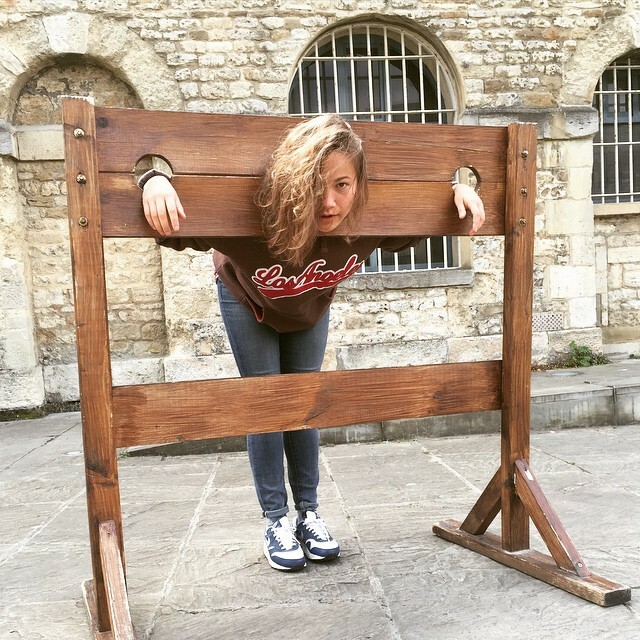 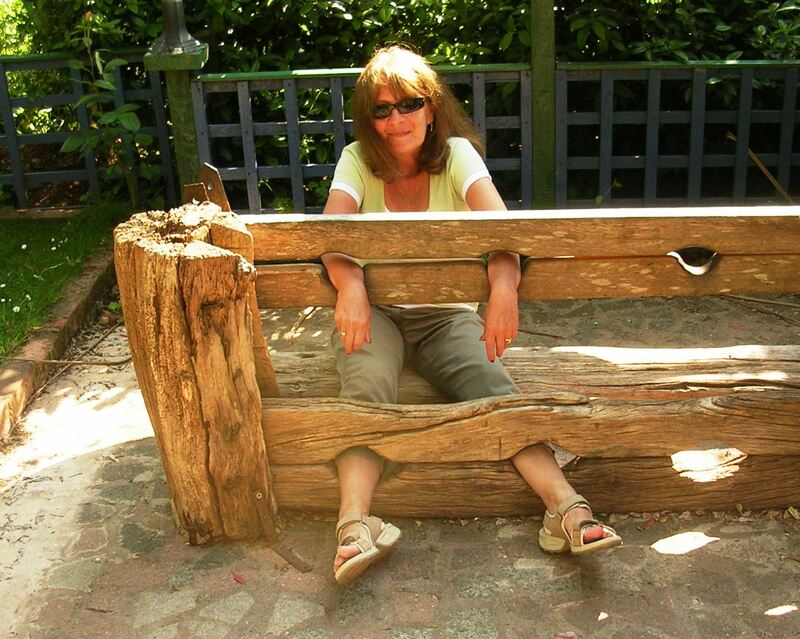 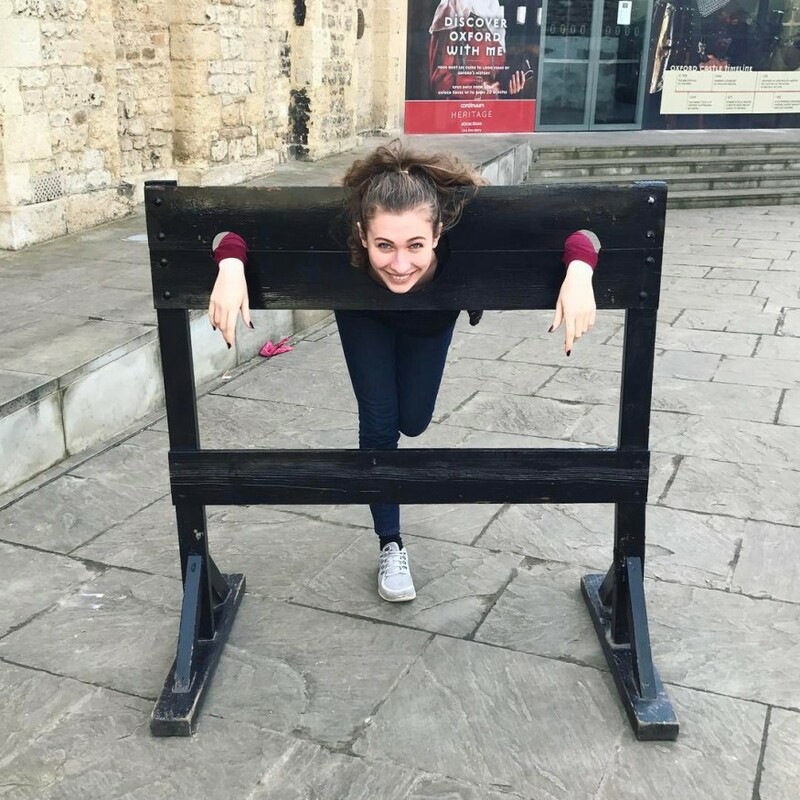 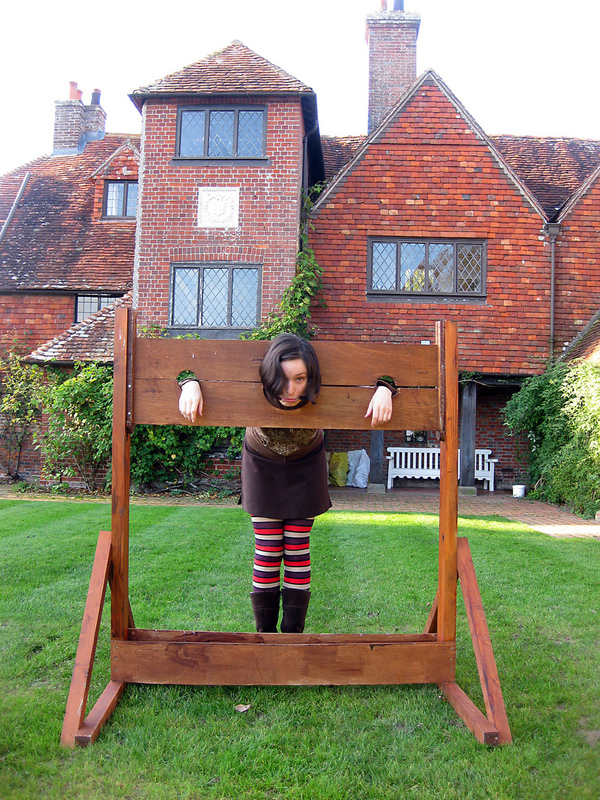 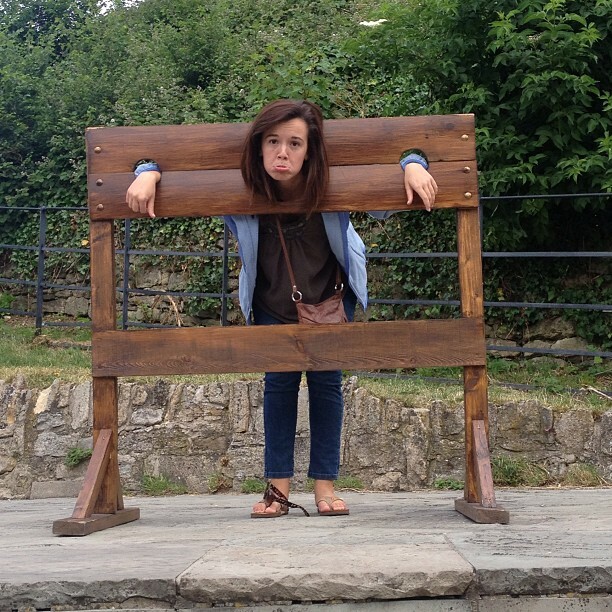 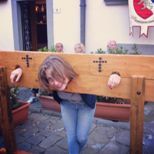 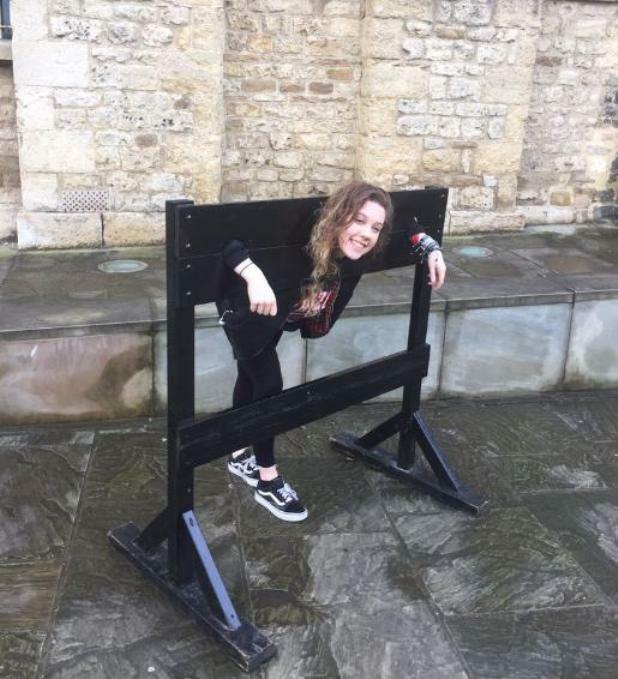 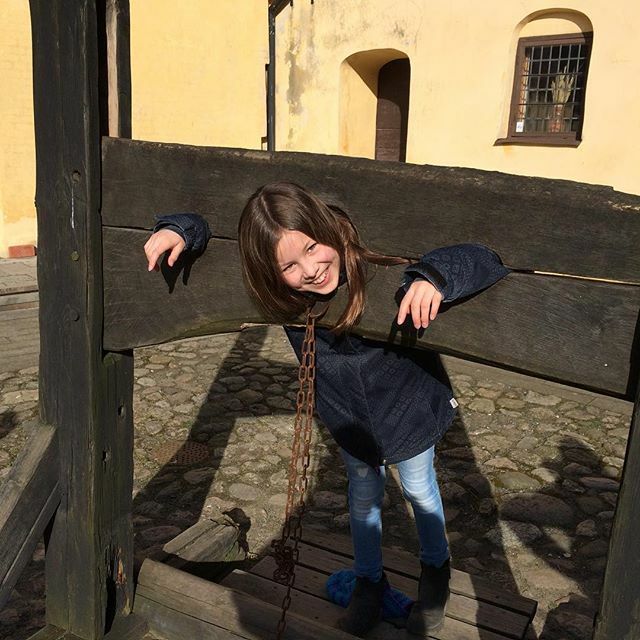 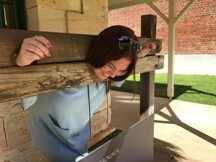 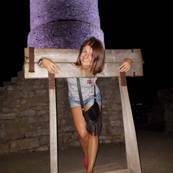 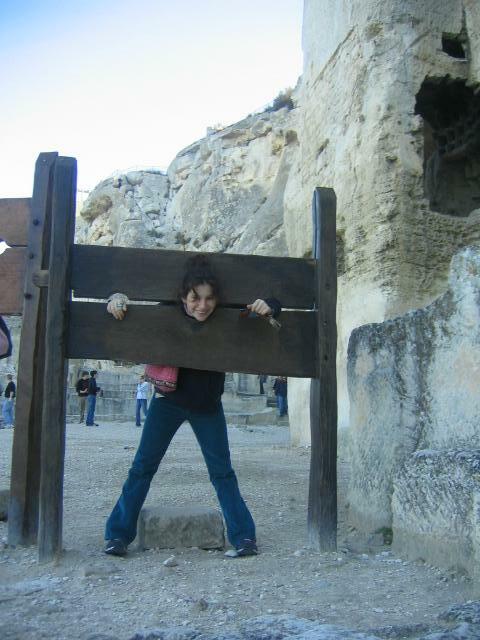 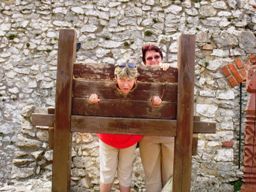 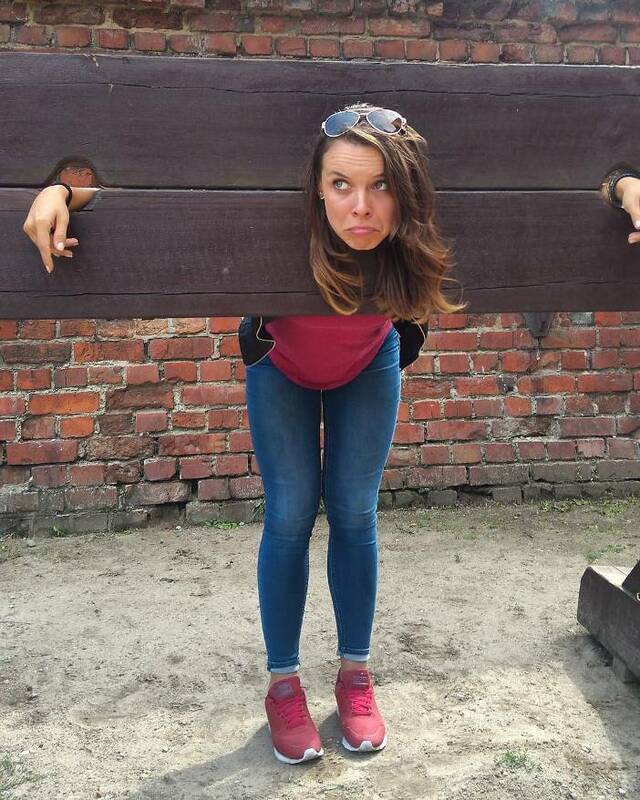 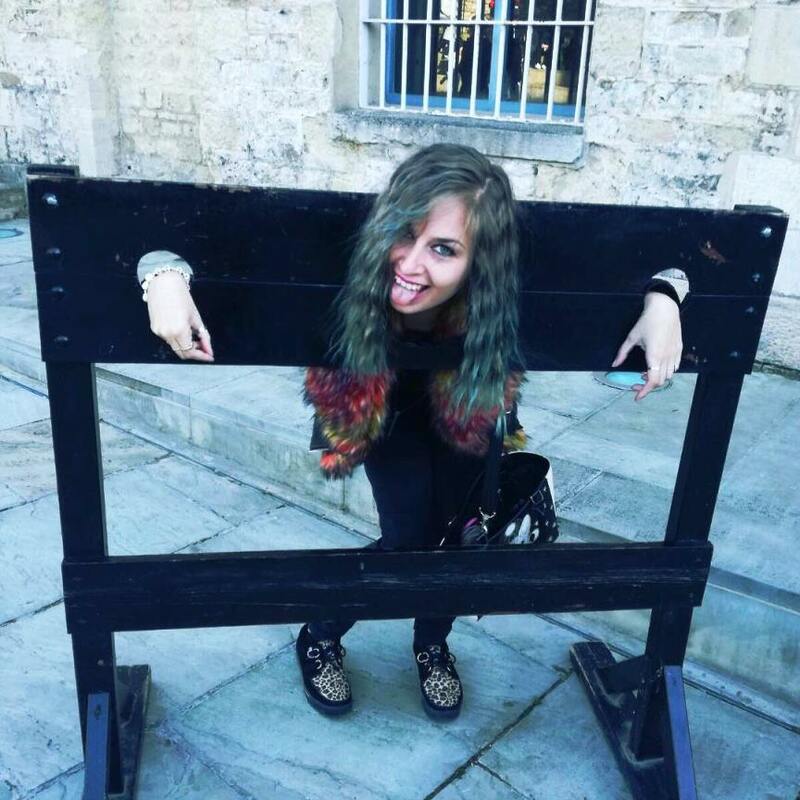 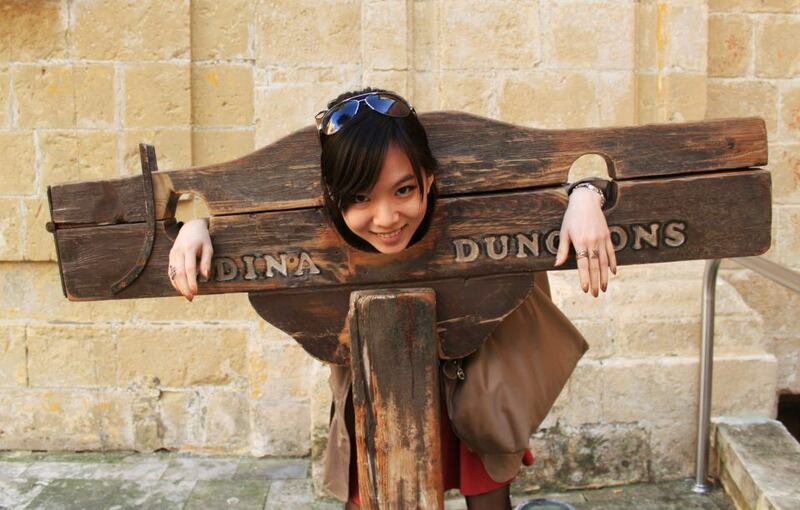 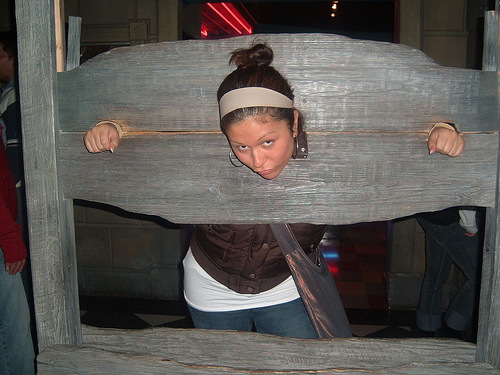 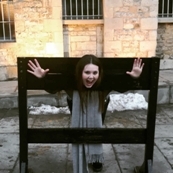 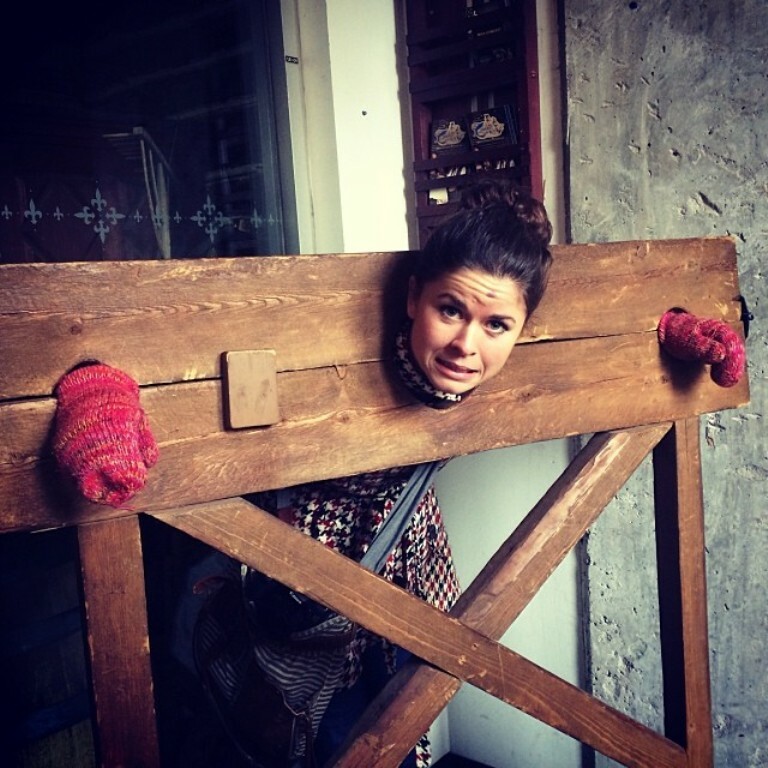 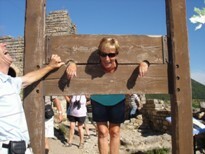 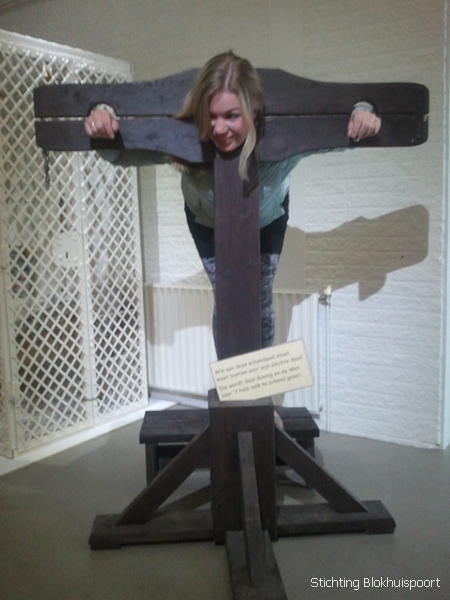 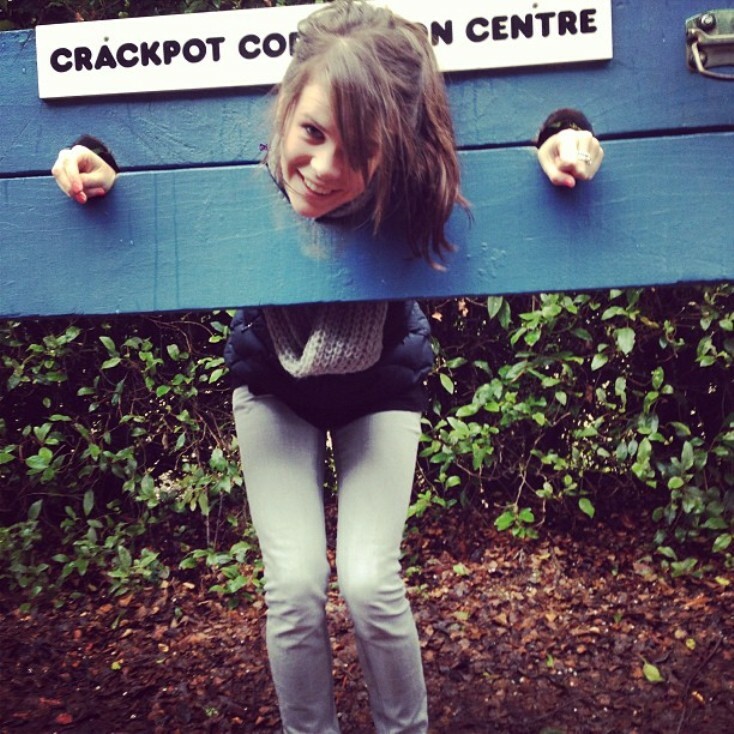 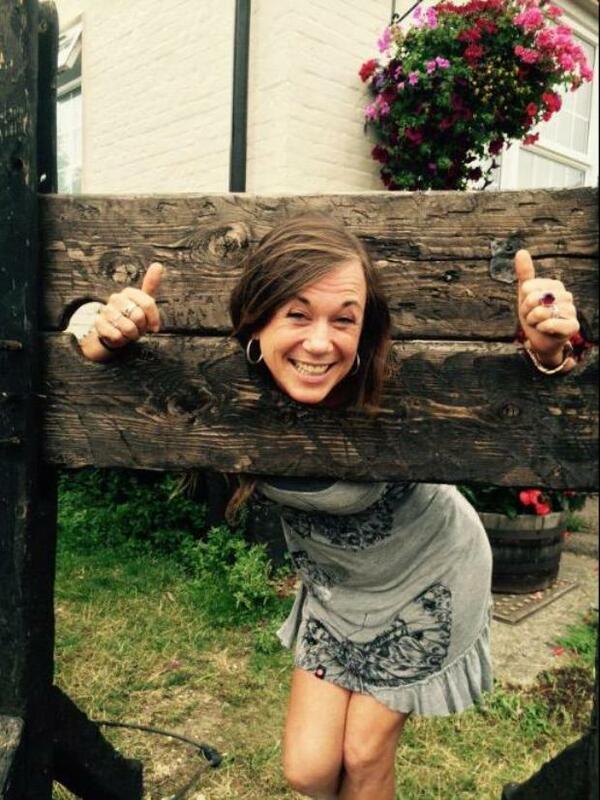 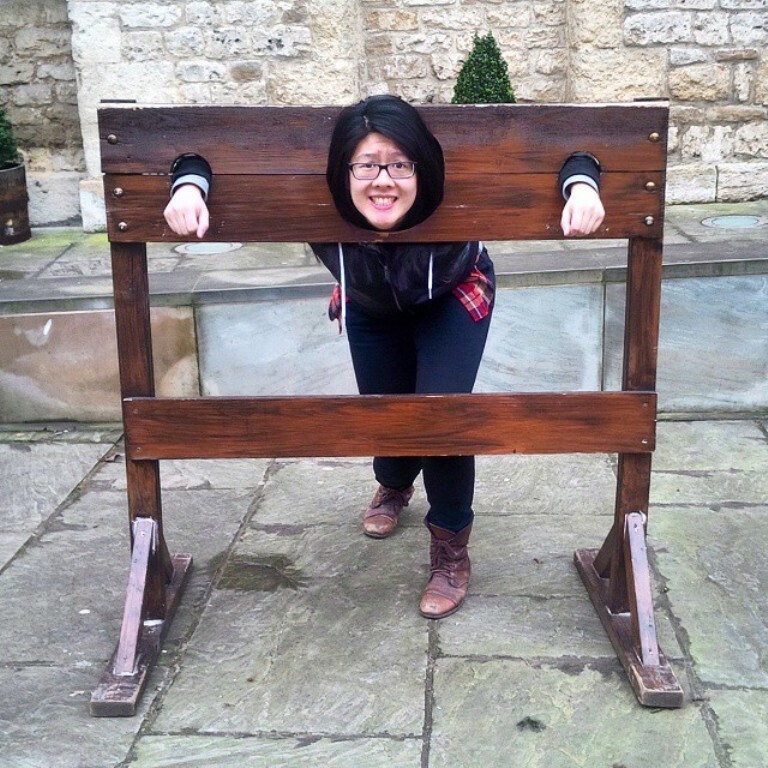 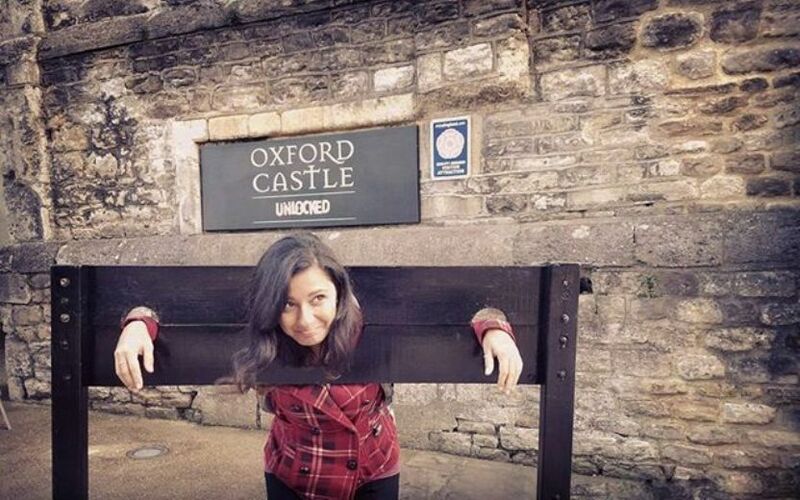 The pillory is an unusual design, possibly from IKEA. Some latter day convicts at the Roundhouse in Freemantle, Australia. 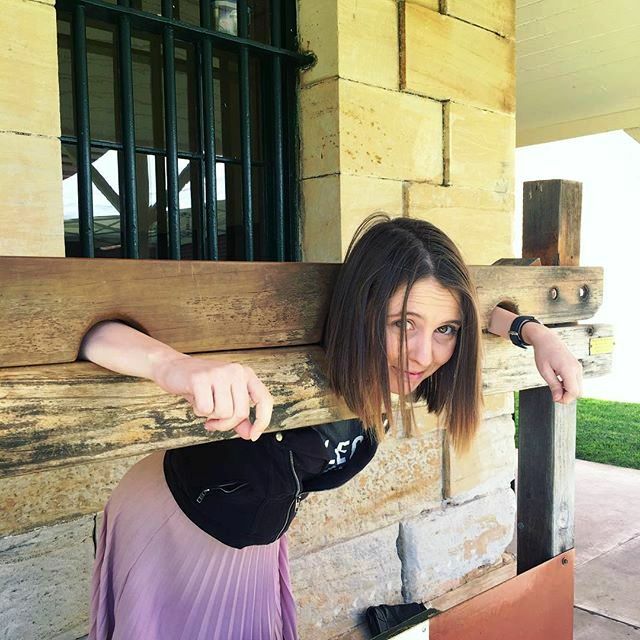 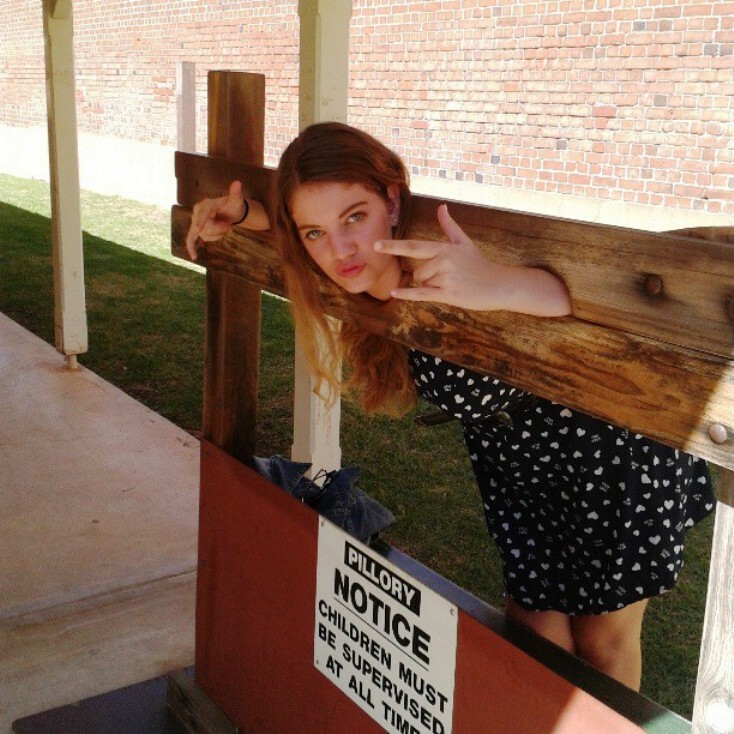 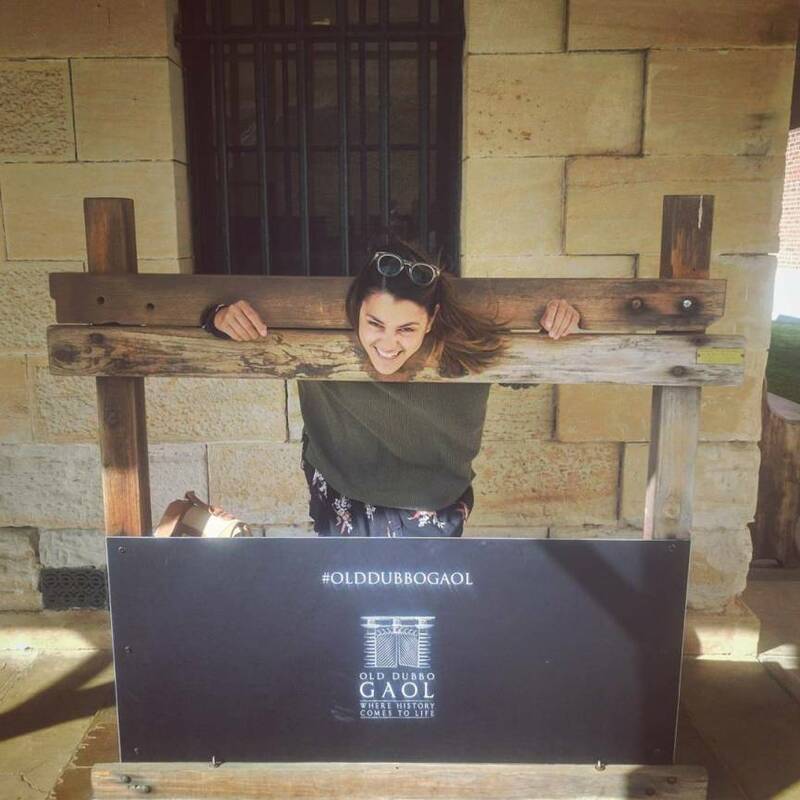 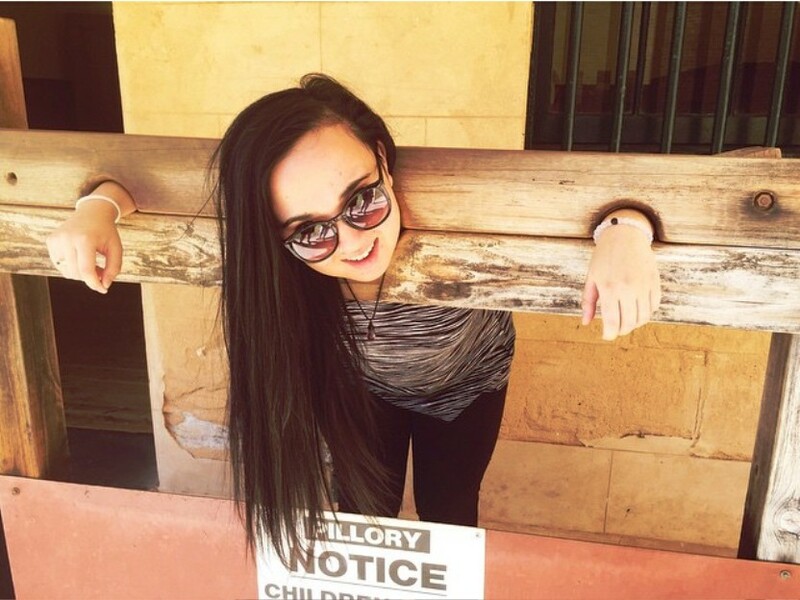 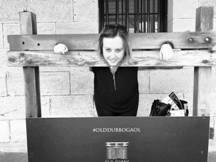 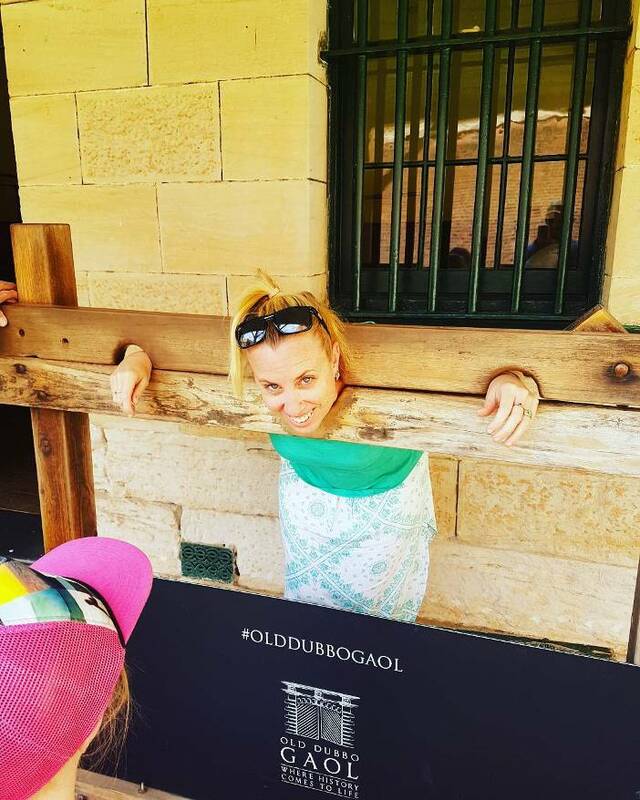 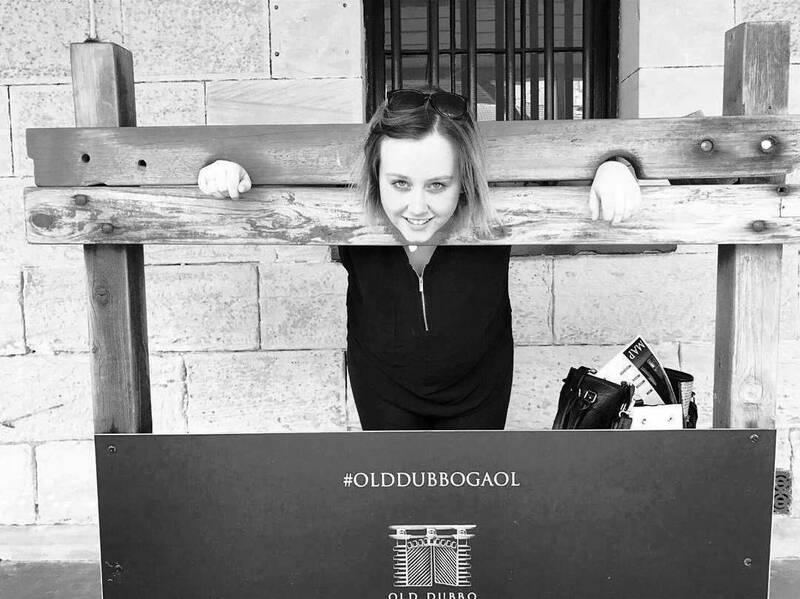 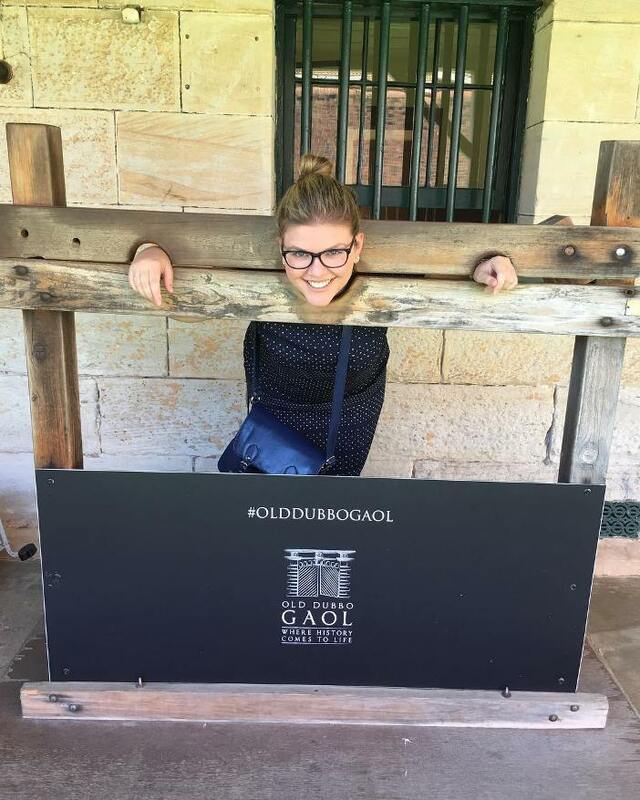 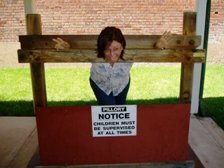 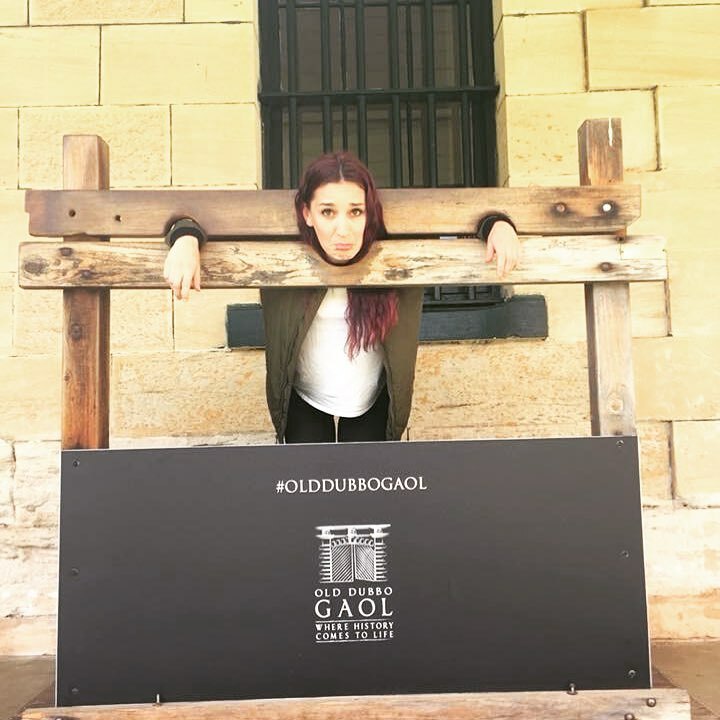 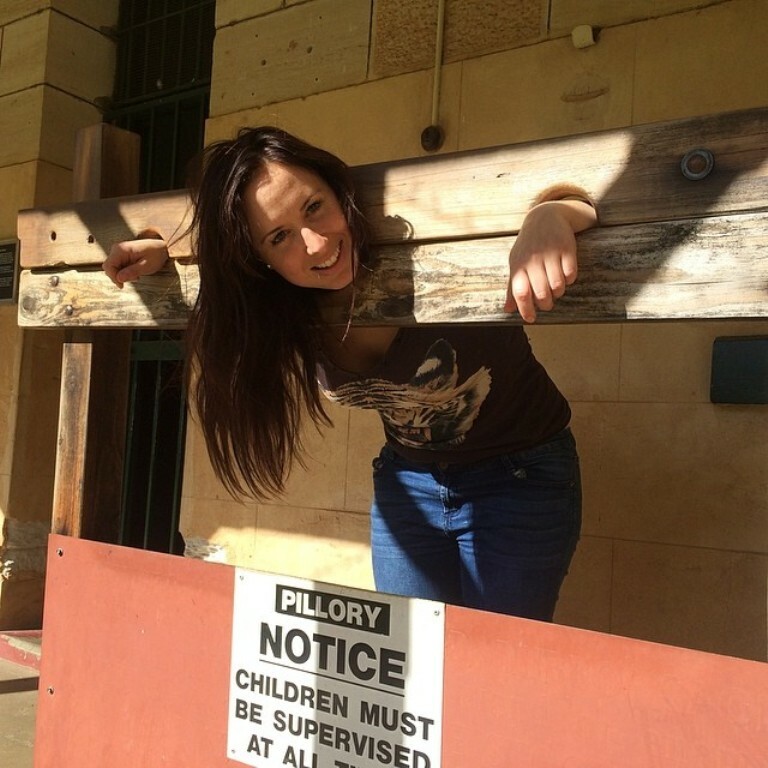 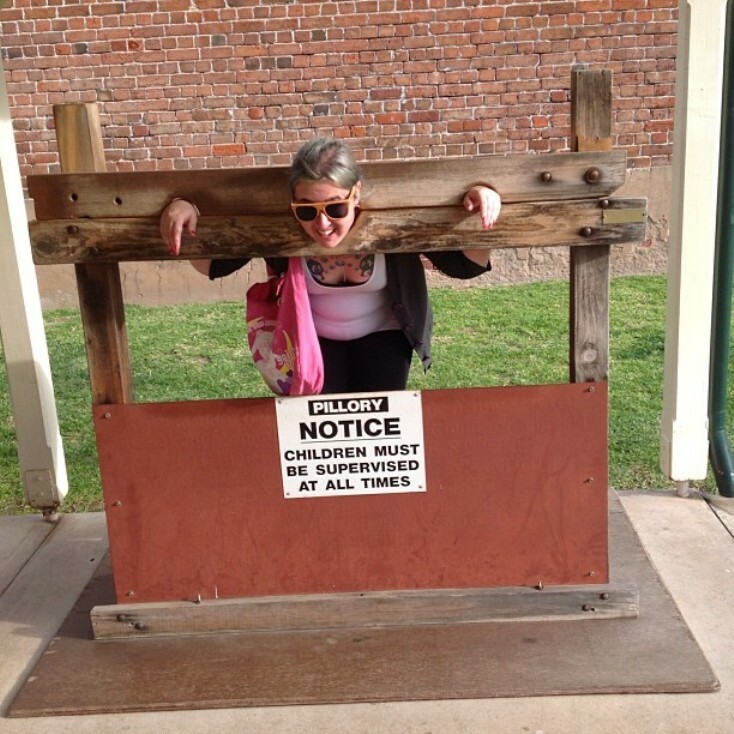 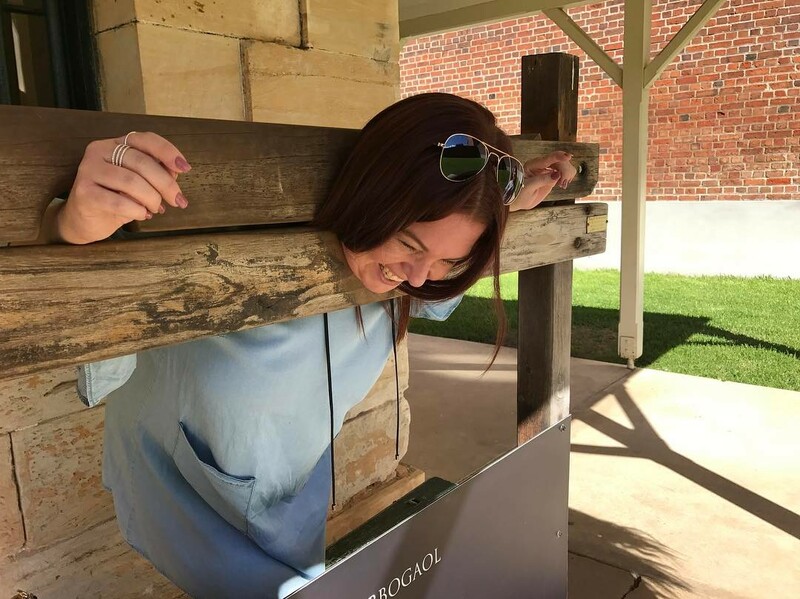 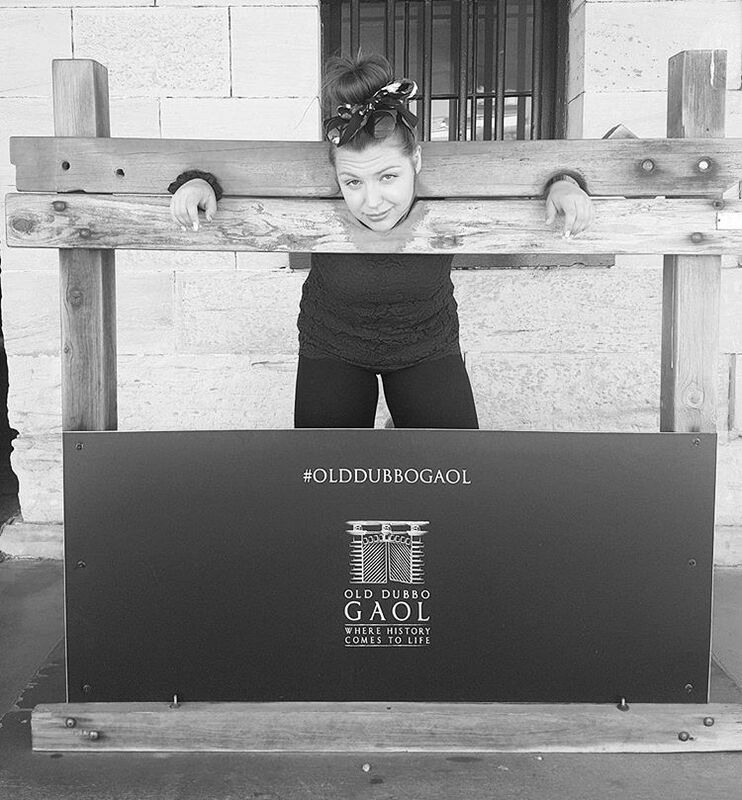 Still in Australia, Old Dubbo Gaol. 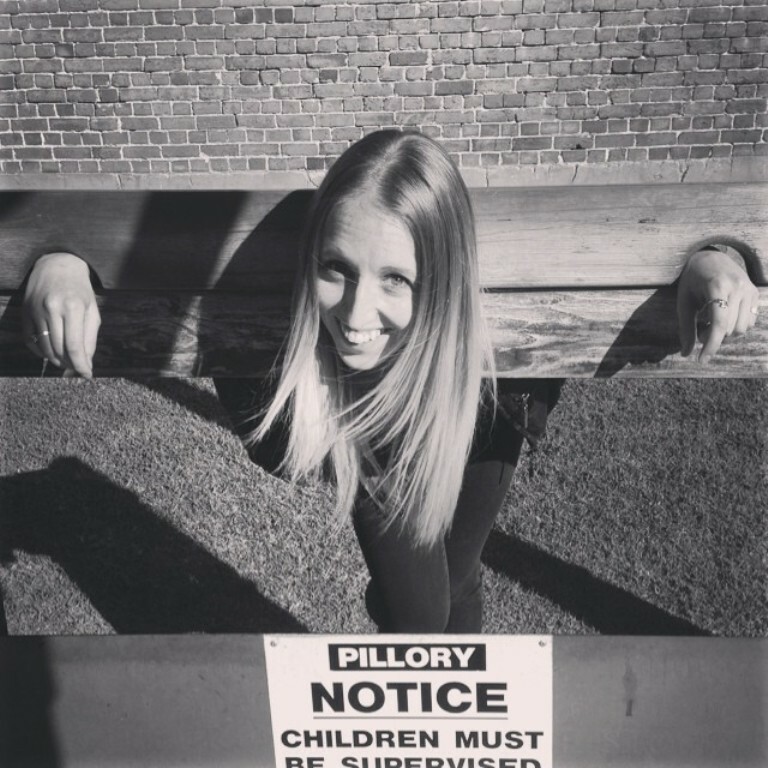 I do like the rather ambiguous sign: "children must be supervised at all times". 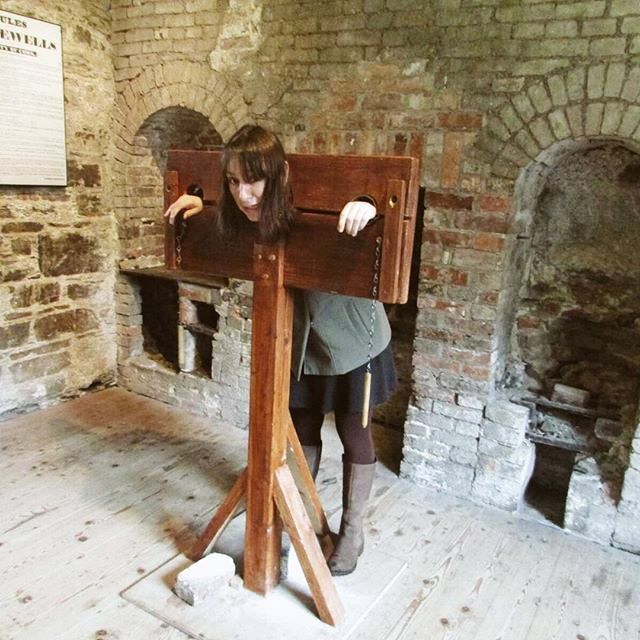 Maintaining the prison theme, we're now in Cork City Gaol in Ireland. 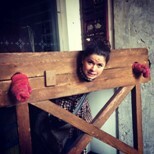 They really should remember to insert those restraining pegs. 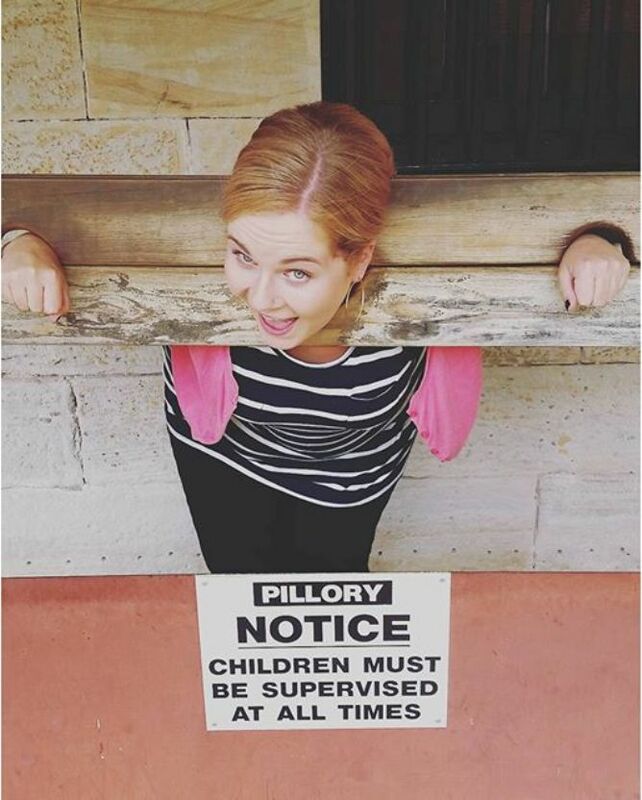 Much more fun that way. 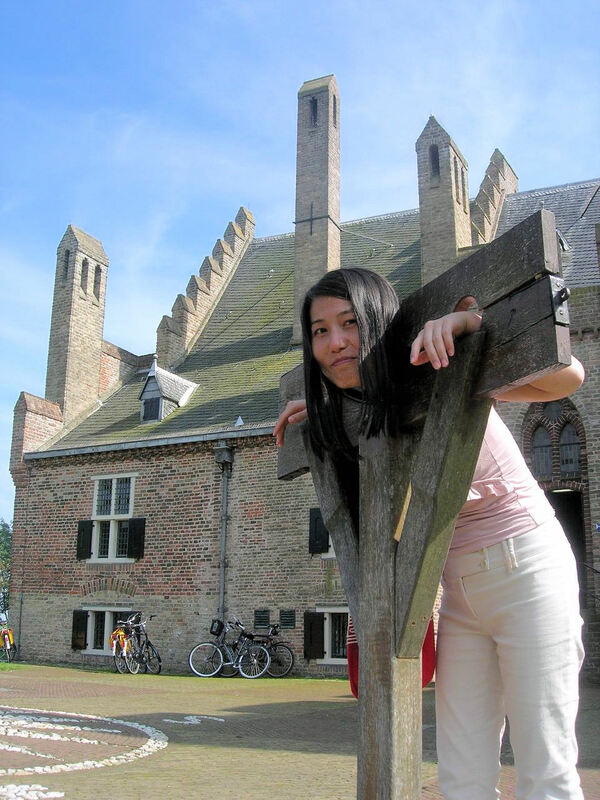 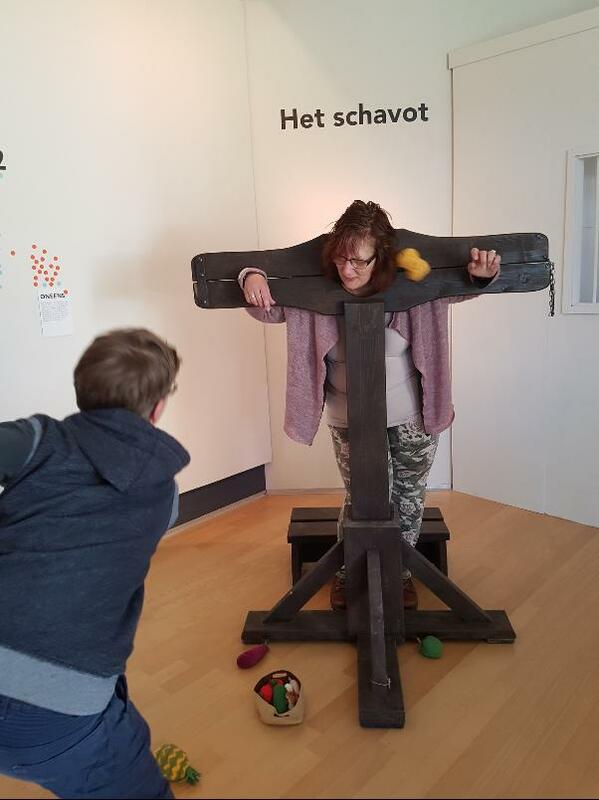 Sneaking in without paying at the Blokhuis museum in the Netherlands. 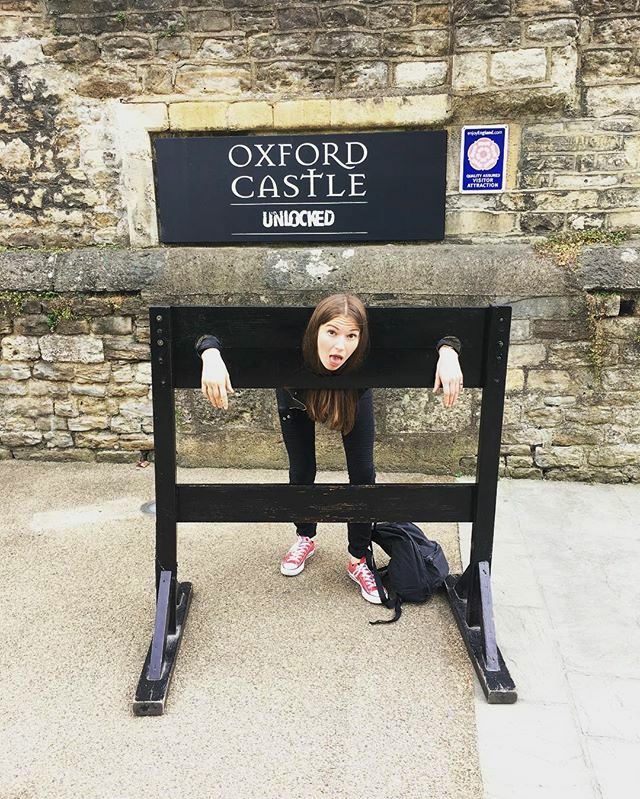 Oxford Castle, England. 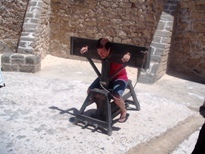 The castle was badly damaged in the Civil War, and was subsequently used as a prison. 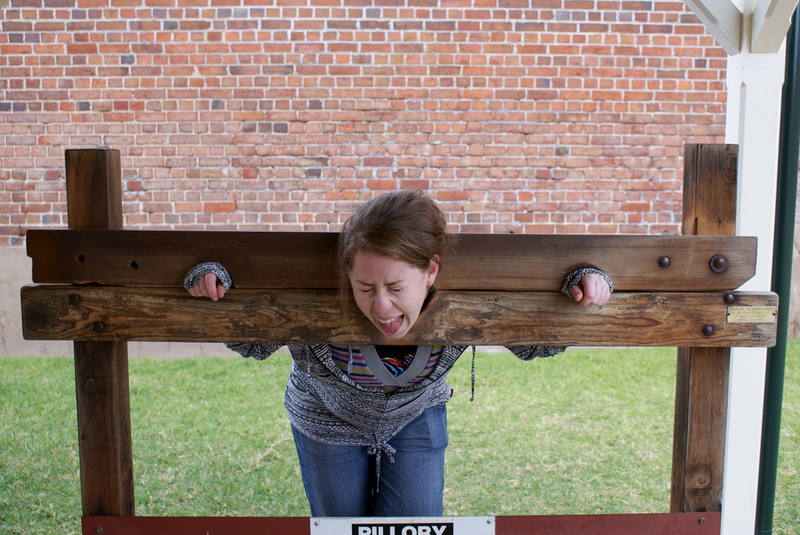 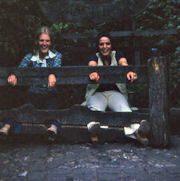 With all those pillories in the courtyard, it possibly still is. 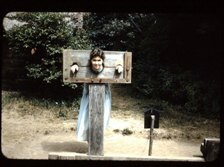 Some vintage photos. 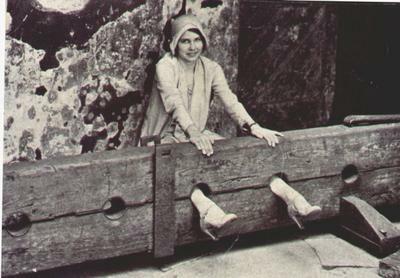 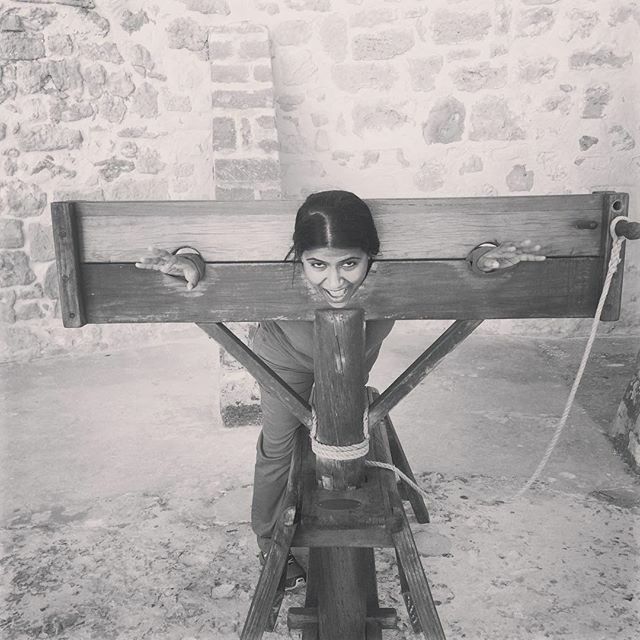 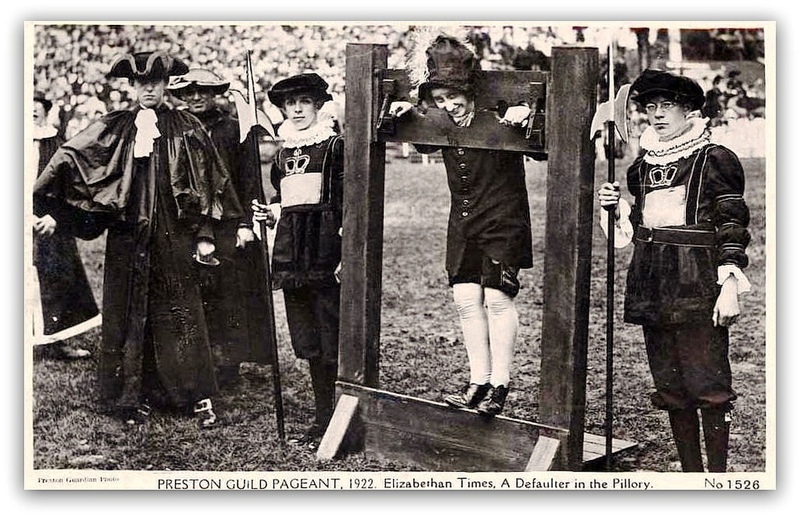 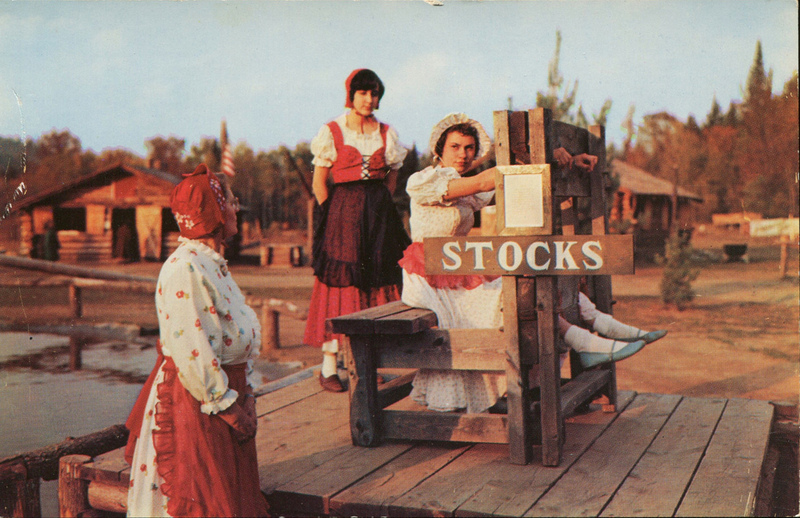 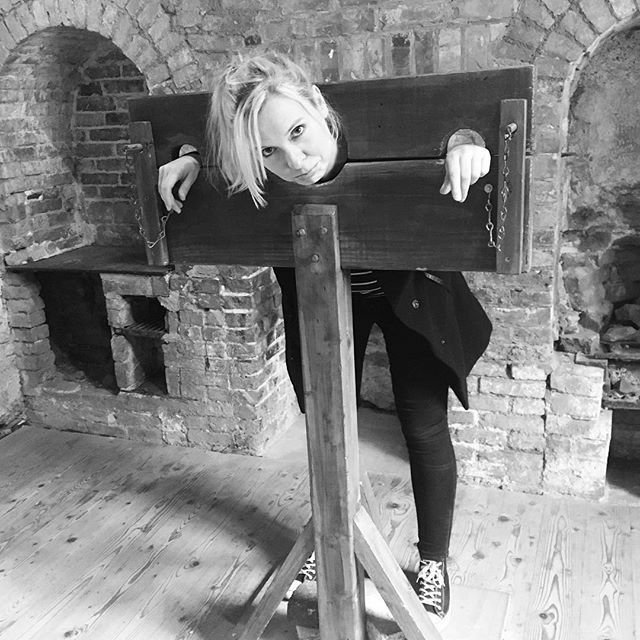 Amazing to think they had stocks and pillories back then. 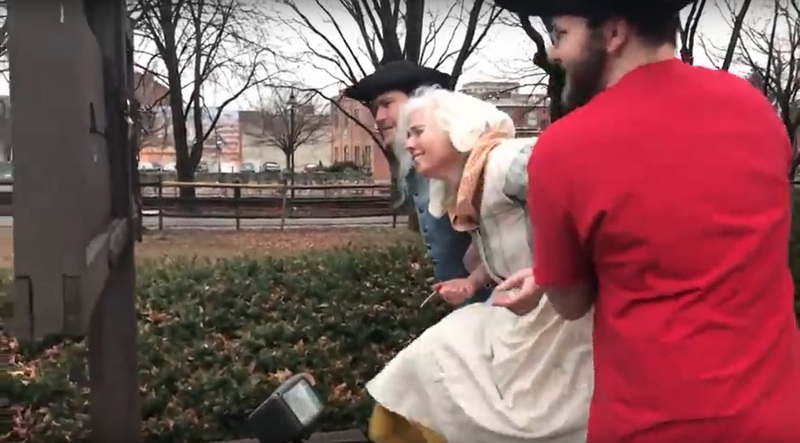 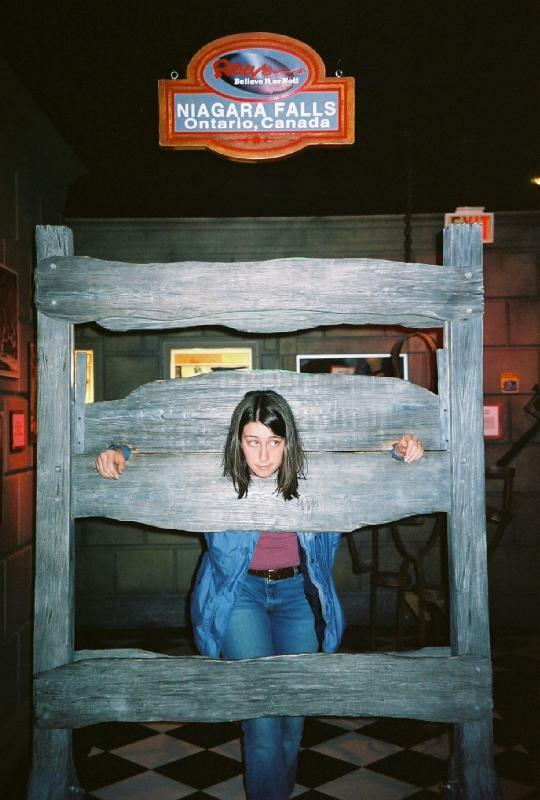 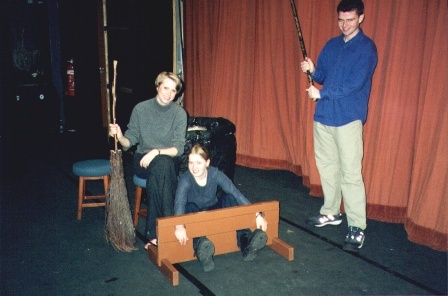 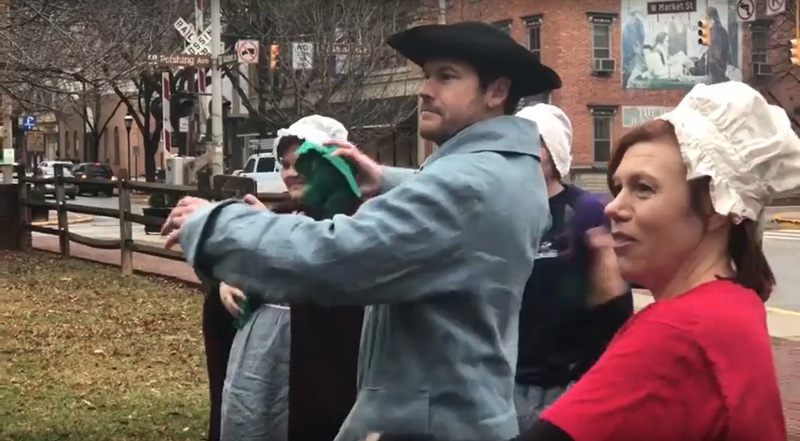 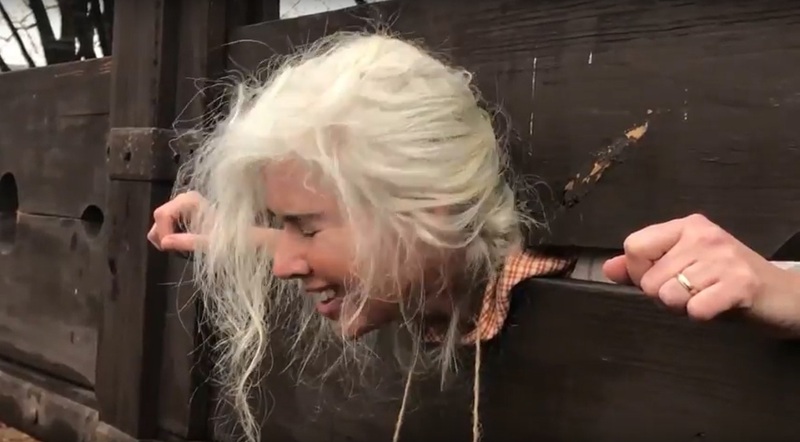 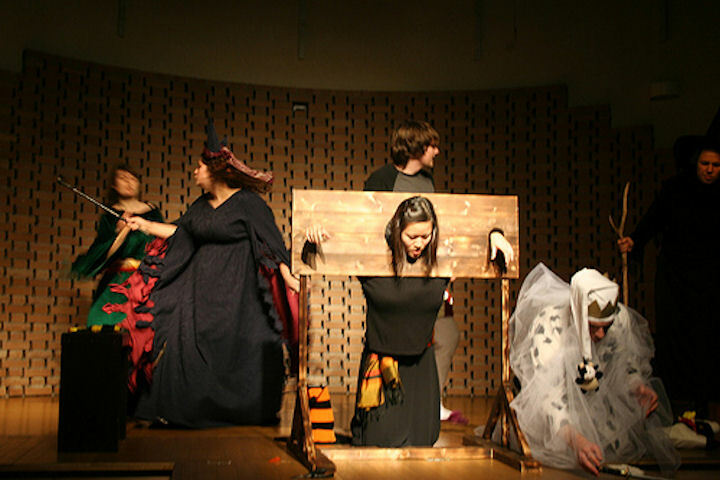 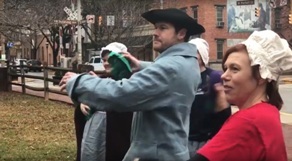 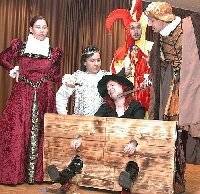 The staff at the York County History Center, Pennsylvania stage re-enactments of the arrest and punishment of a thief. 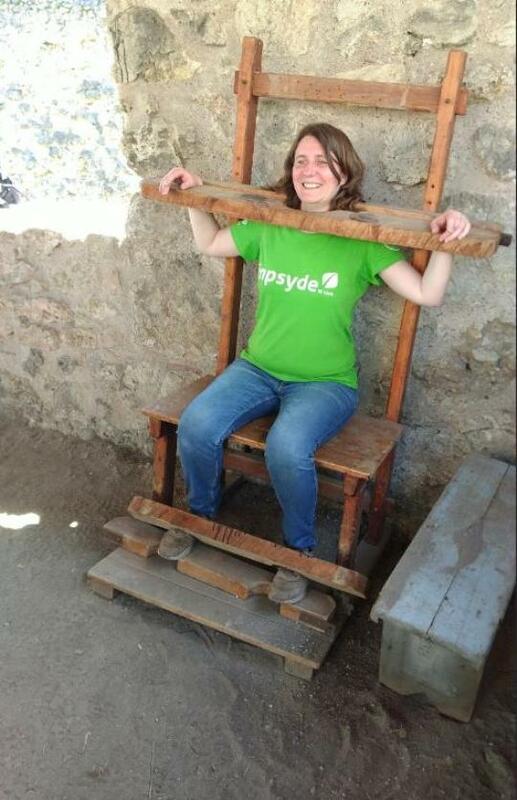 Stephanie has drawn the short straw yet again. 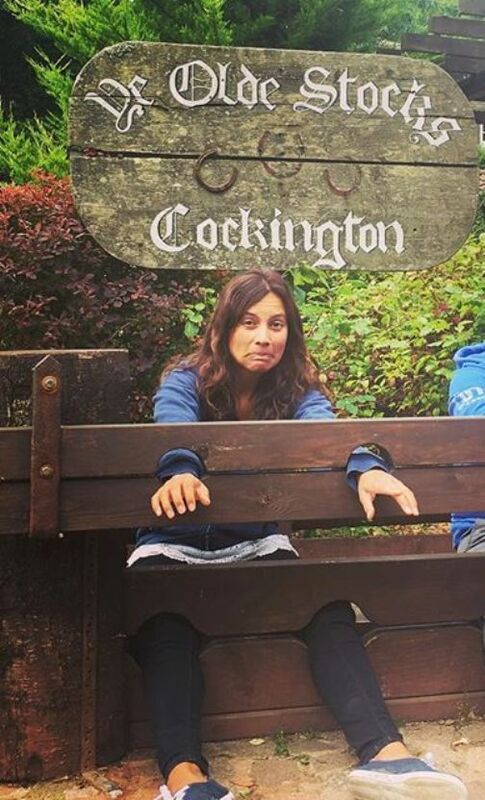 She is beginning to wonder if the draw might be fixed. 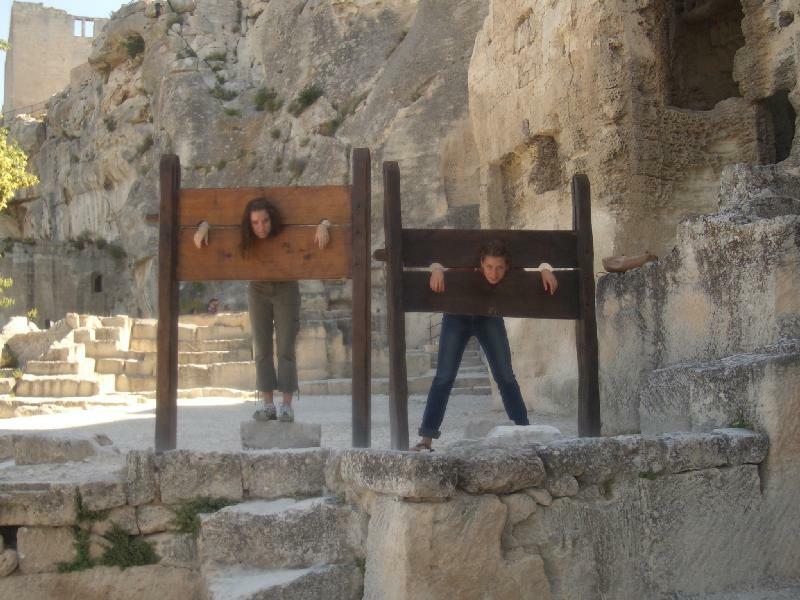 Les Baux, France. 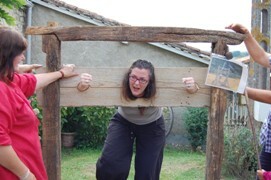 They are to be pelted with frogs and snails for daring to suggest that French cuisine is not the finest in the world. 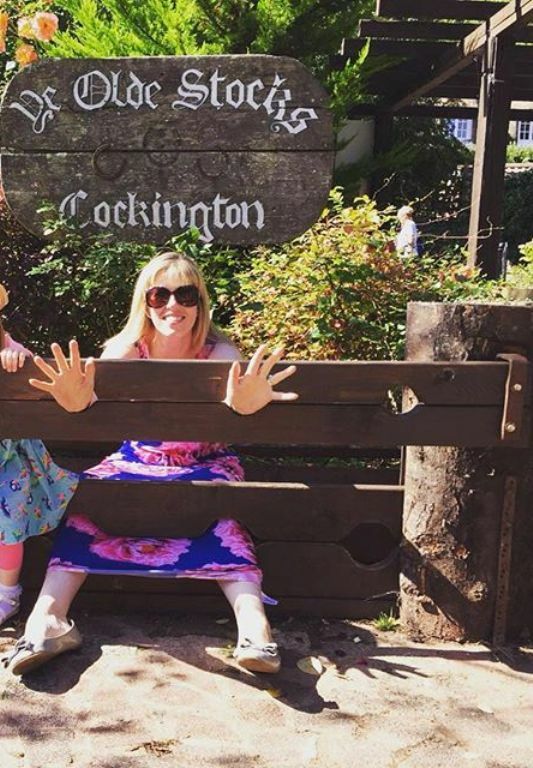 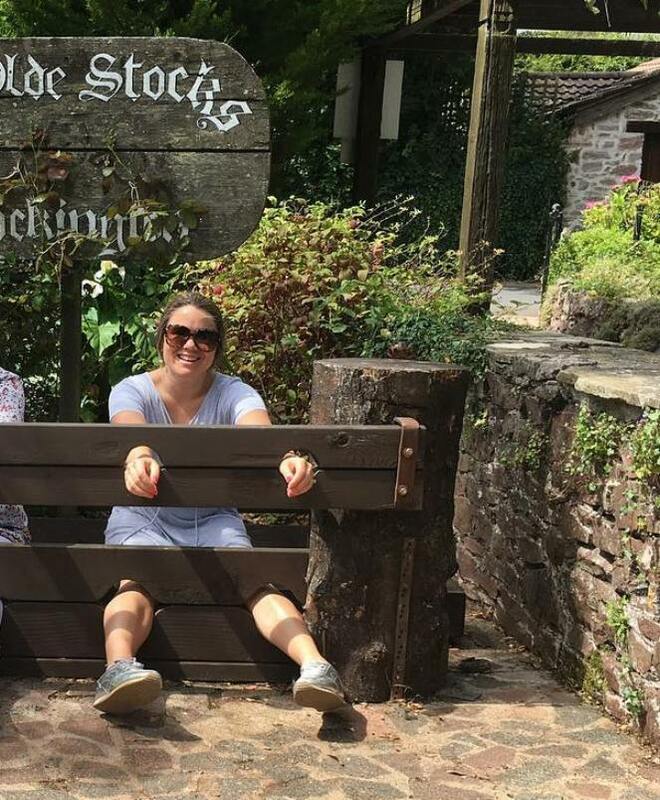 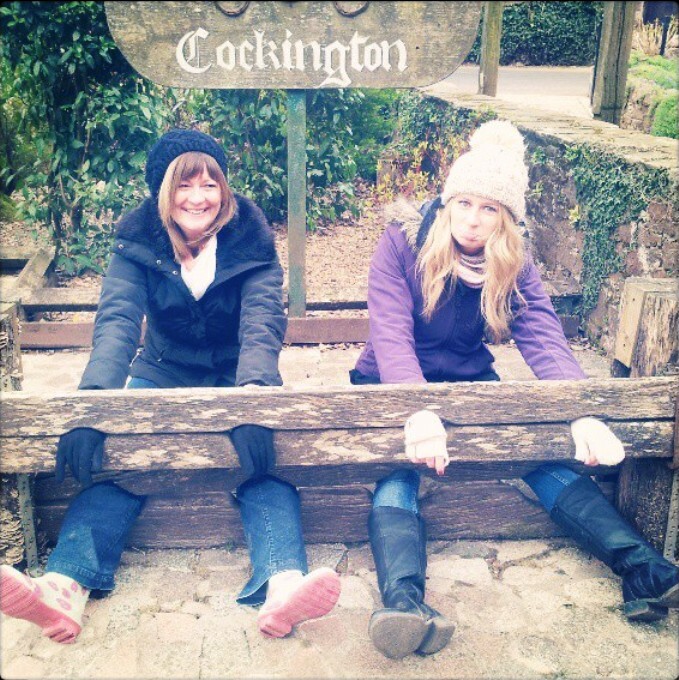 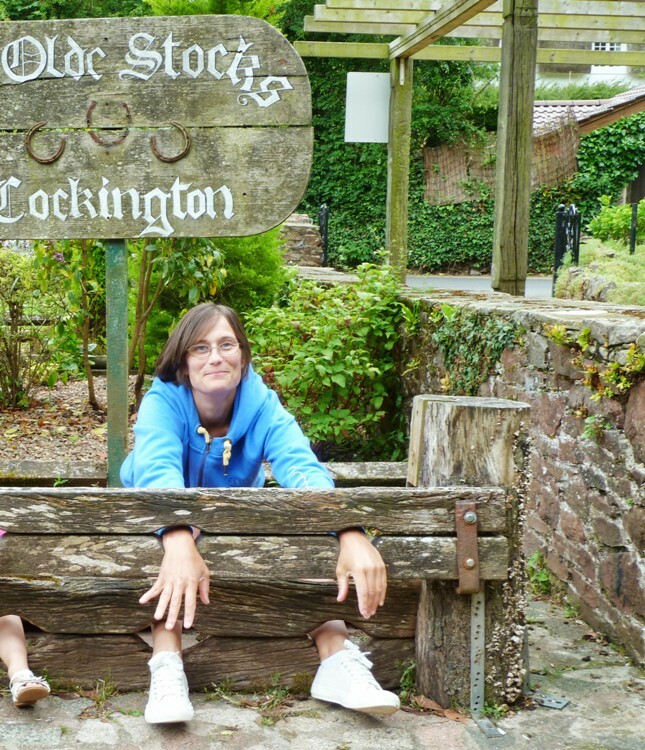 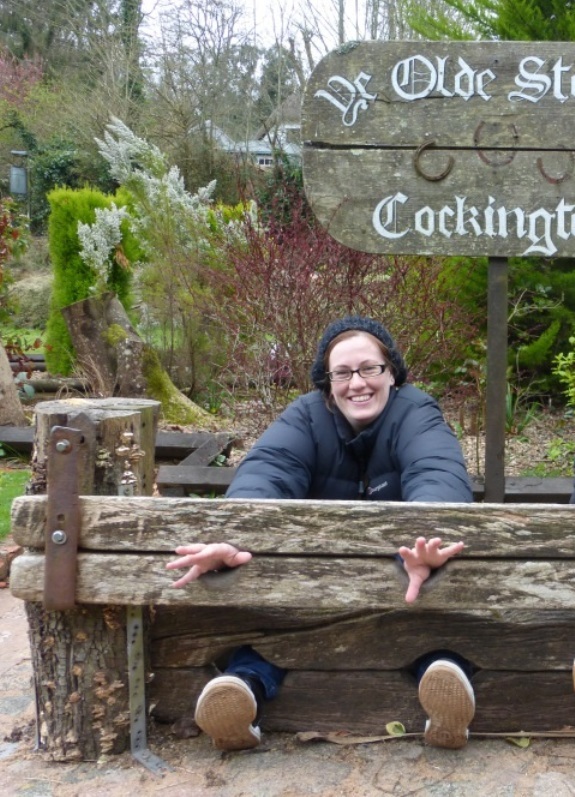 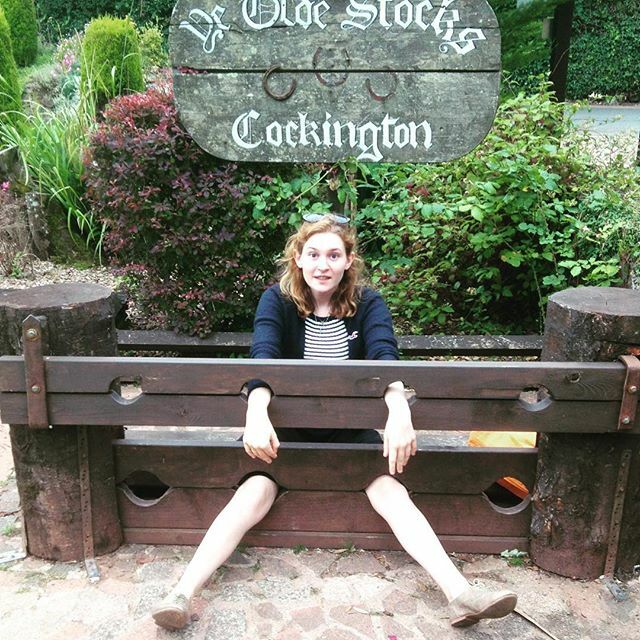 A visit to ye olde worlde village of Cockington, England. 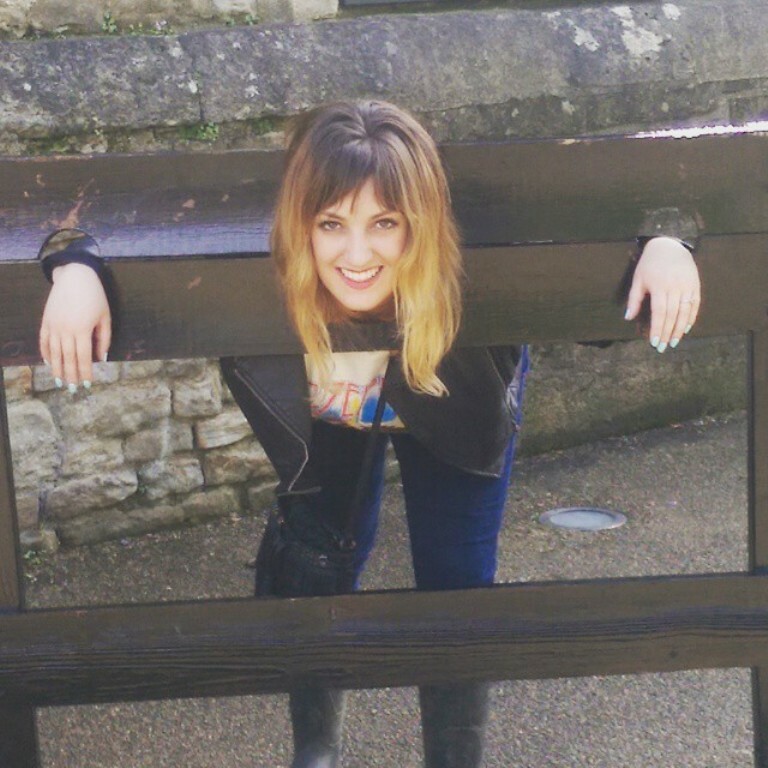 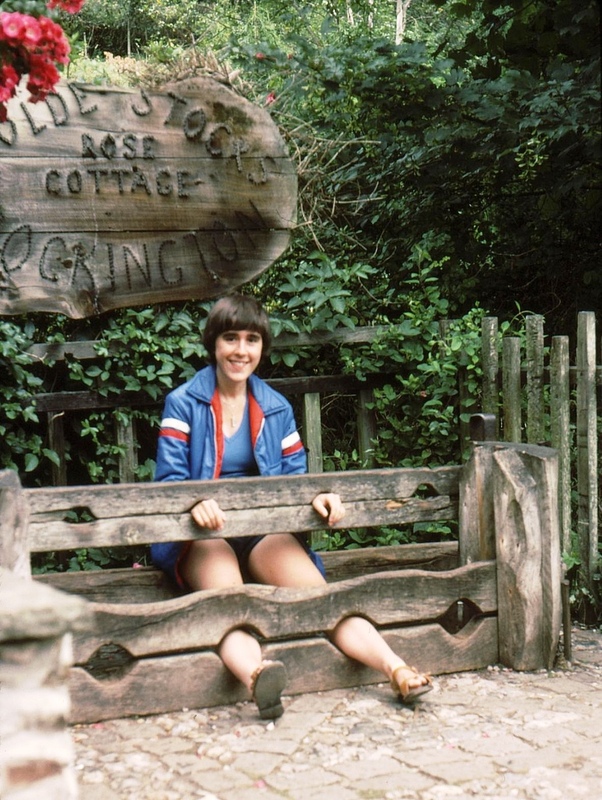 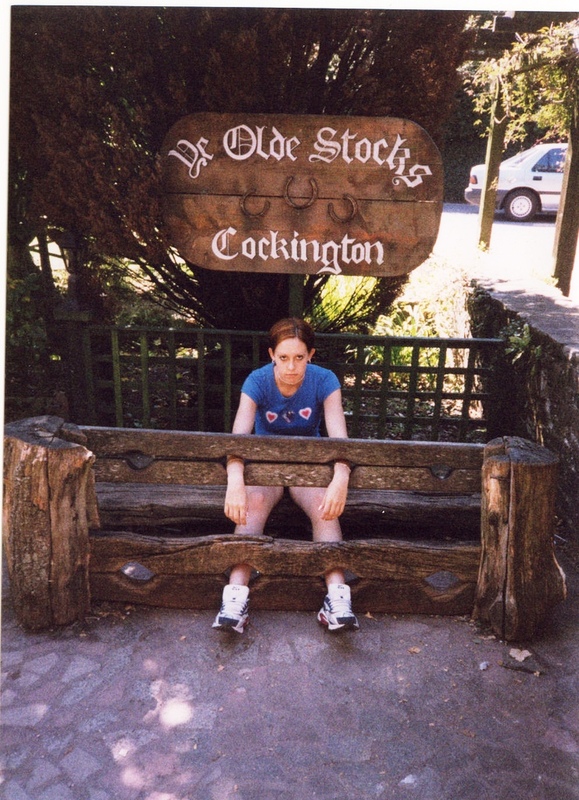 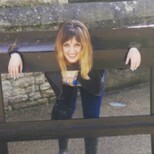 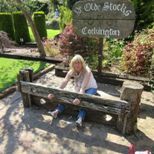 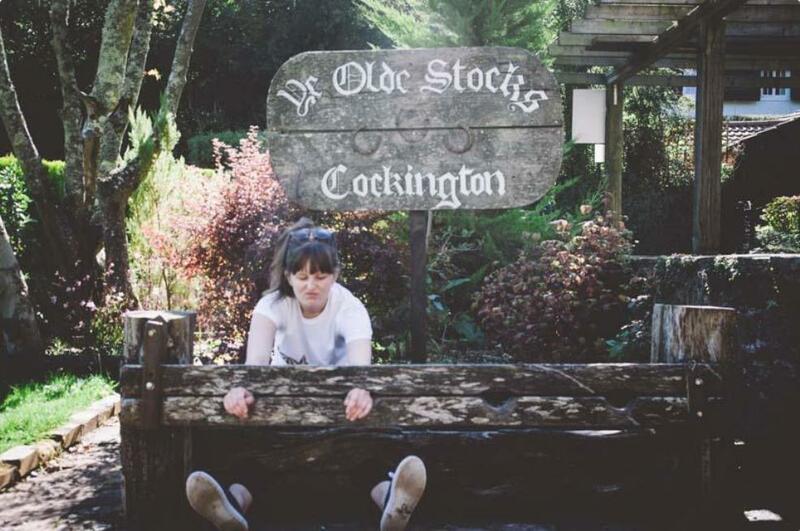 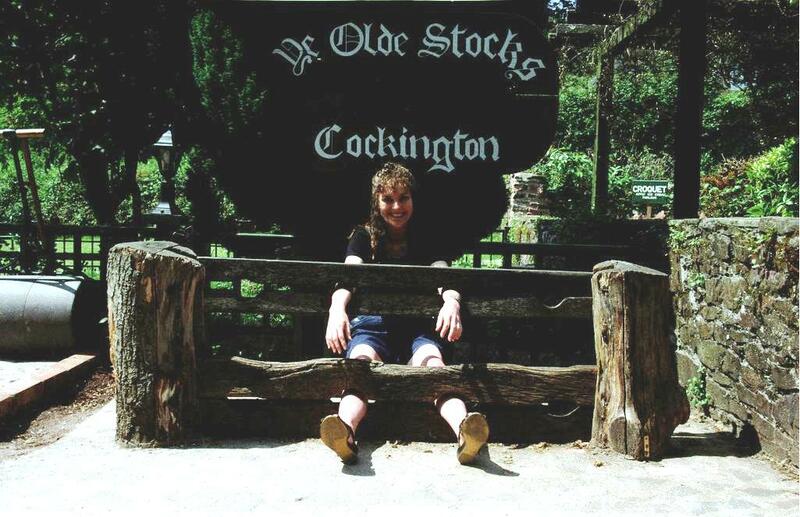 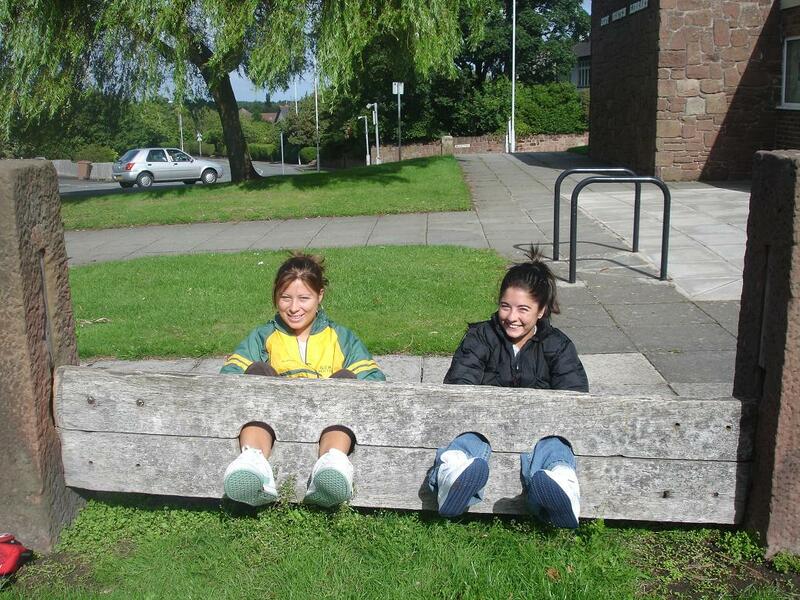 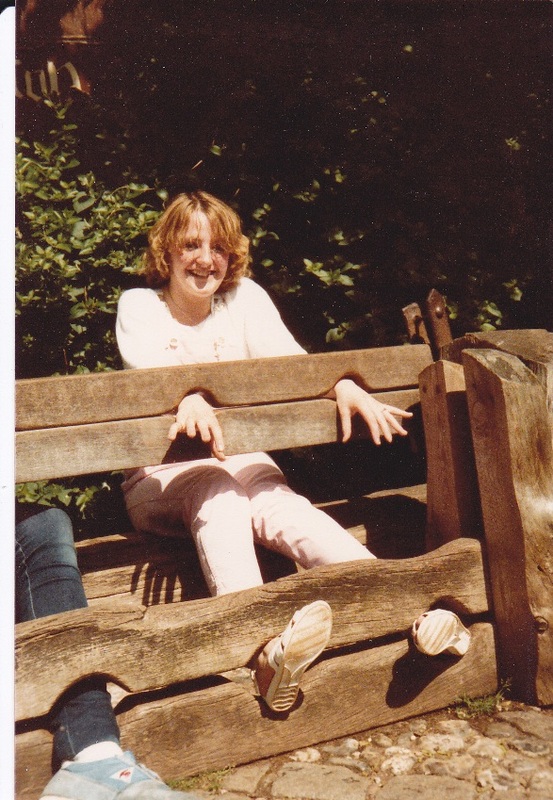 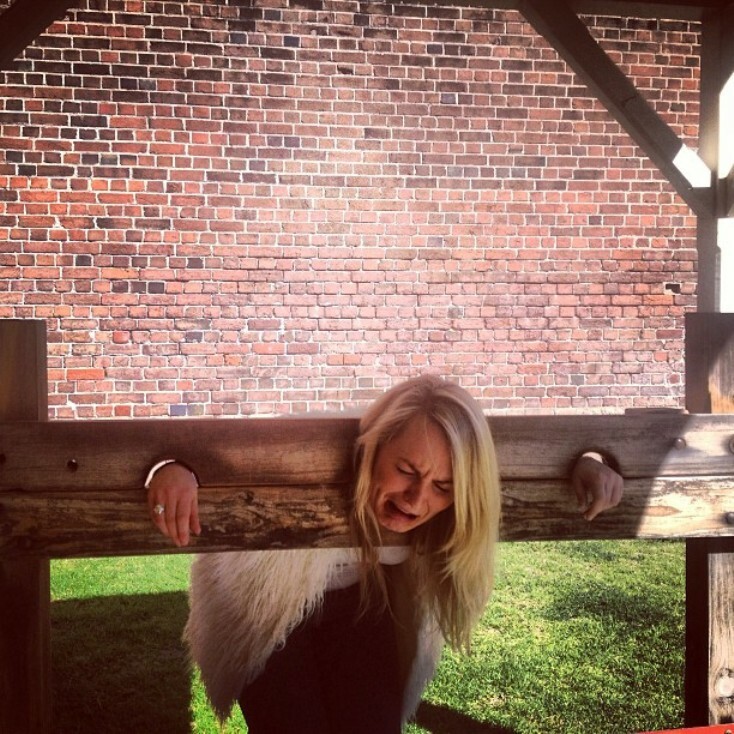 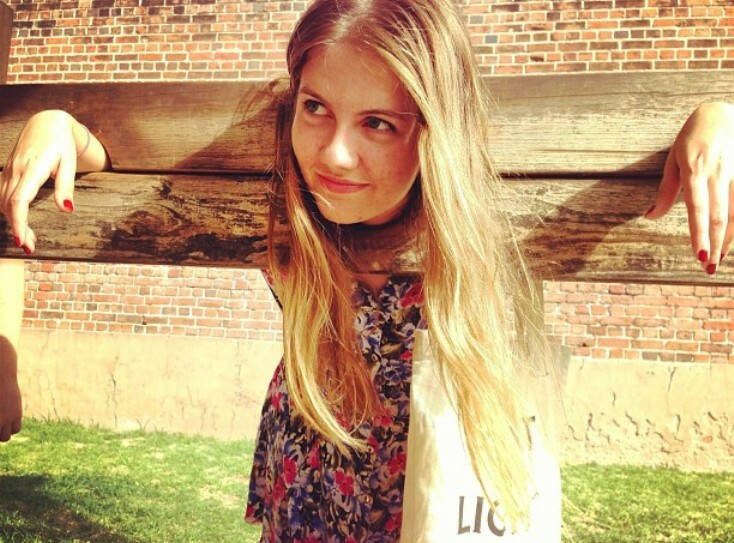 And what could be more olde worlde than ye village stocks? 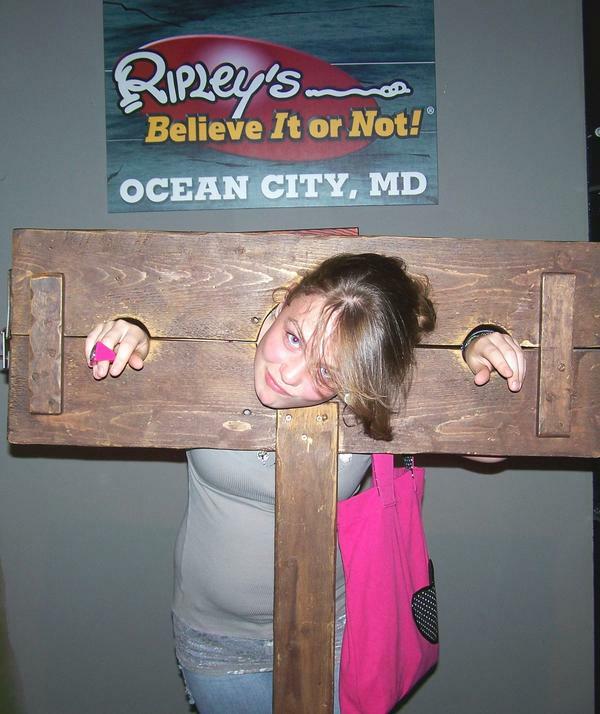 Ripley's Believe It or Not. 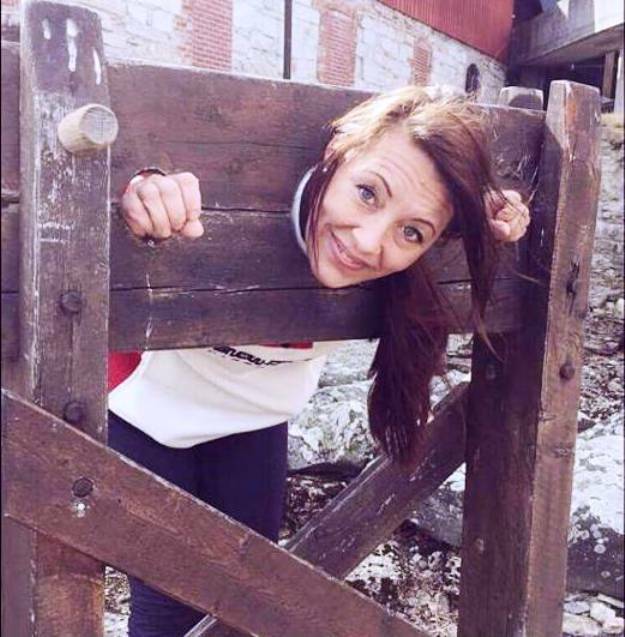 I'm not sure what's so unbelievable. 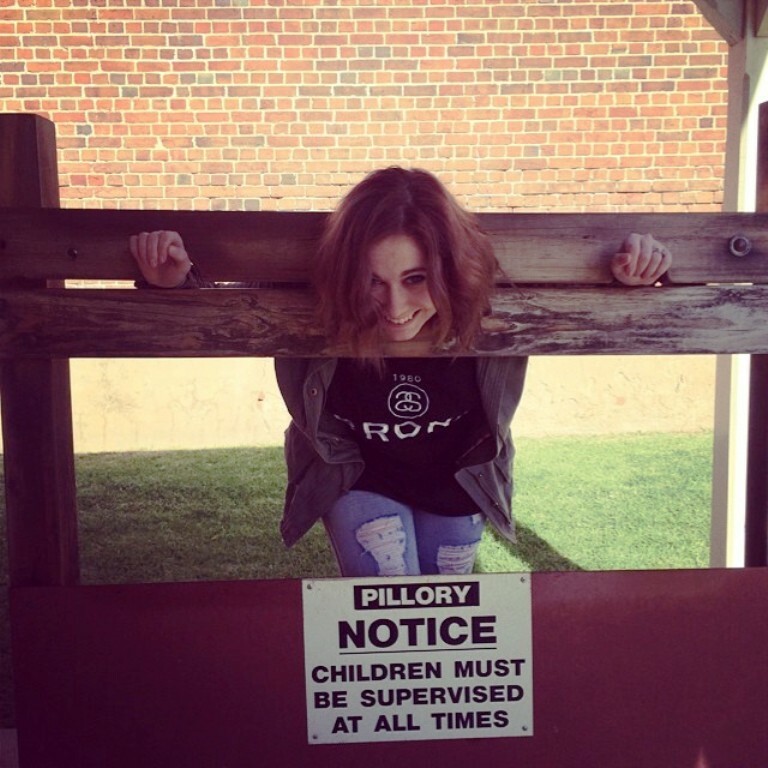 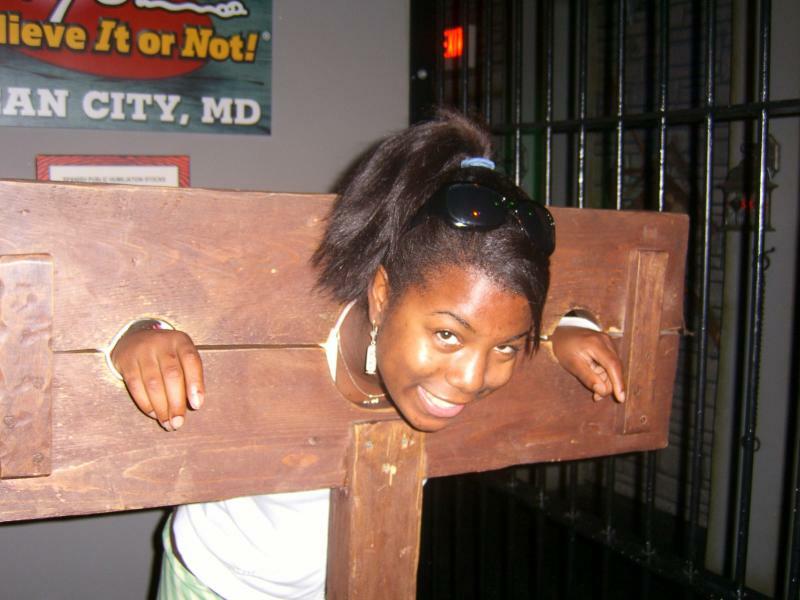 It looks like a pillory to me. 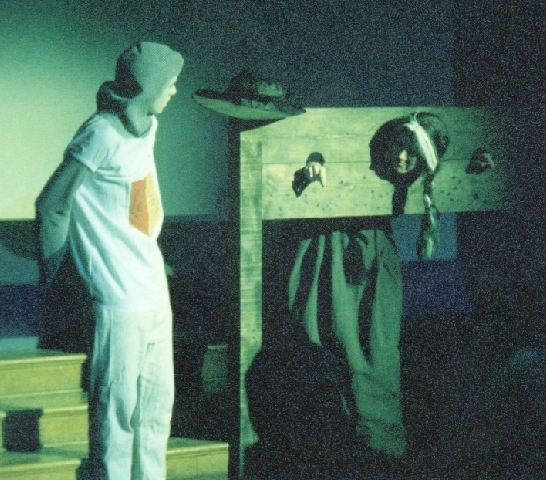 Here's some for Terry Pratchett fans. 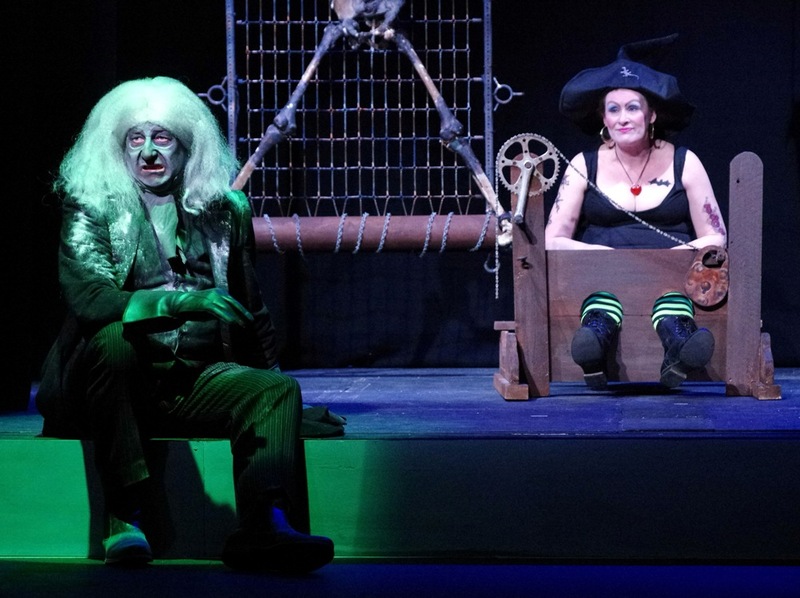 These photos were taken at various productions of the stage version of "Wyrd Sisters", featuring various Nanny Oggs in various stocks.